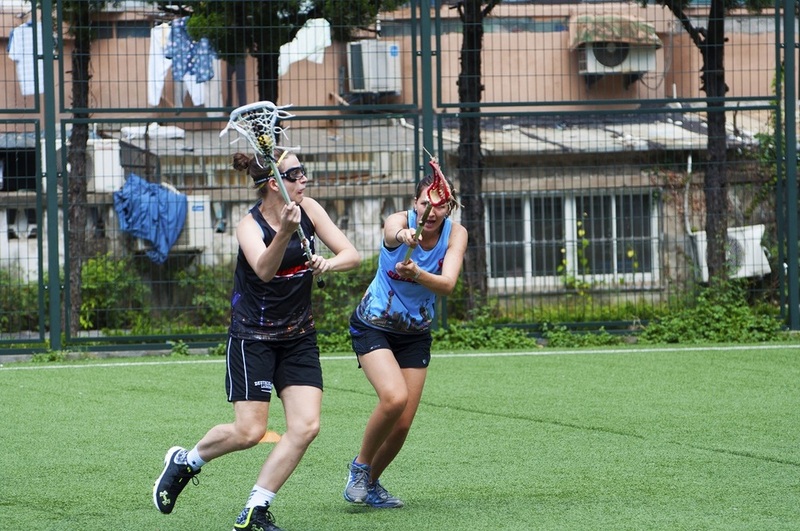 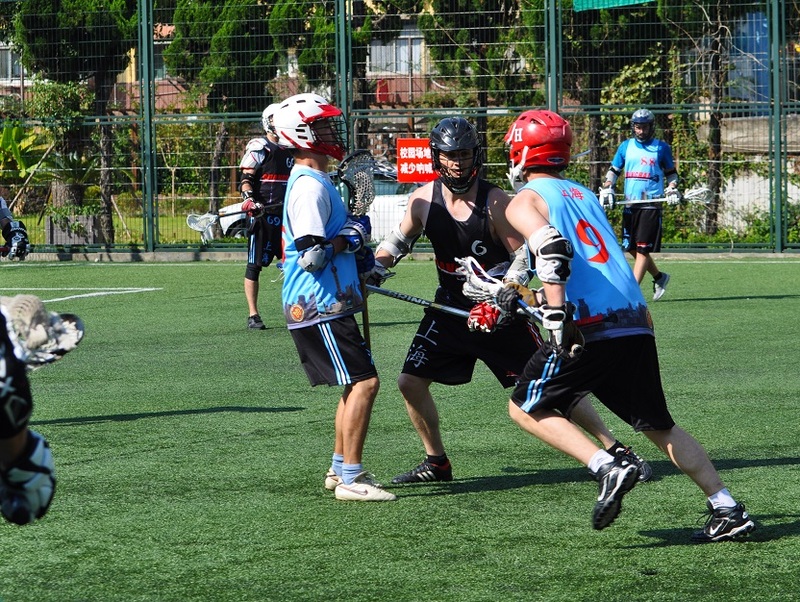 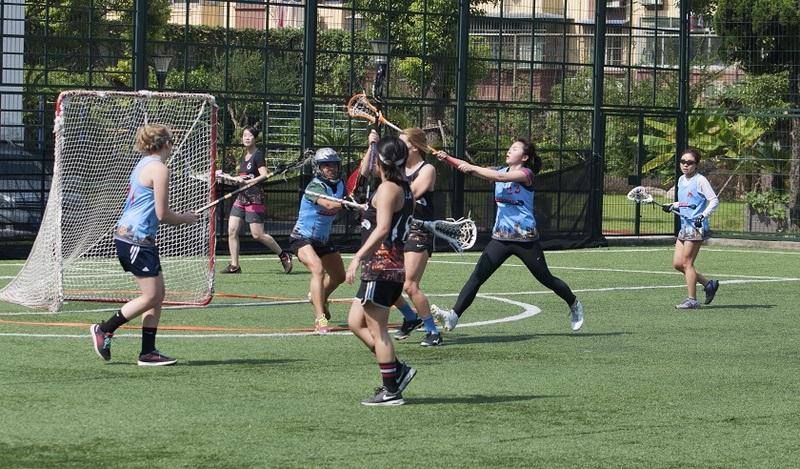 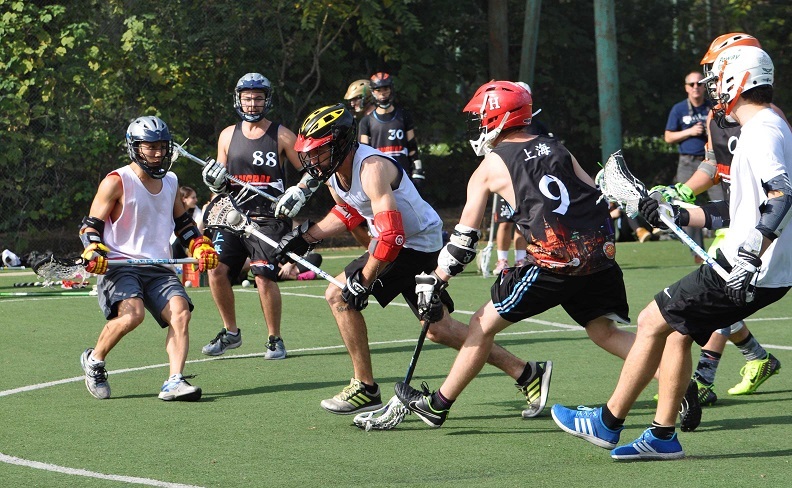 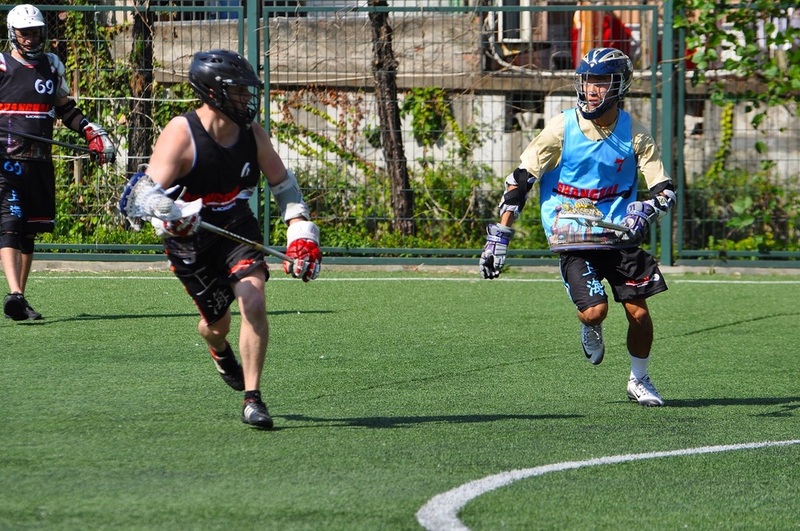 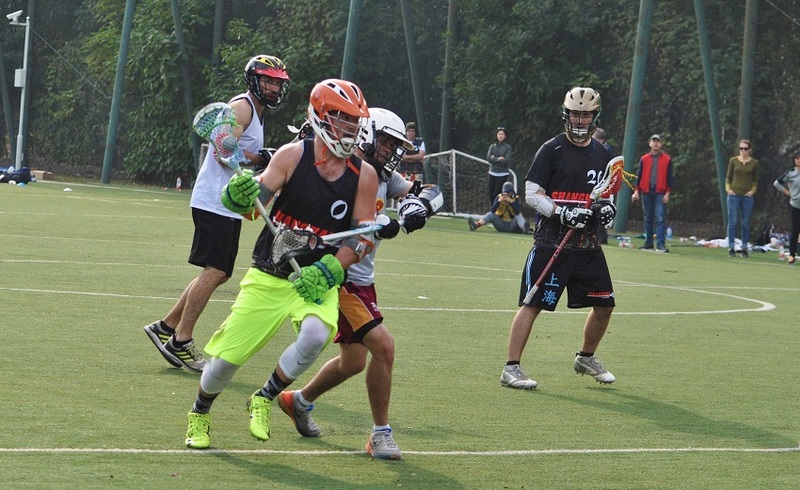 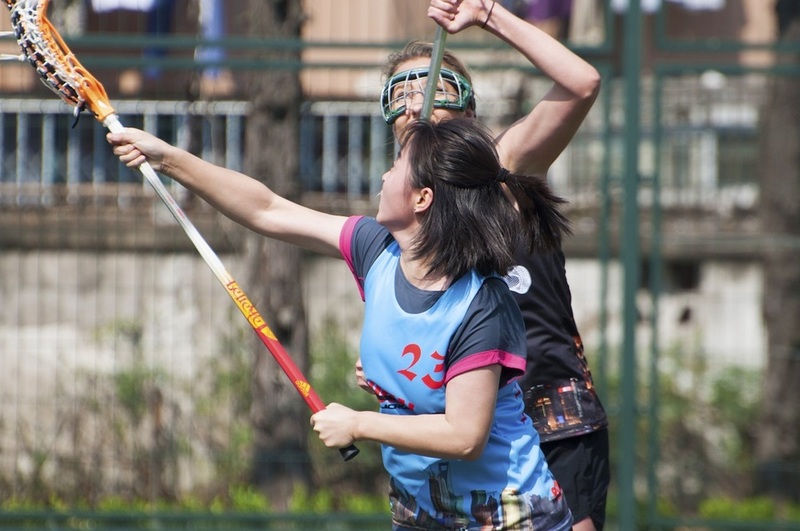 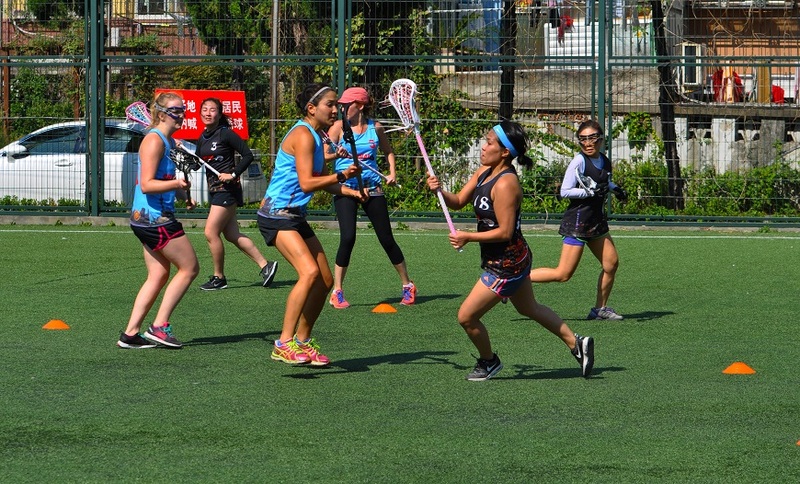 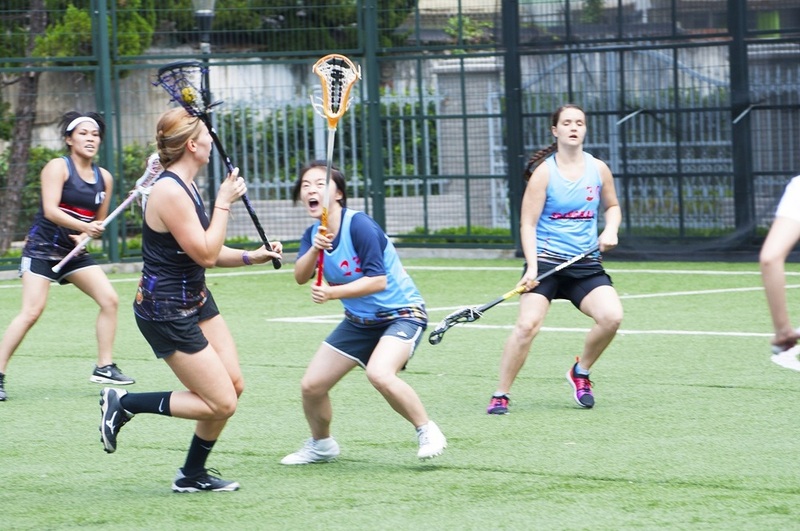 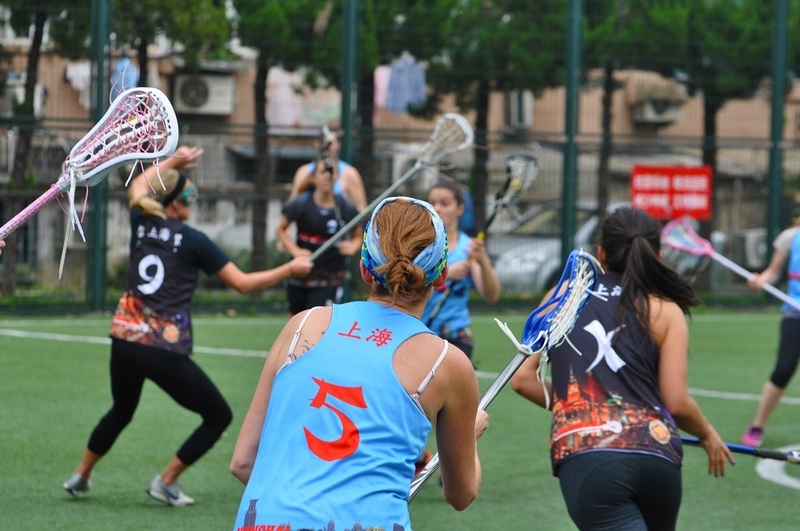 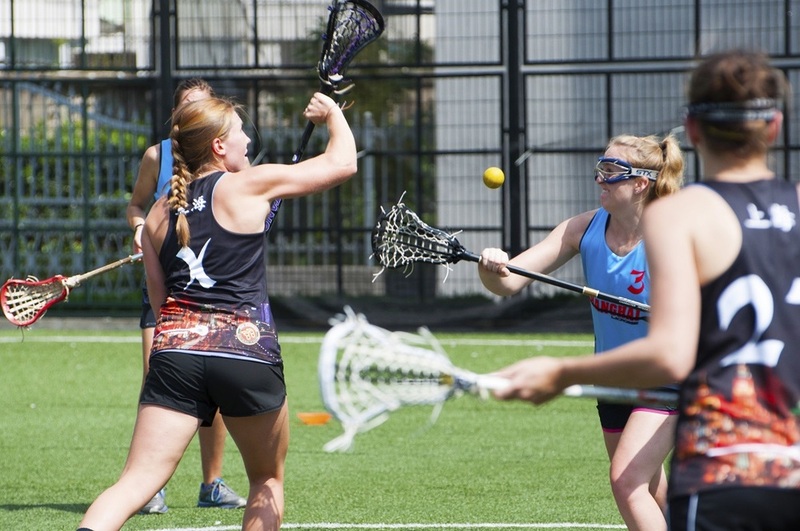 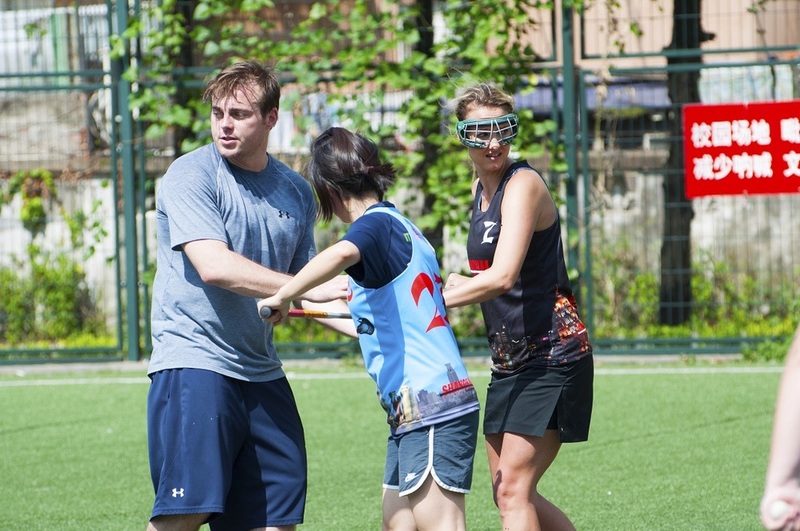 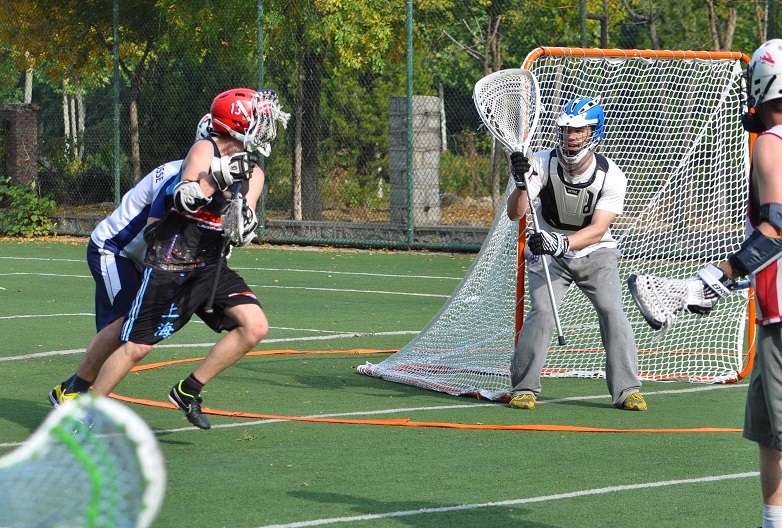 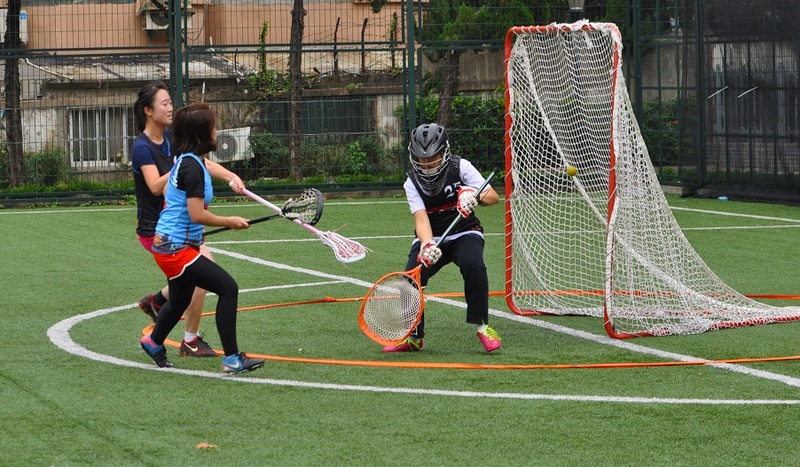 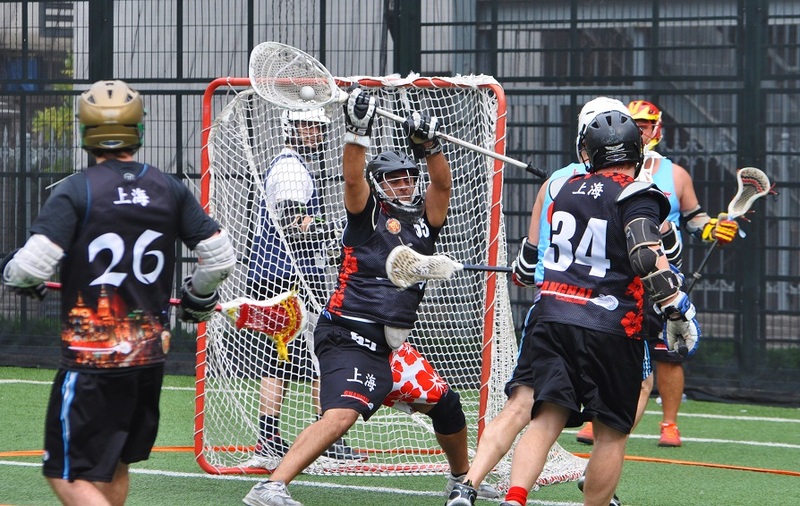 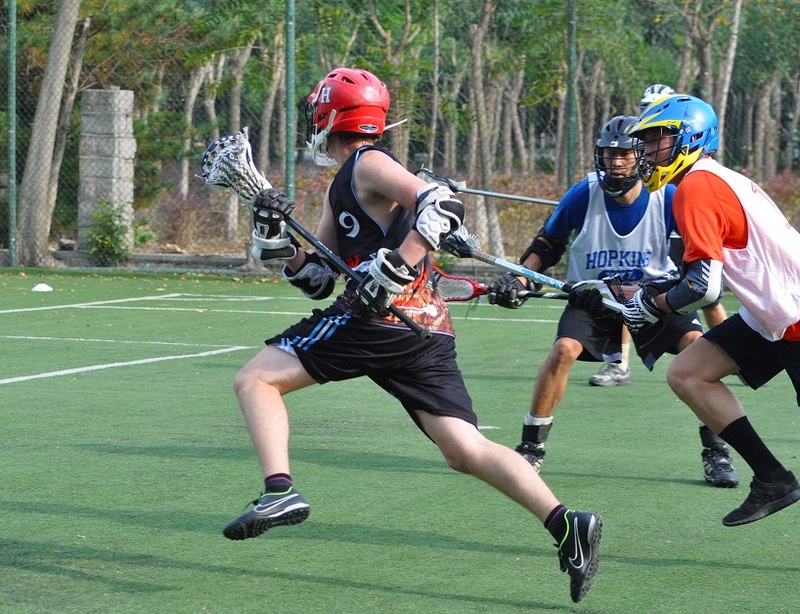 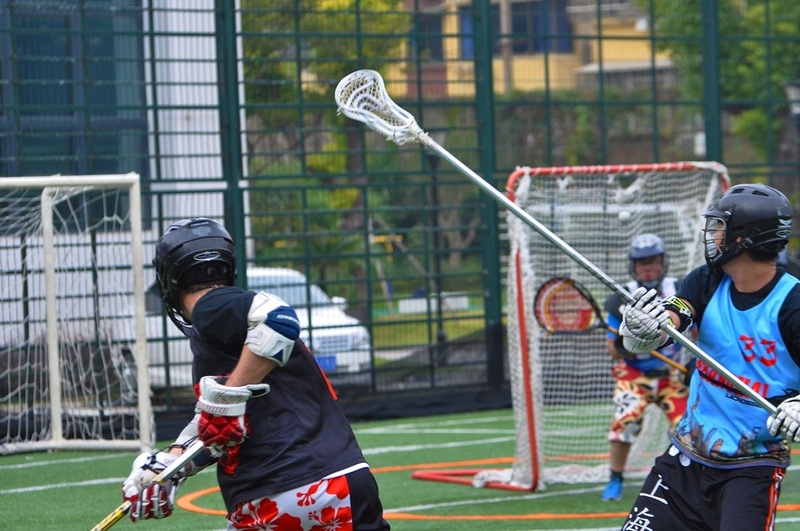 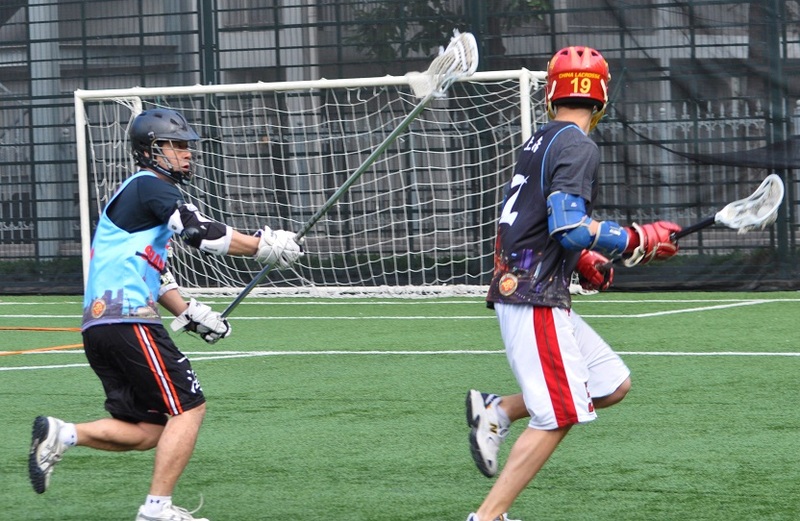 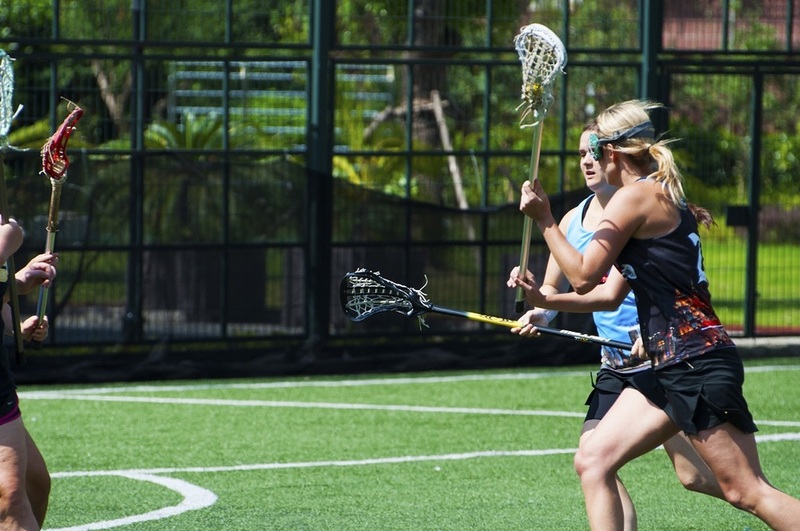 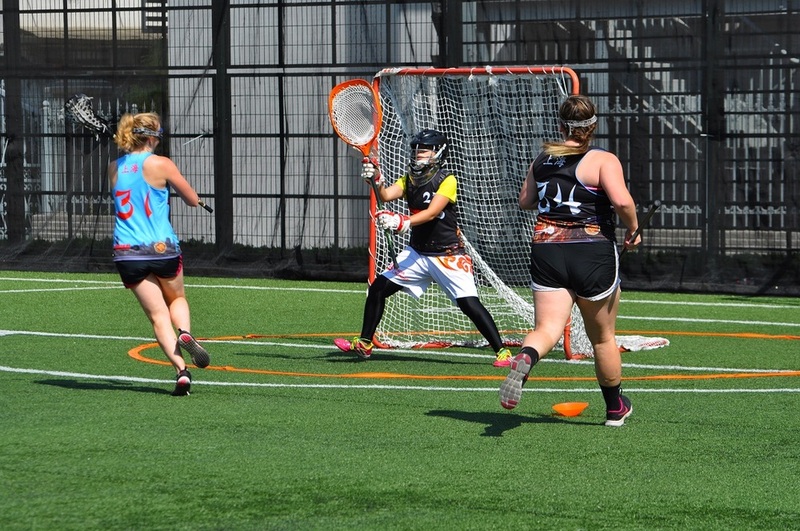 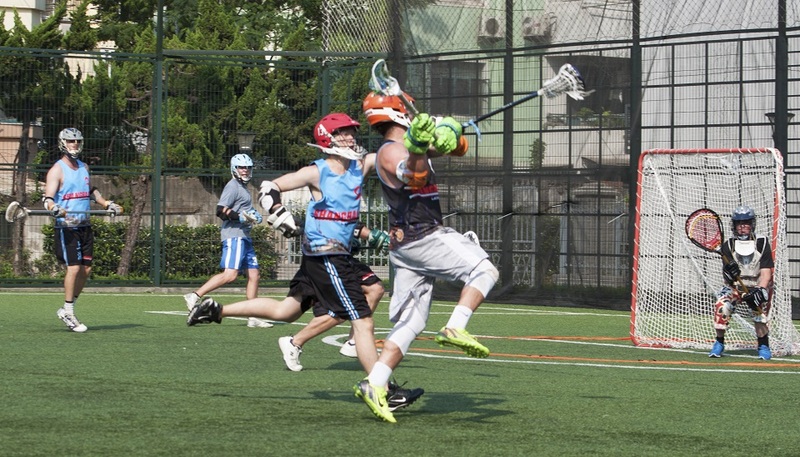 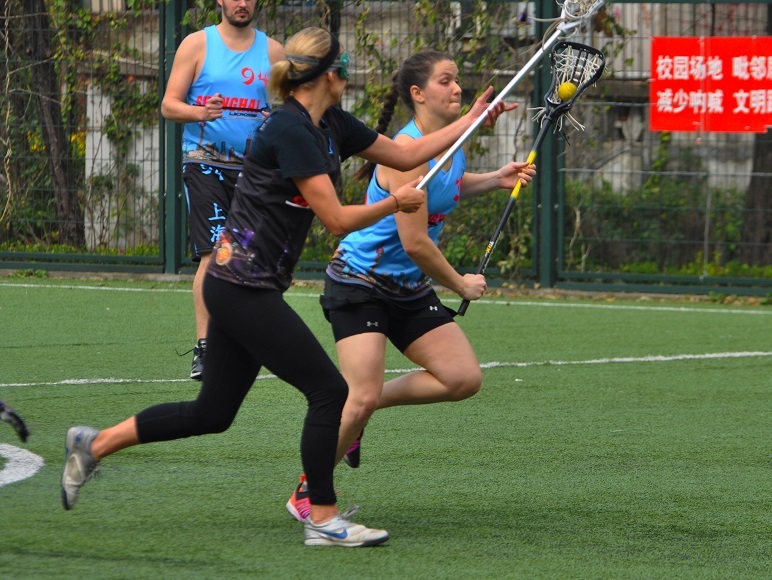 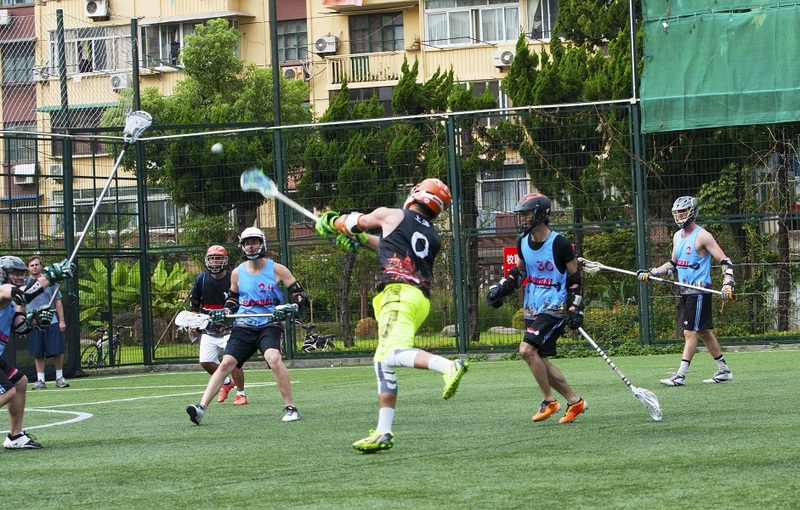 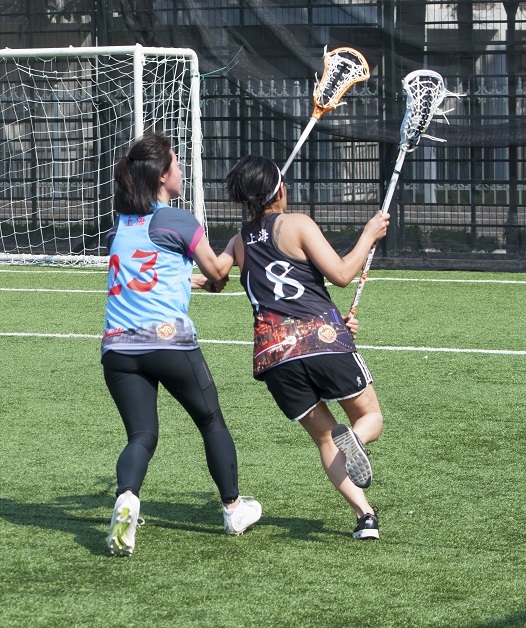 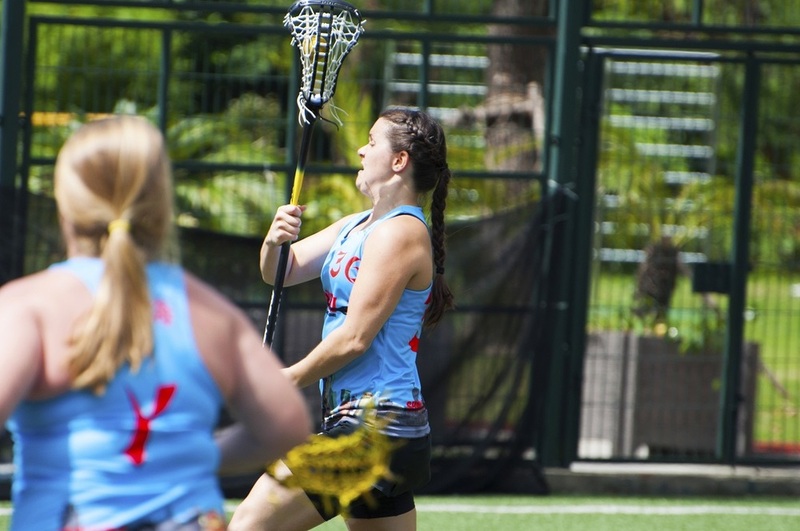 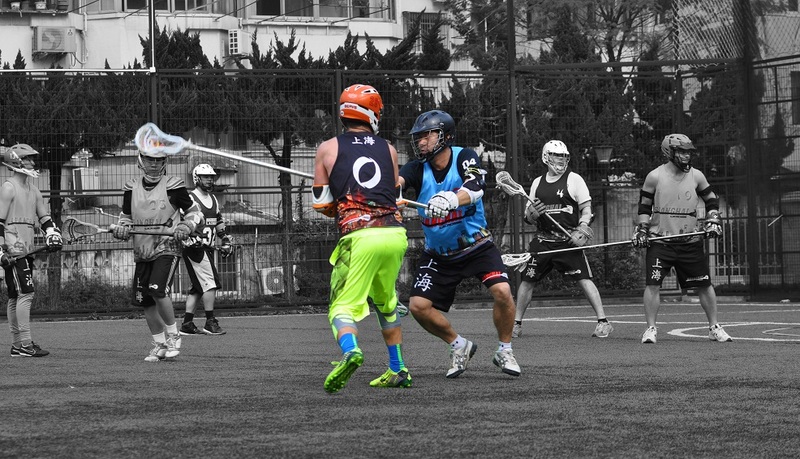 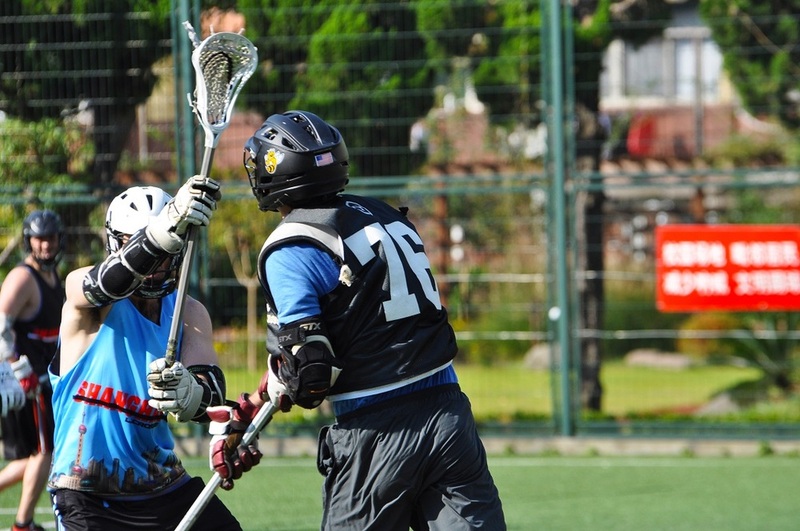 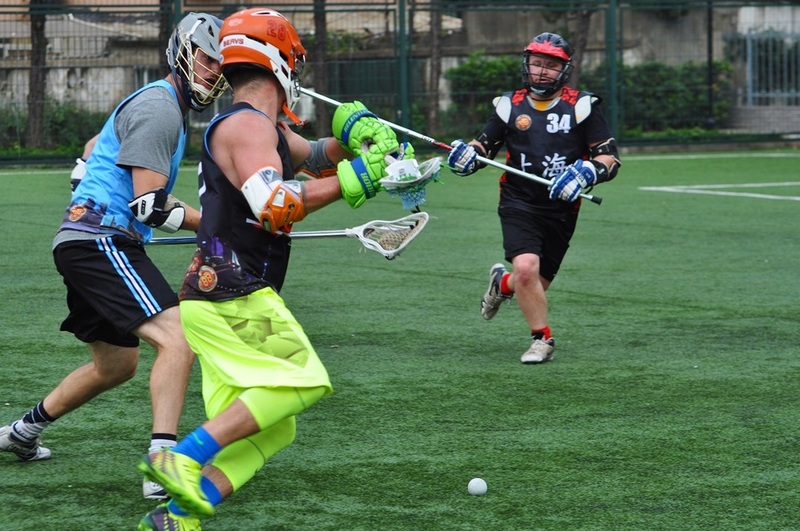 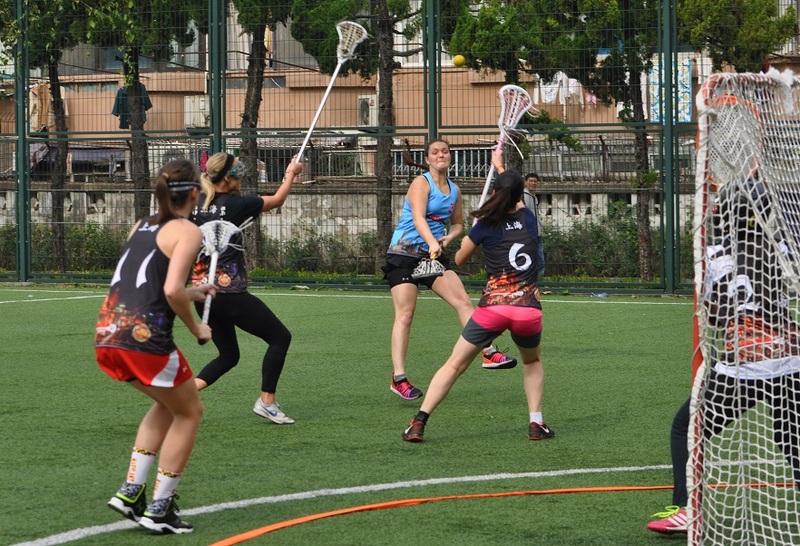 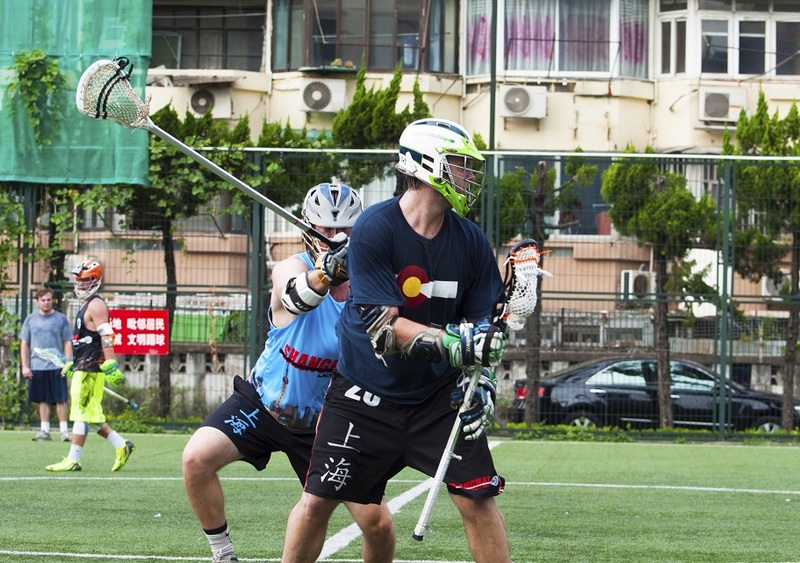 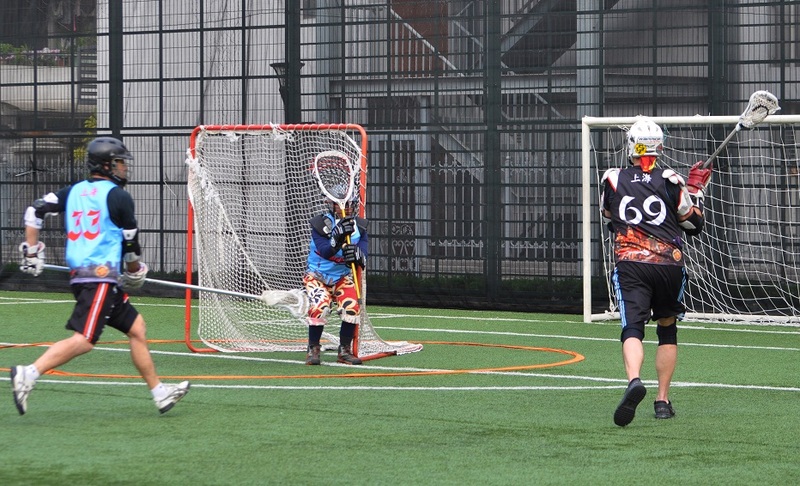 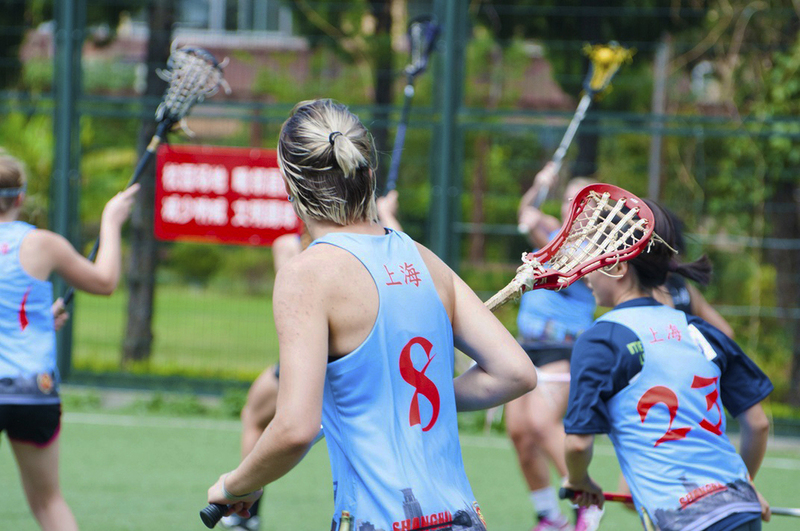 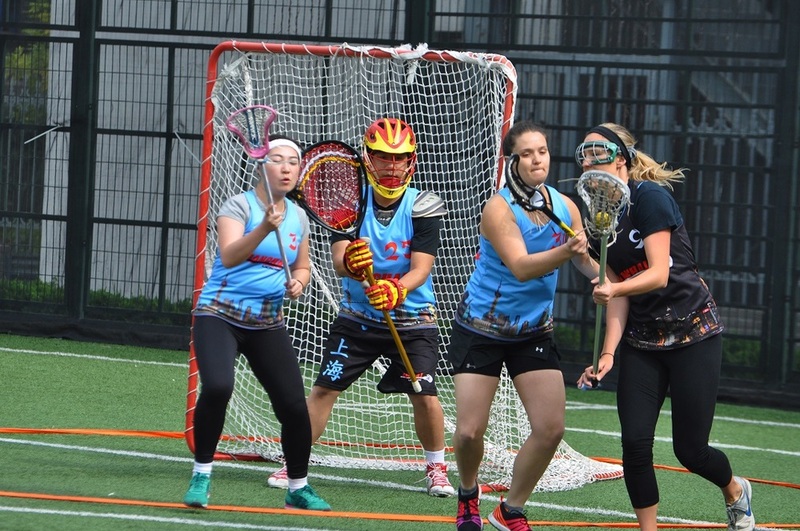 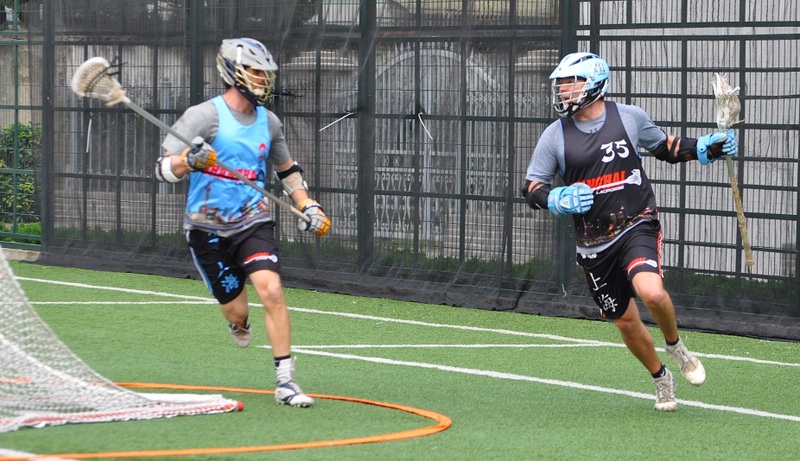 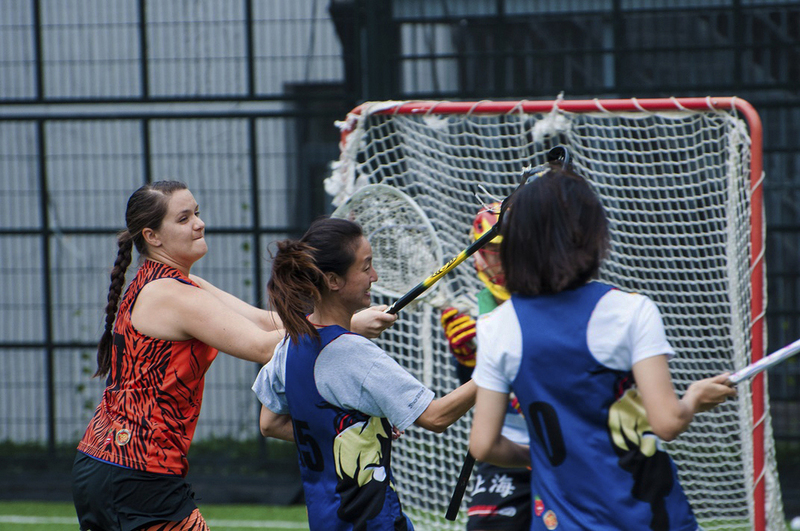 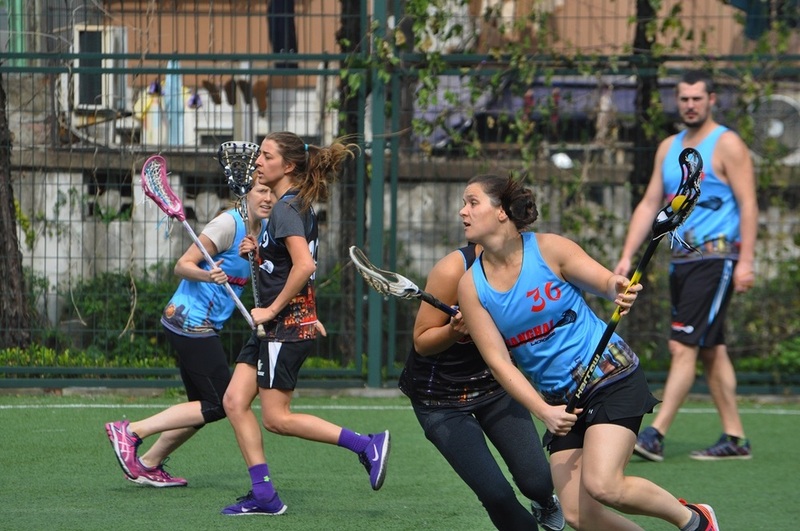 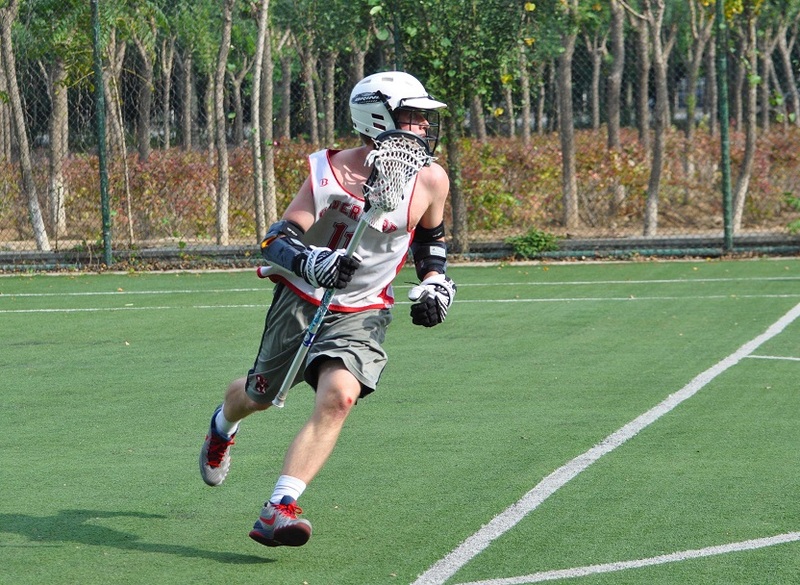 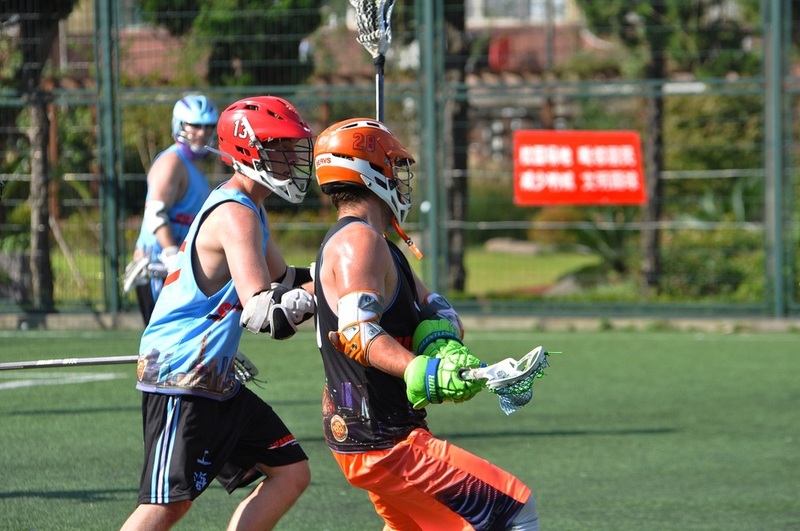 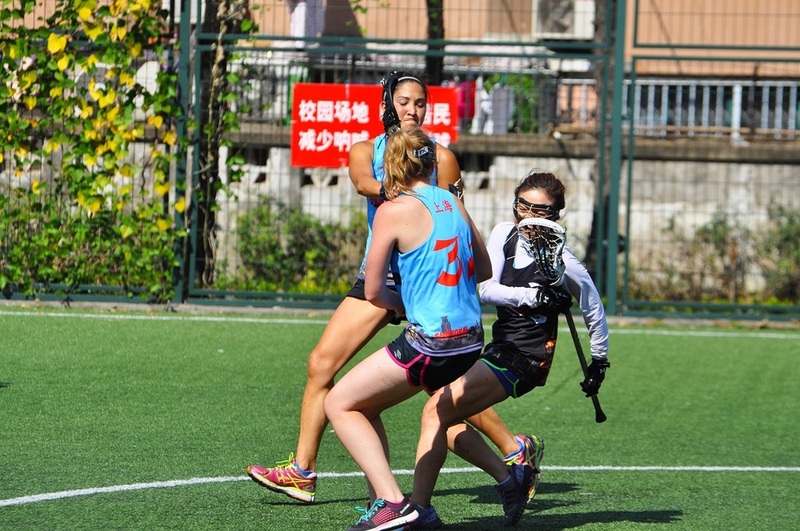 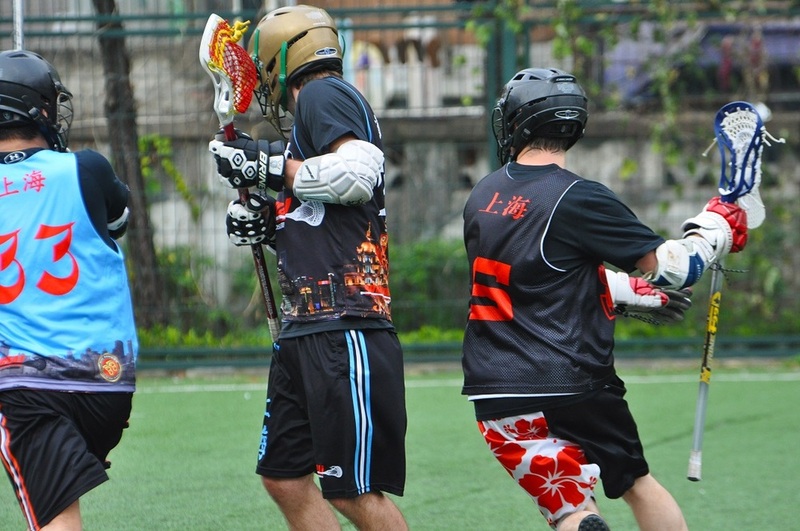 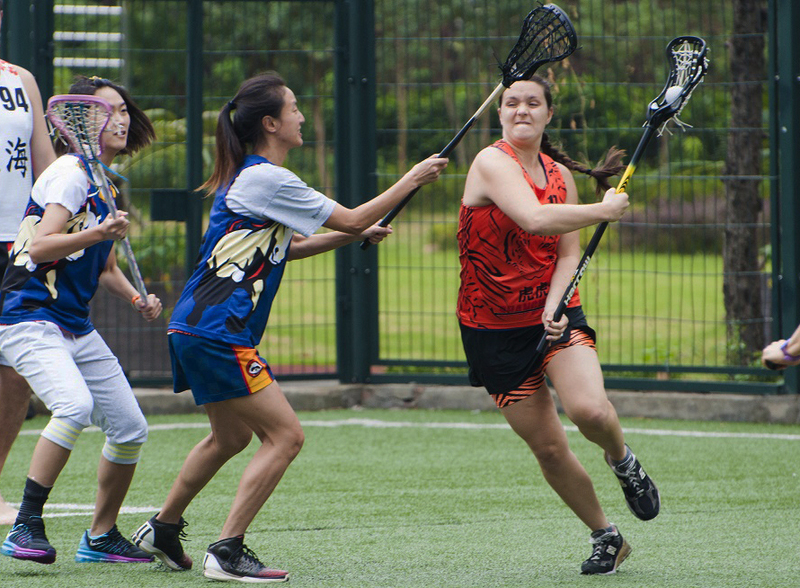 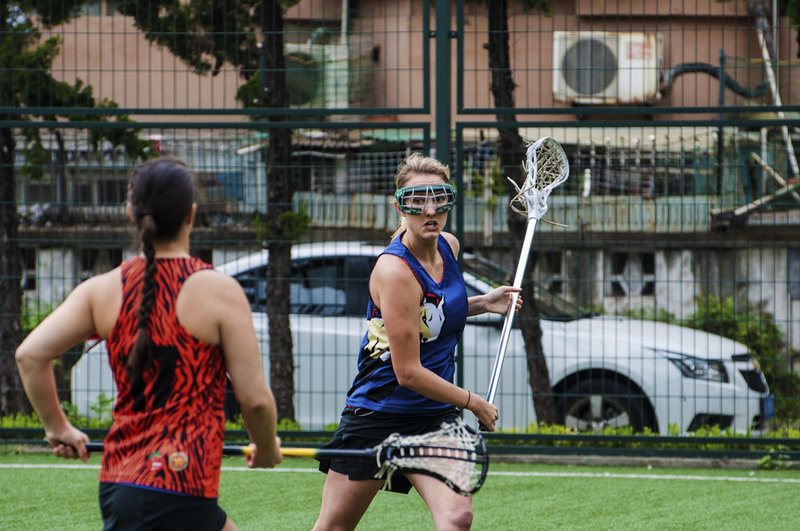 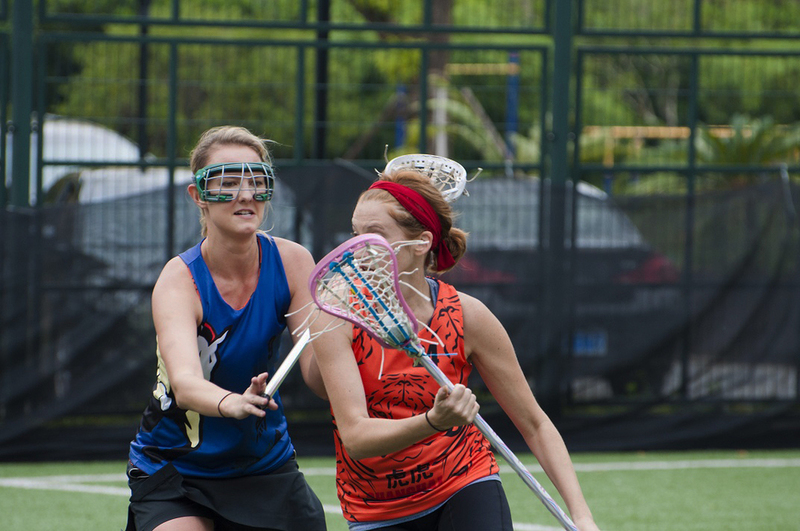 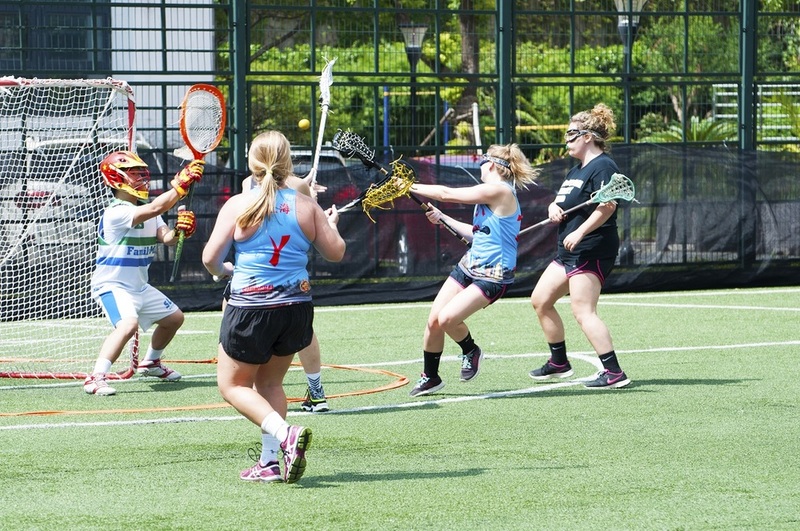 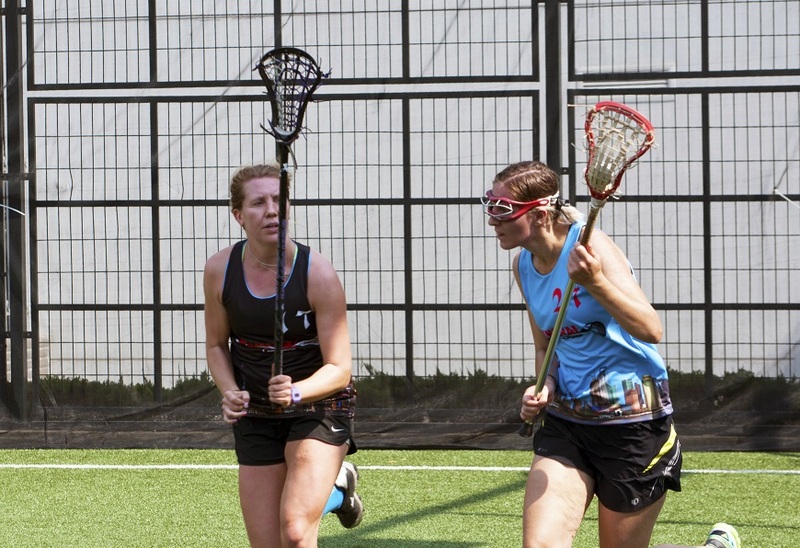 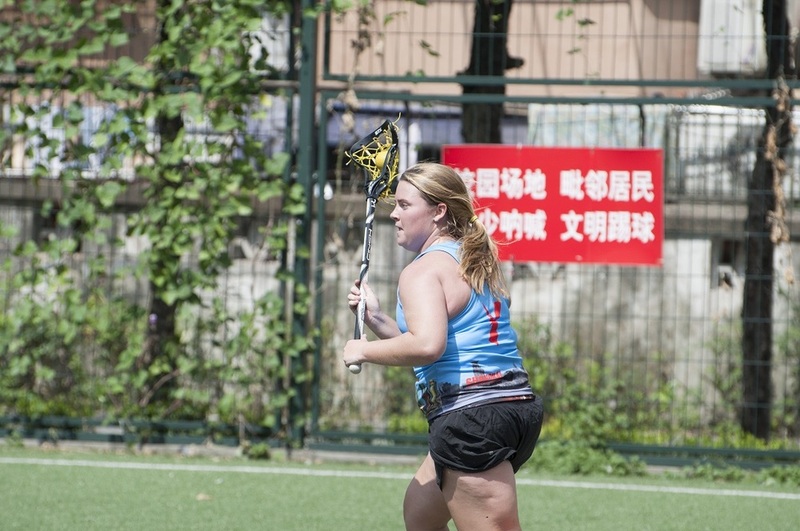 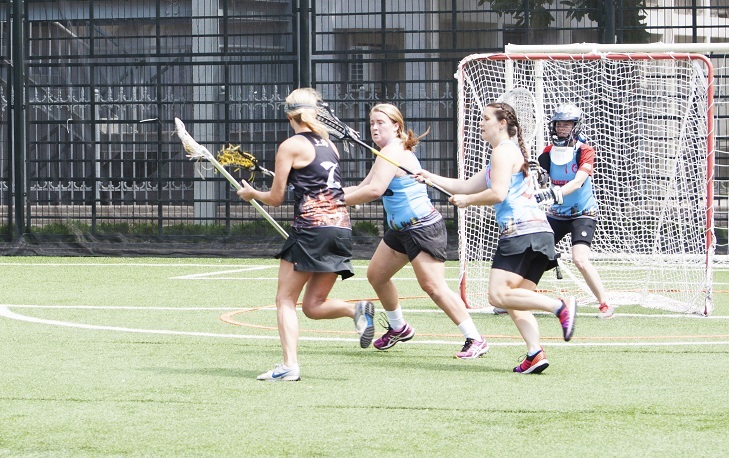 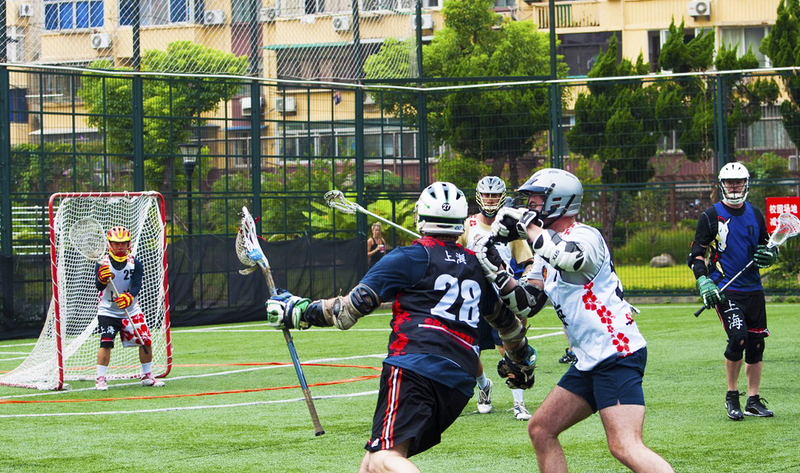 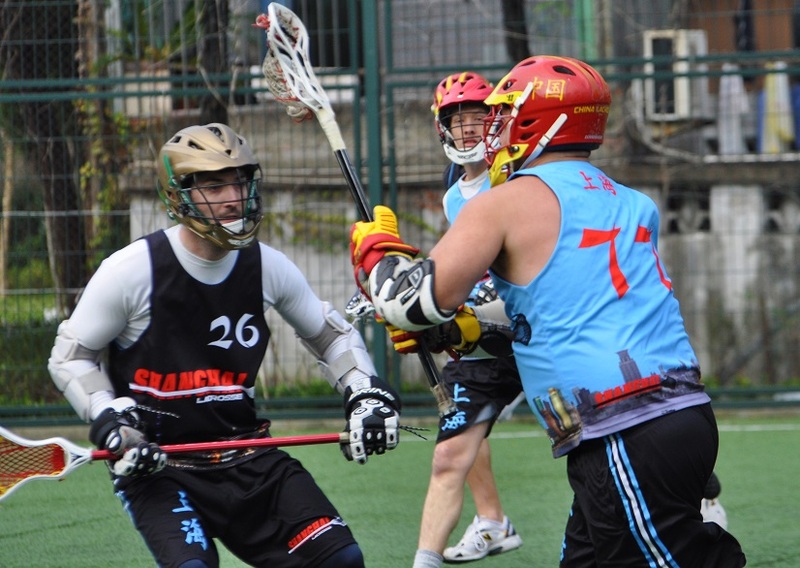 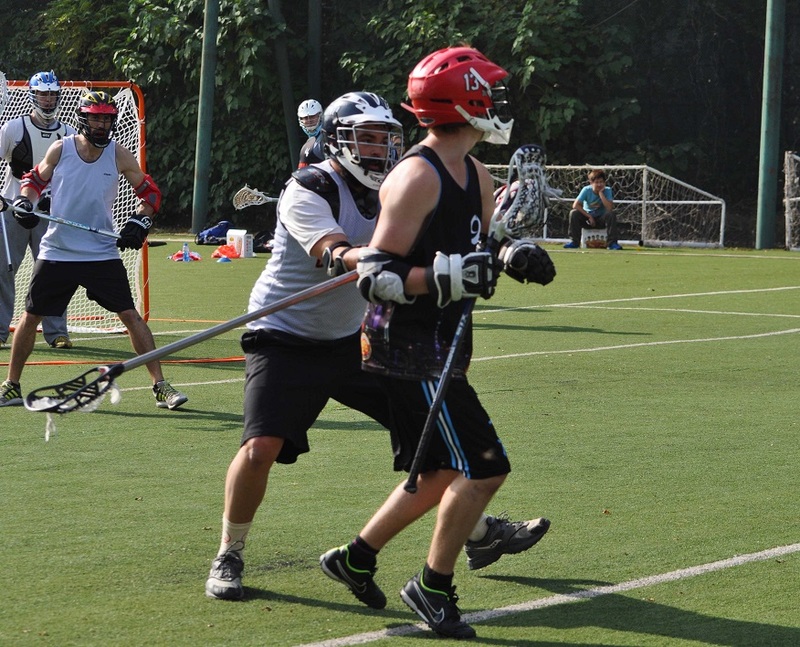 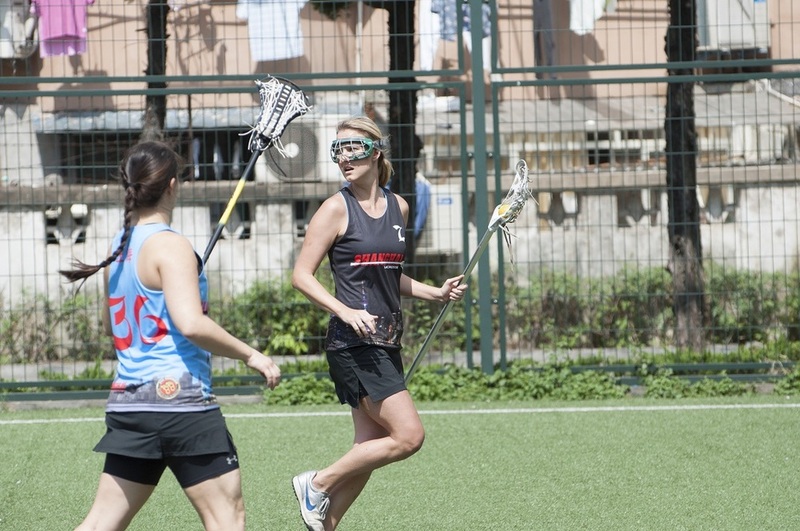 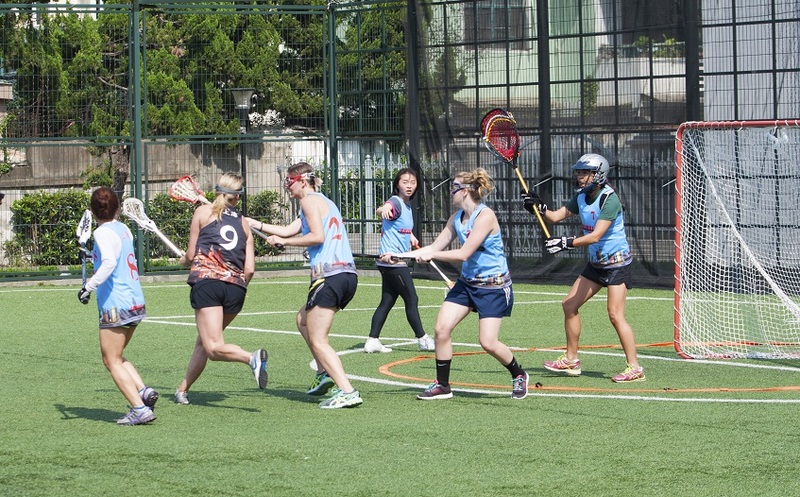 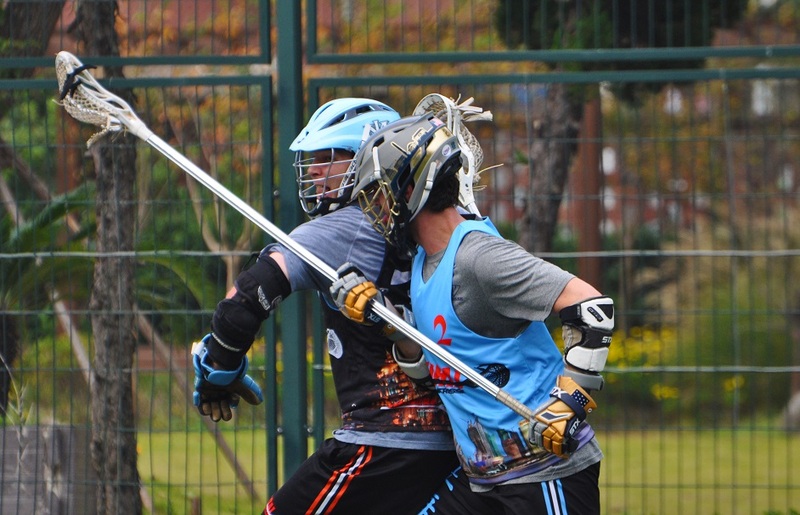 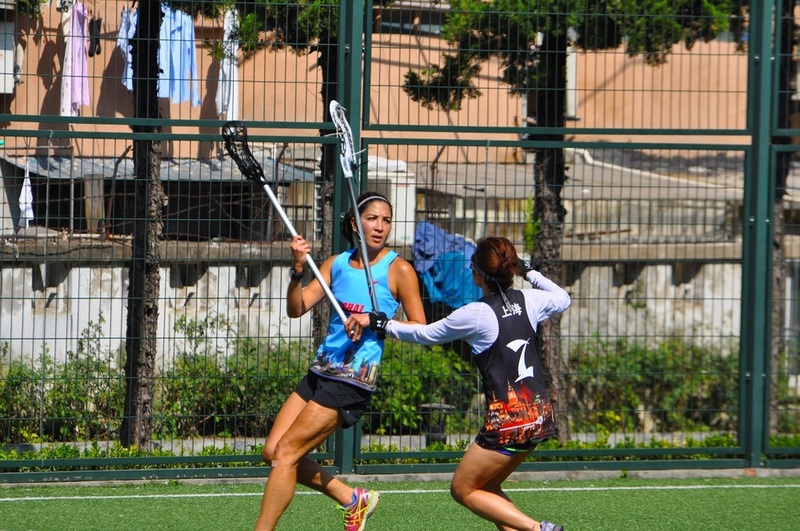 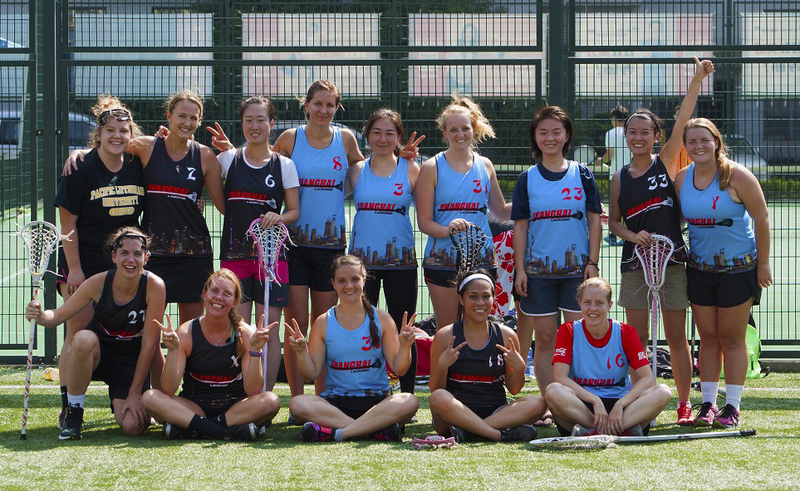 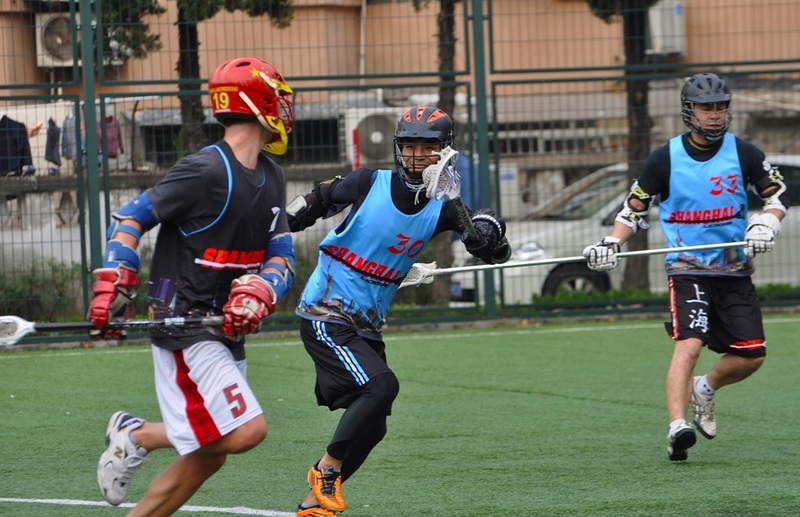 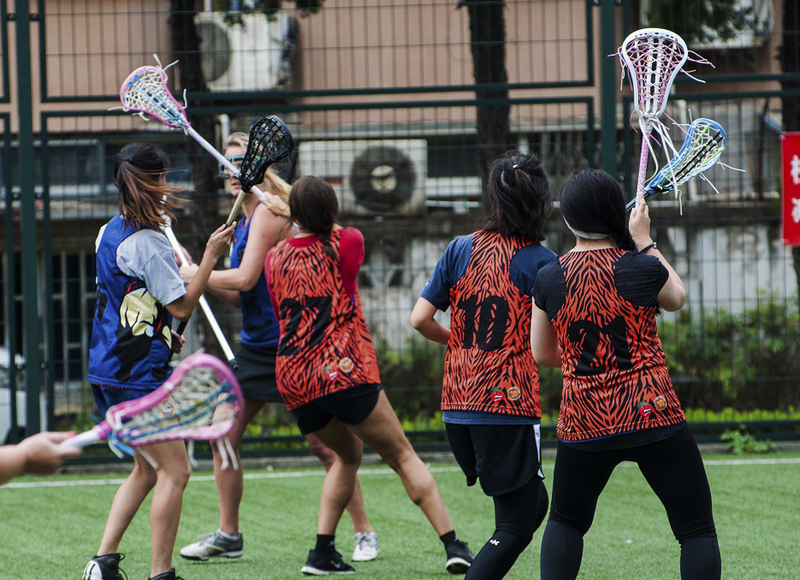 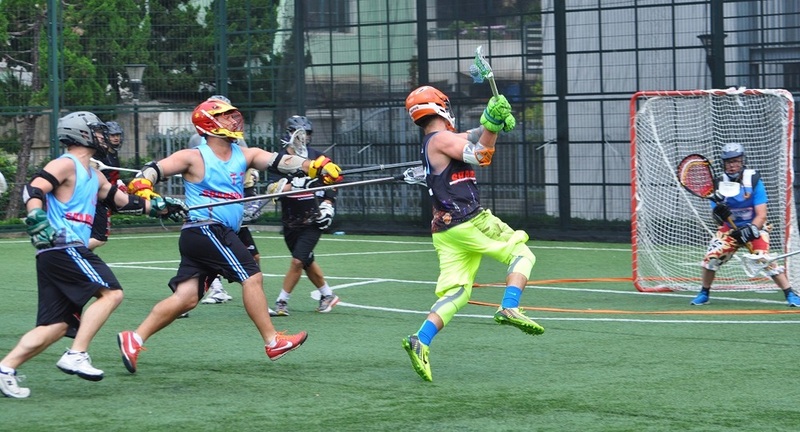 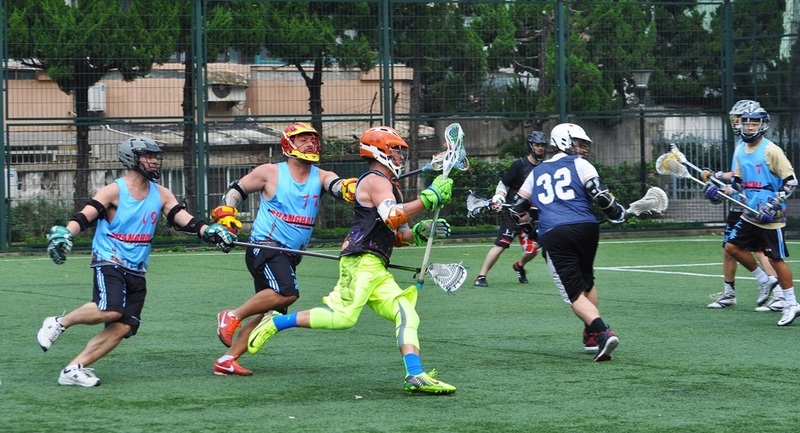 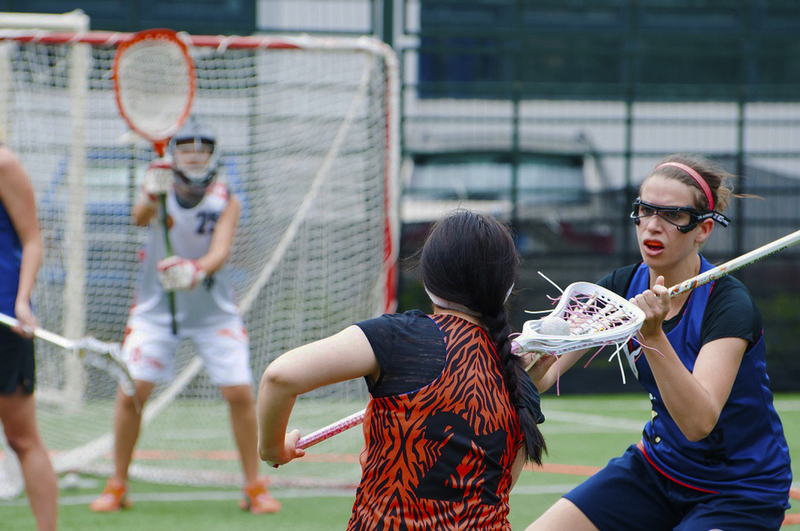 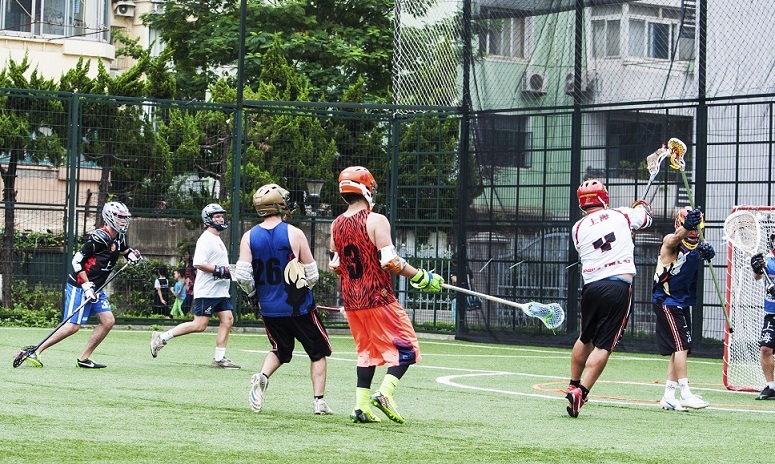 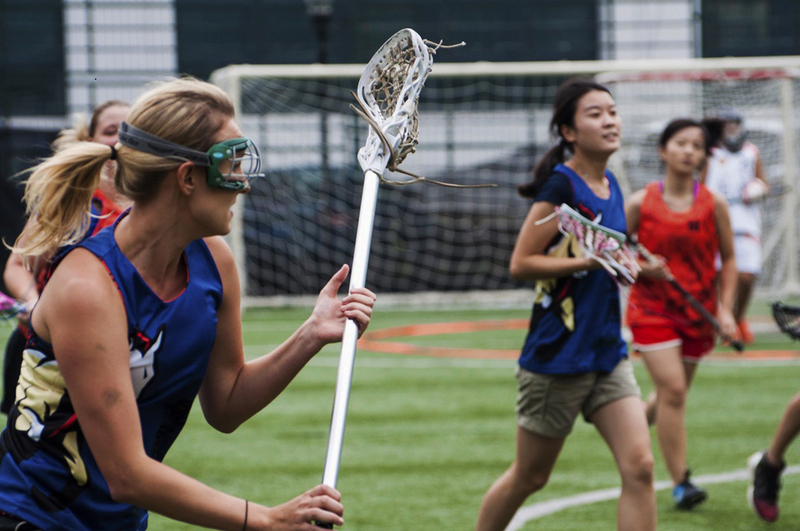 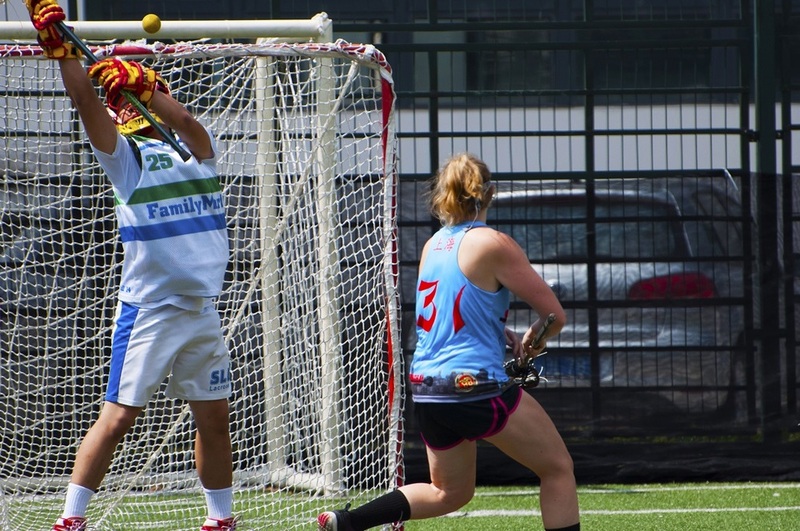 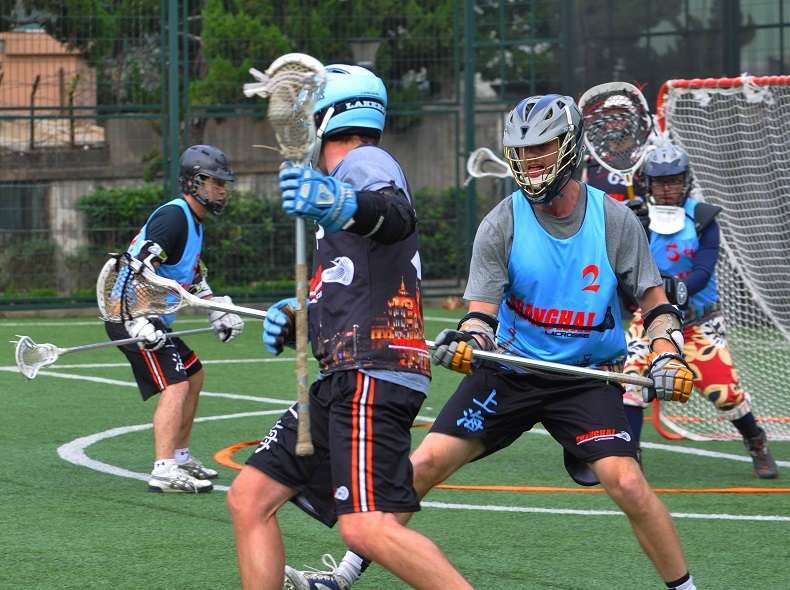 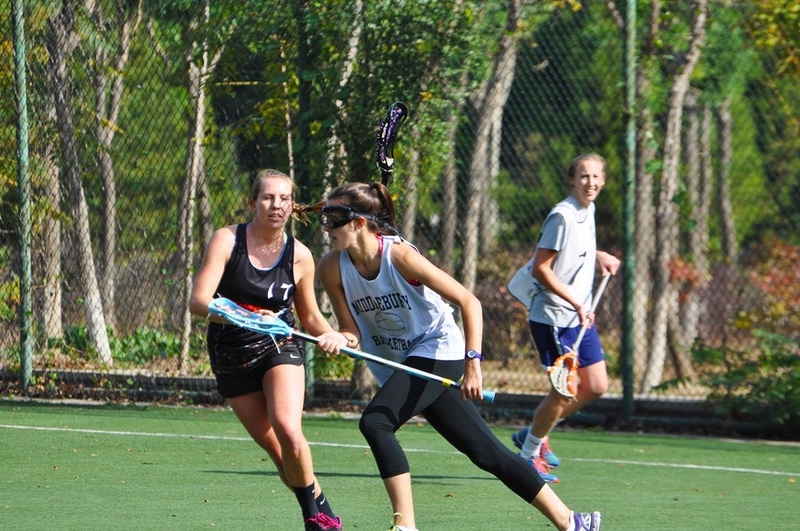 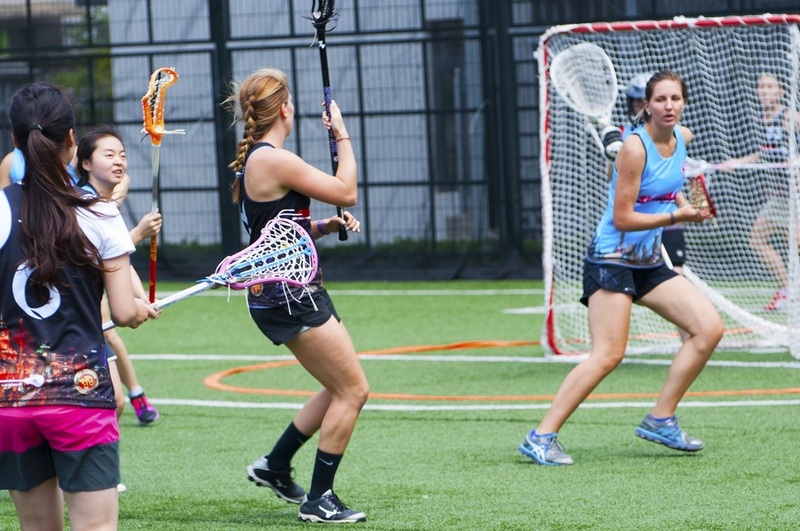 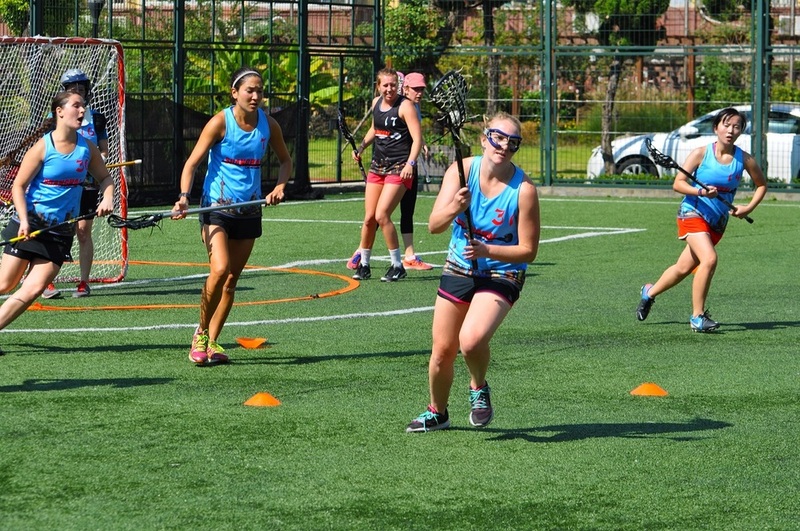 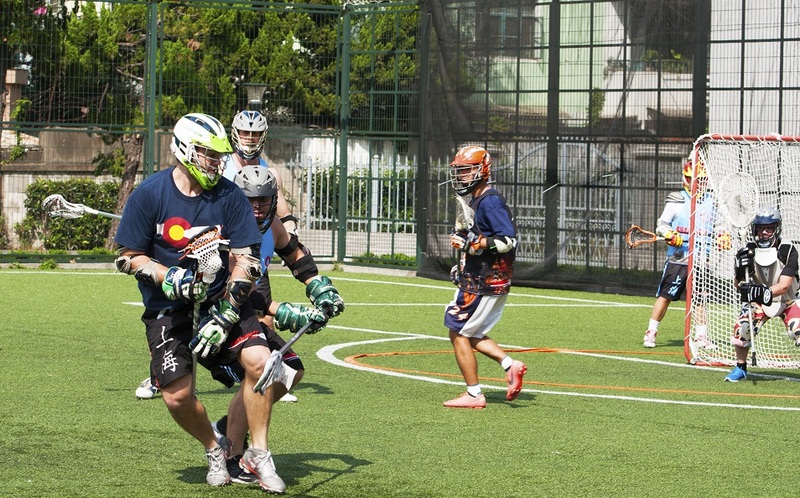 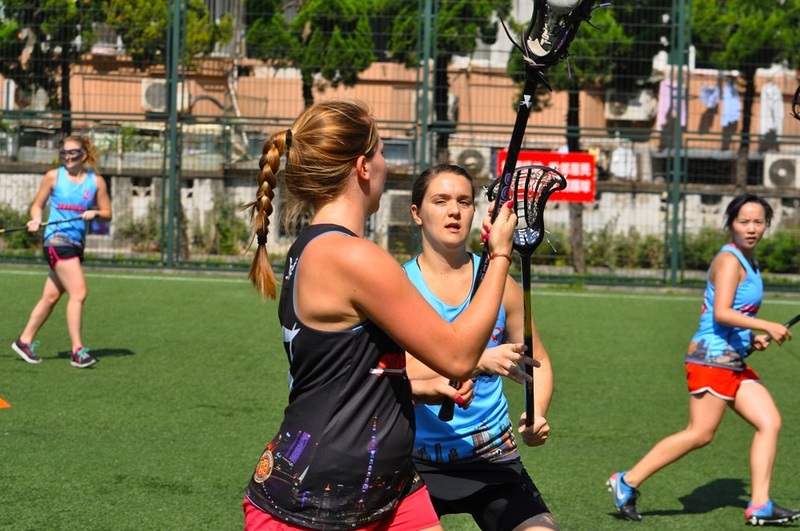 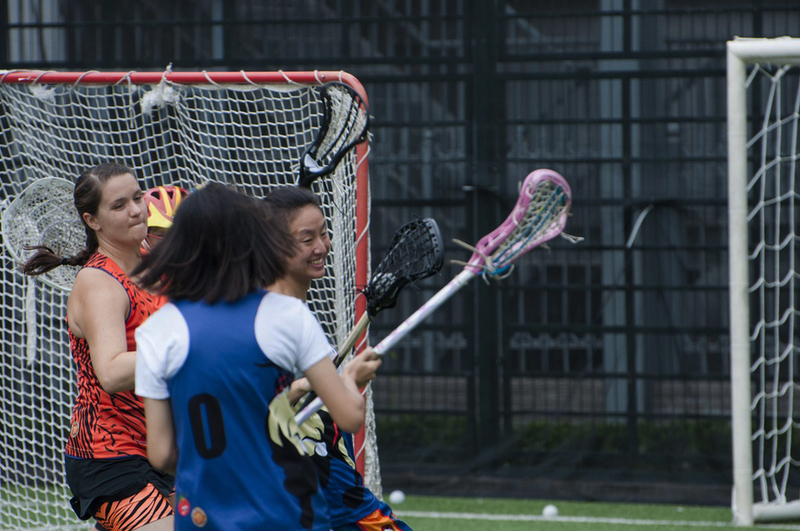 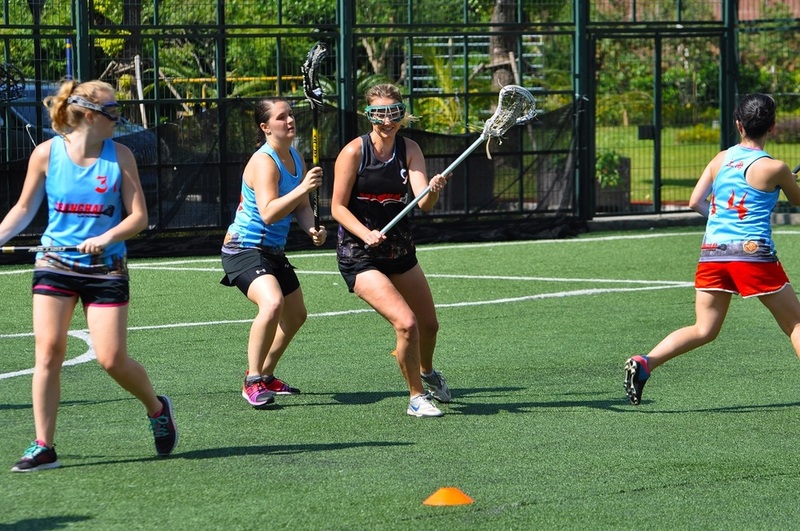 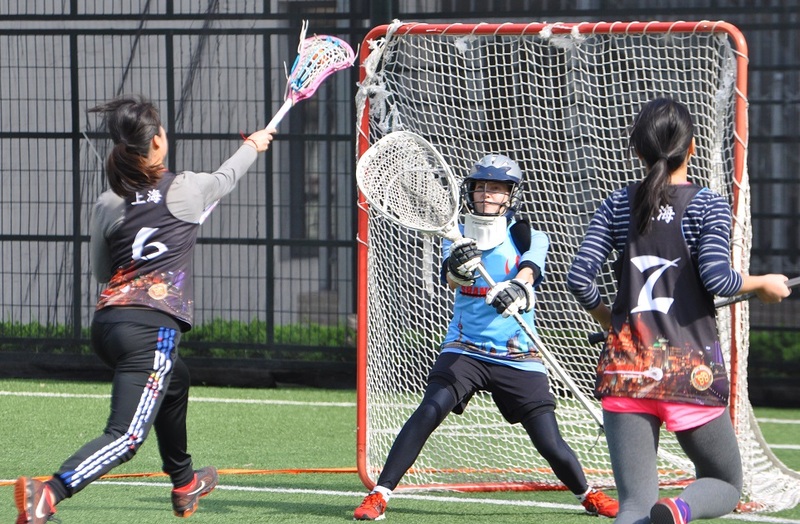 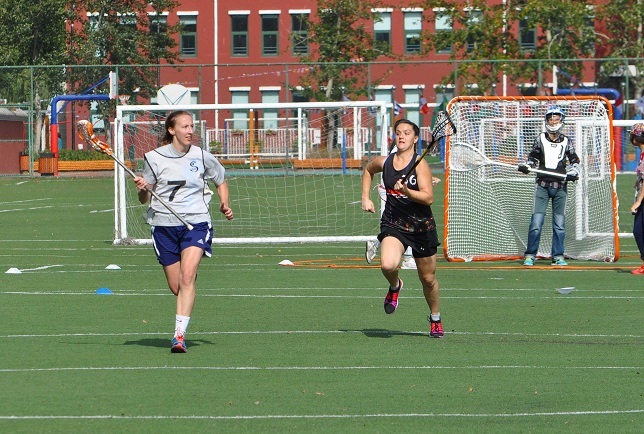 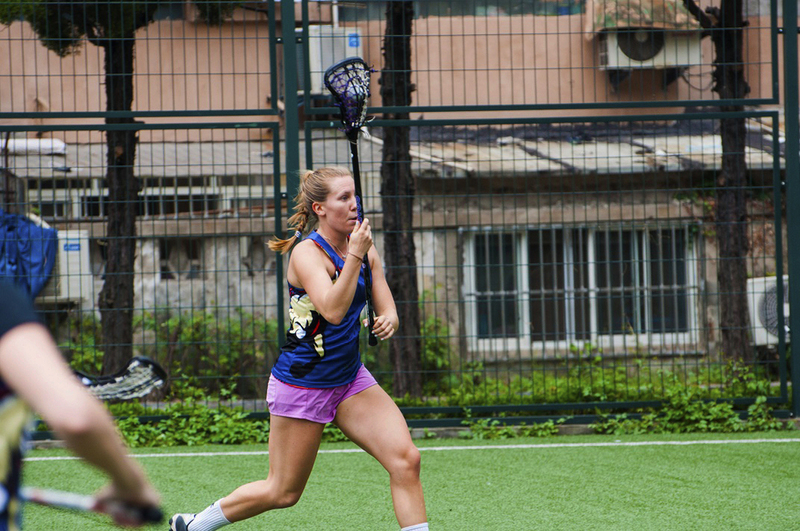 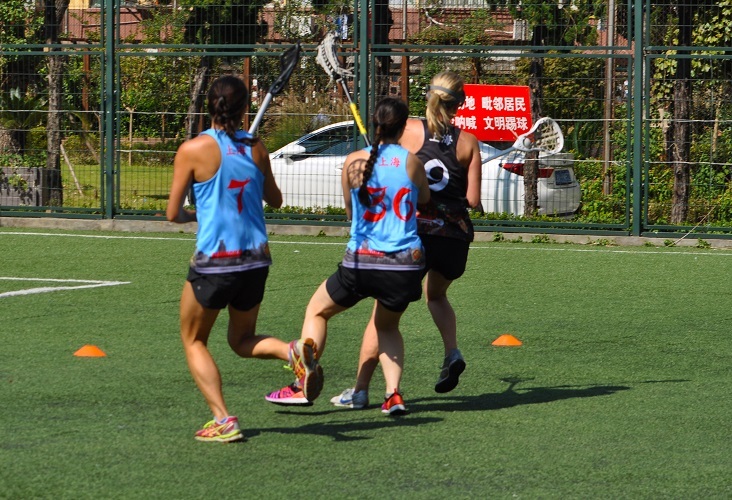 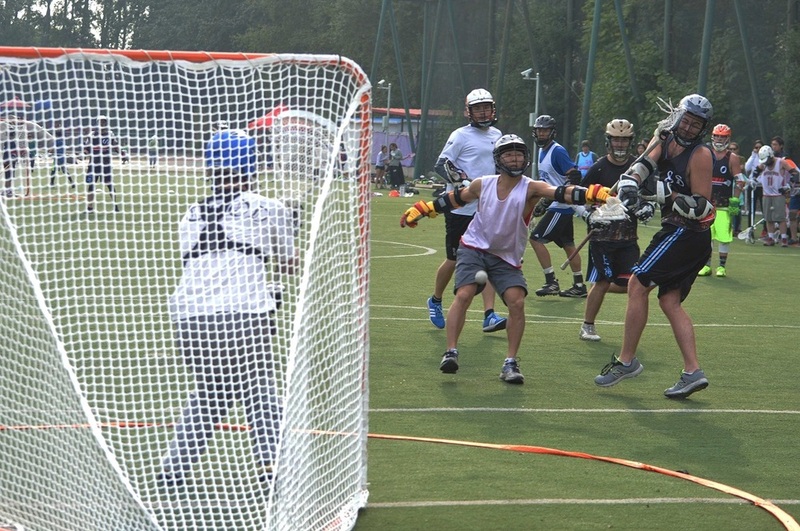 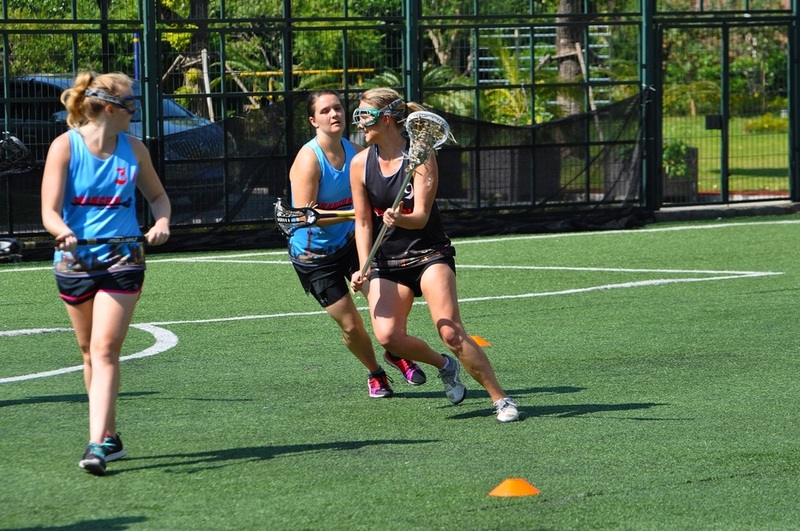 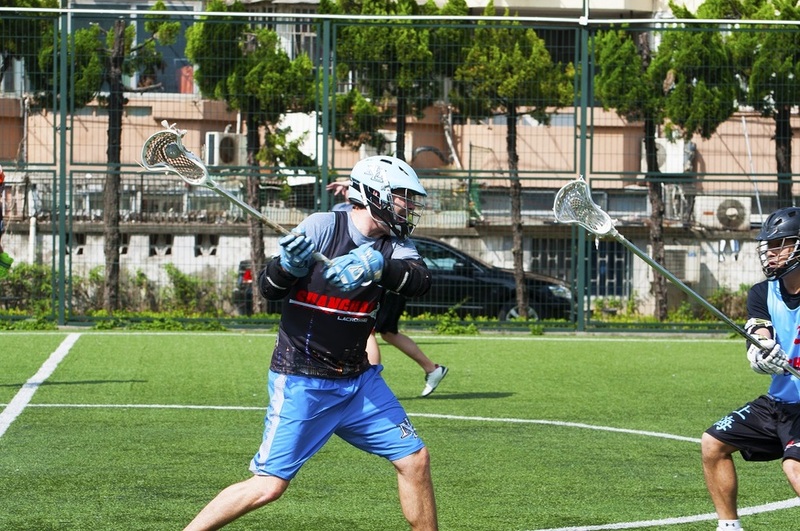 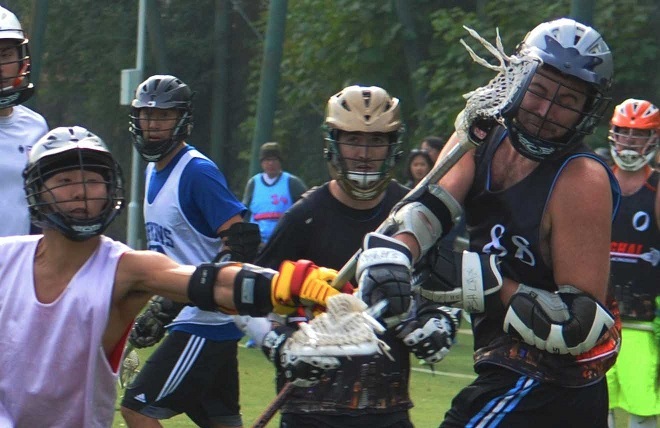 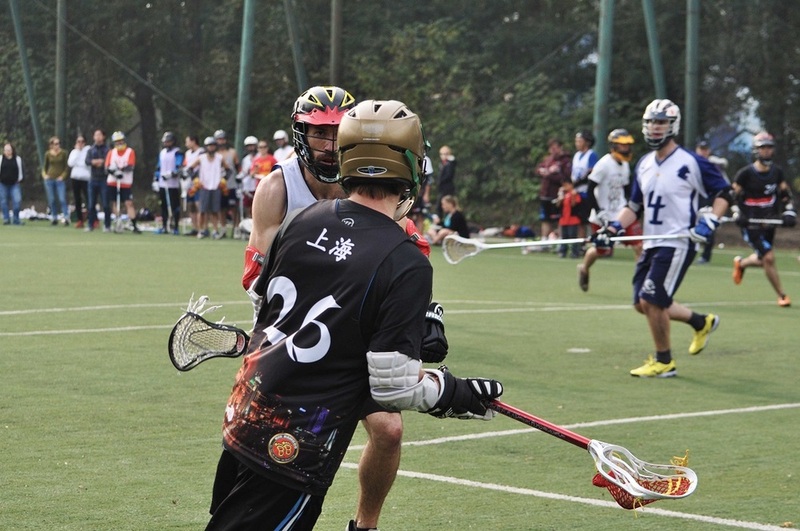 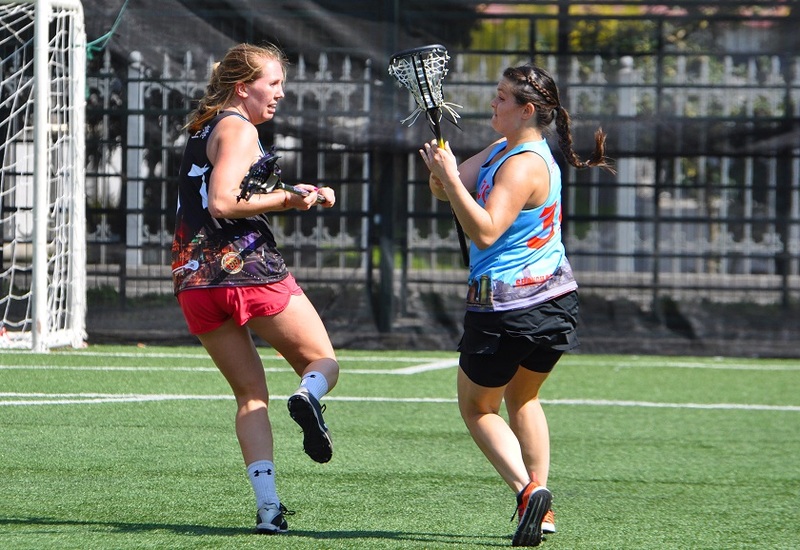 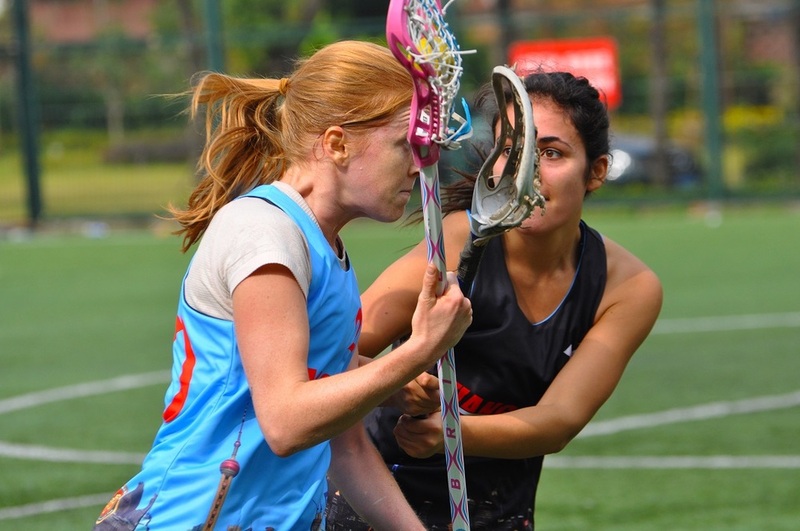 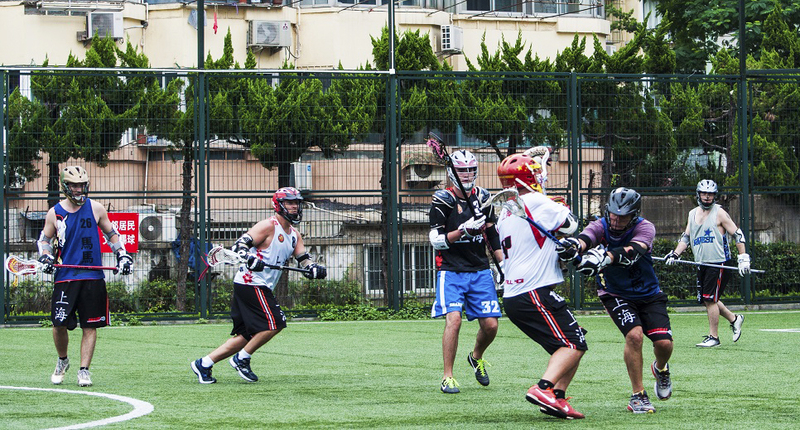 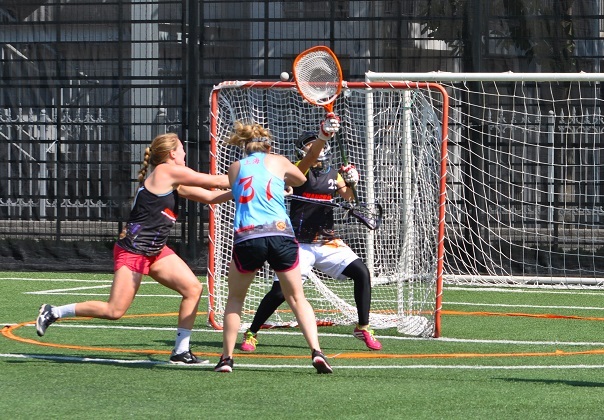 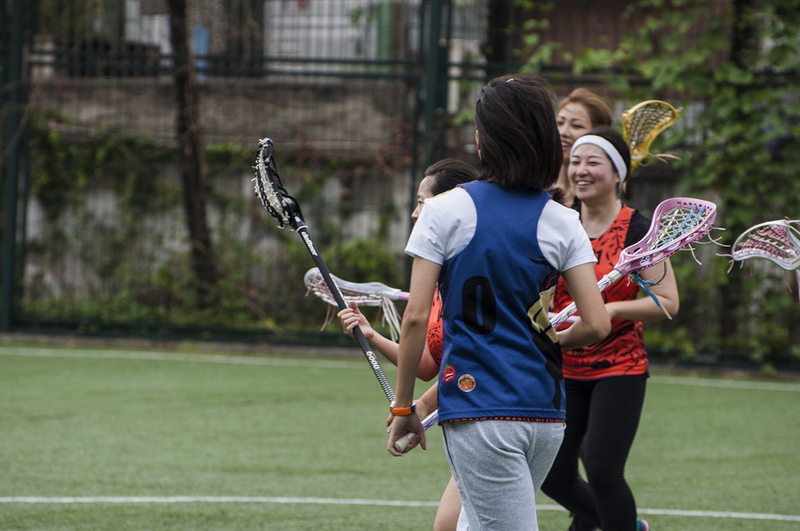 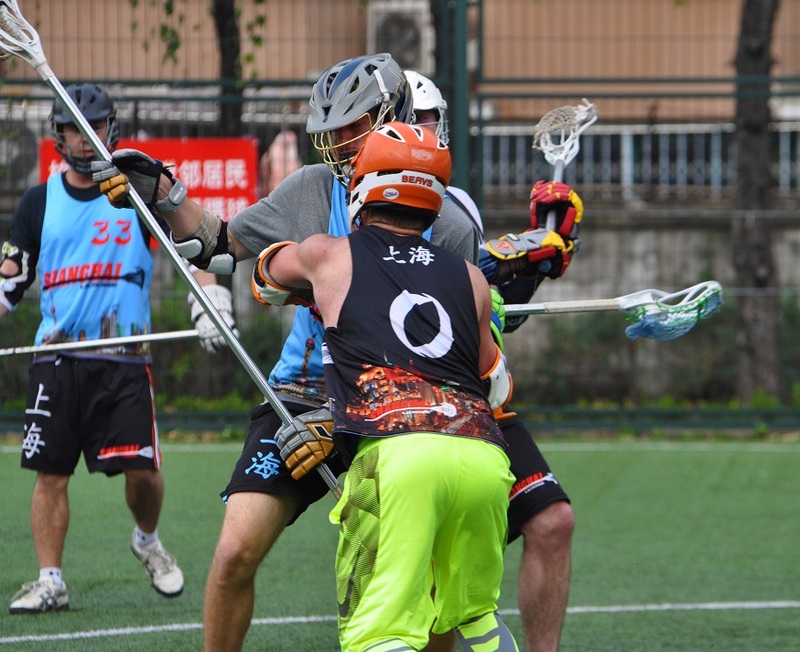 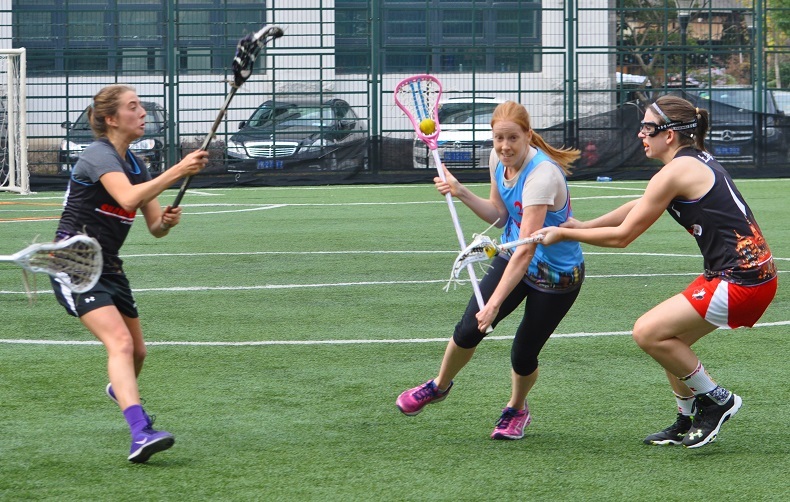 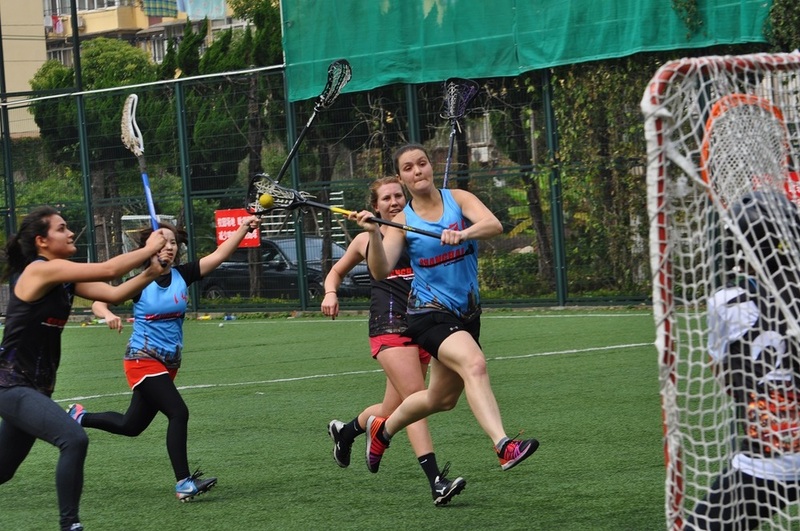 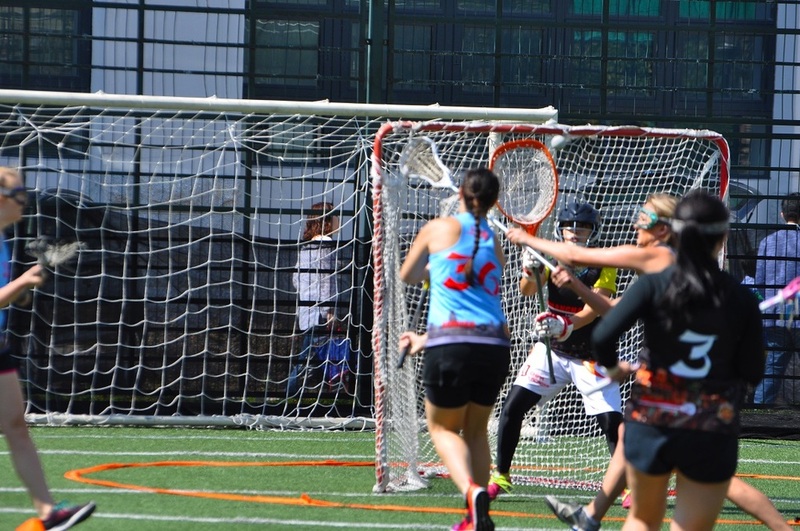 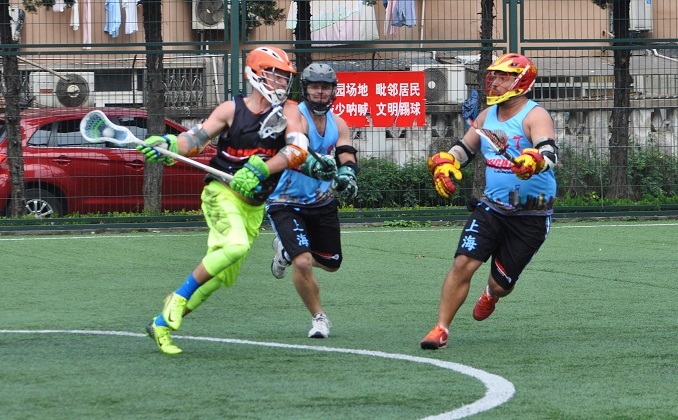 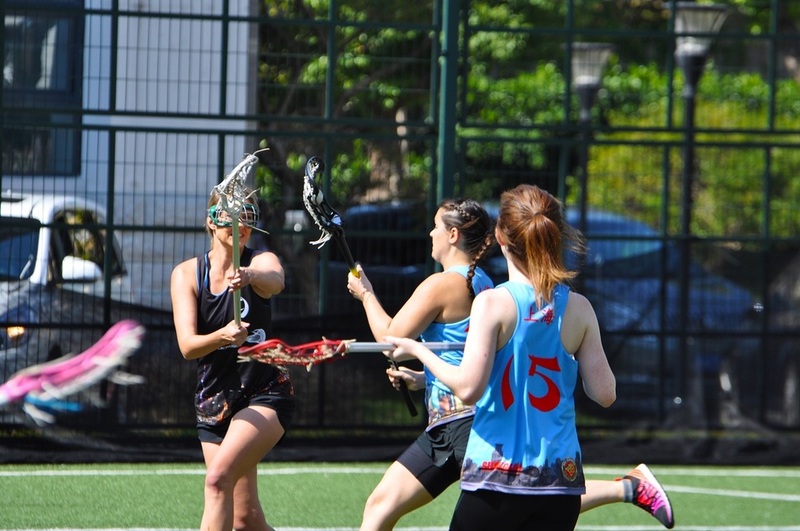 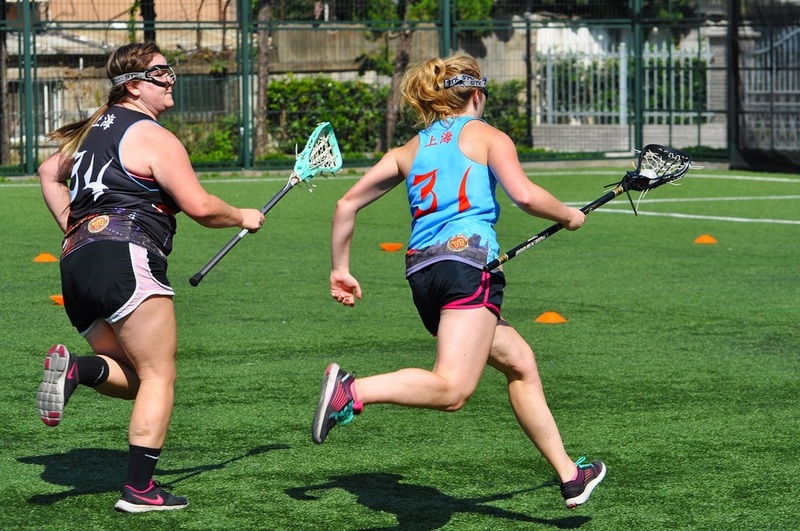 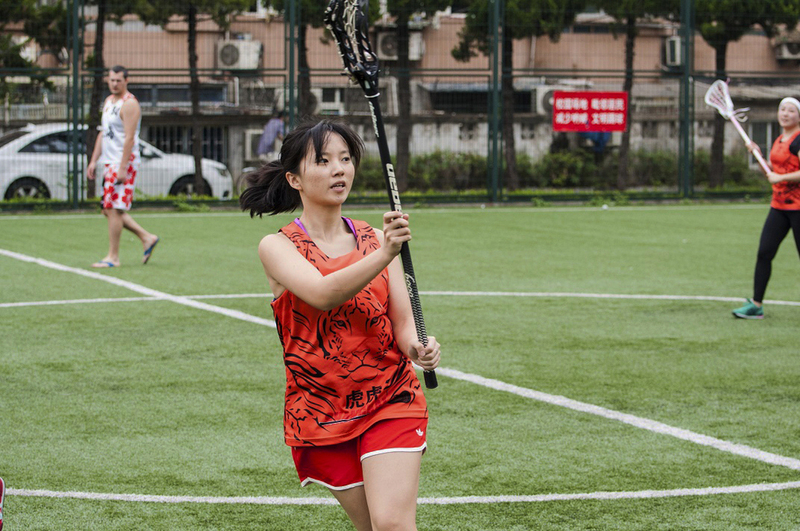 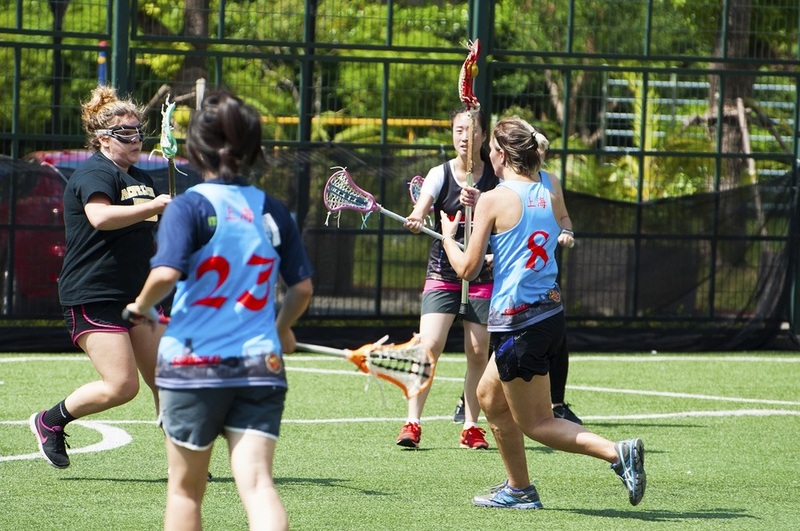 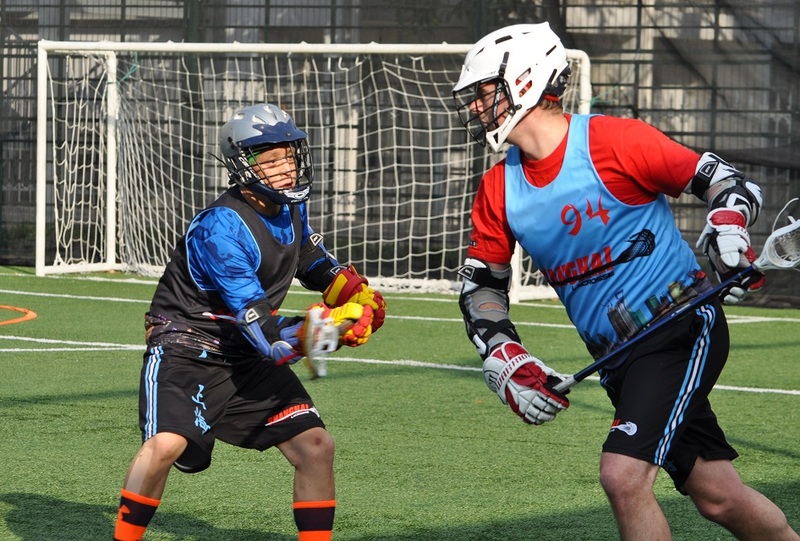 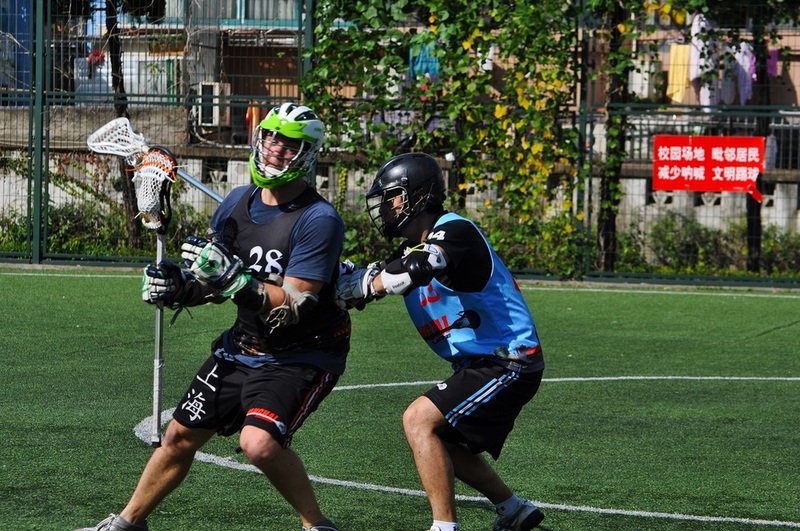 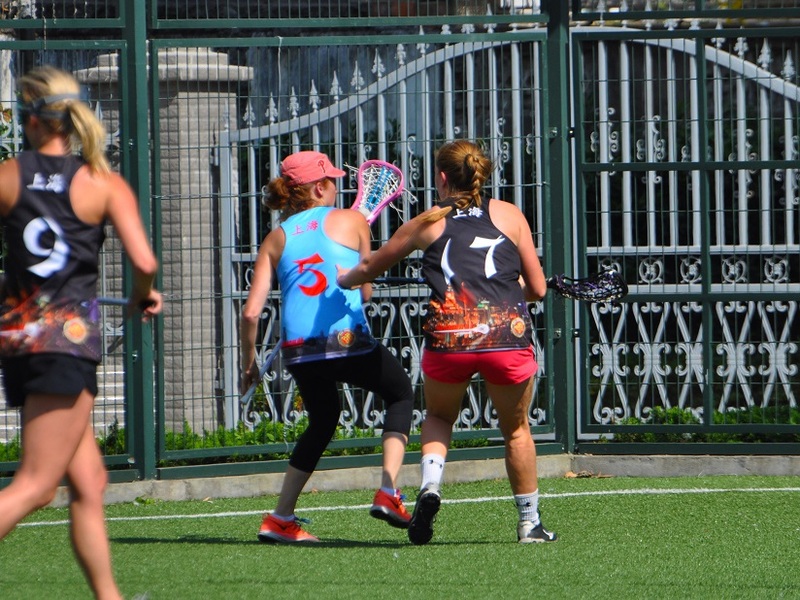 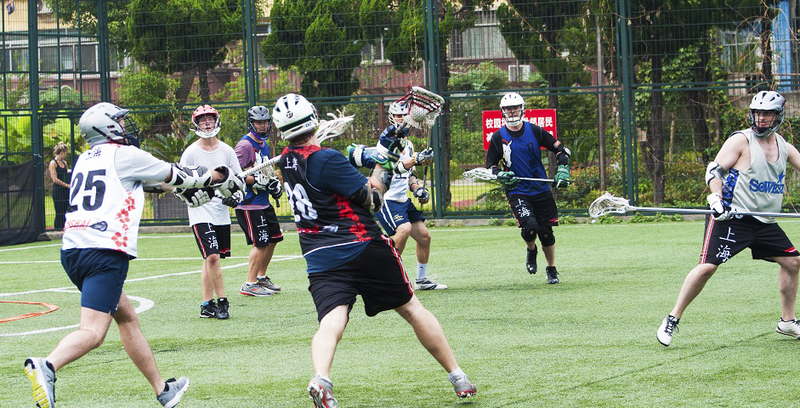 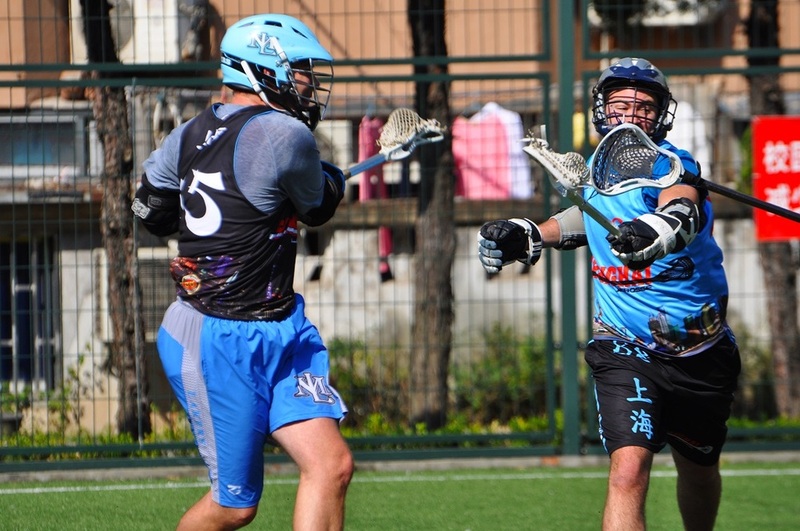 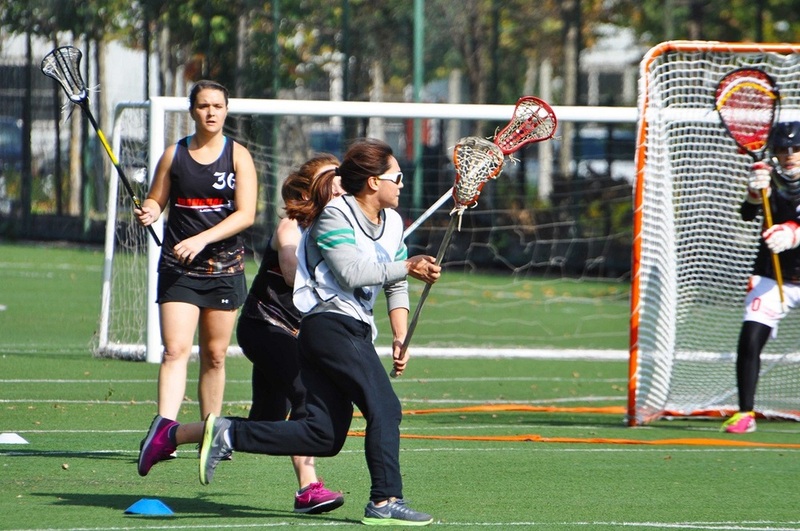 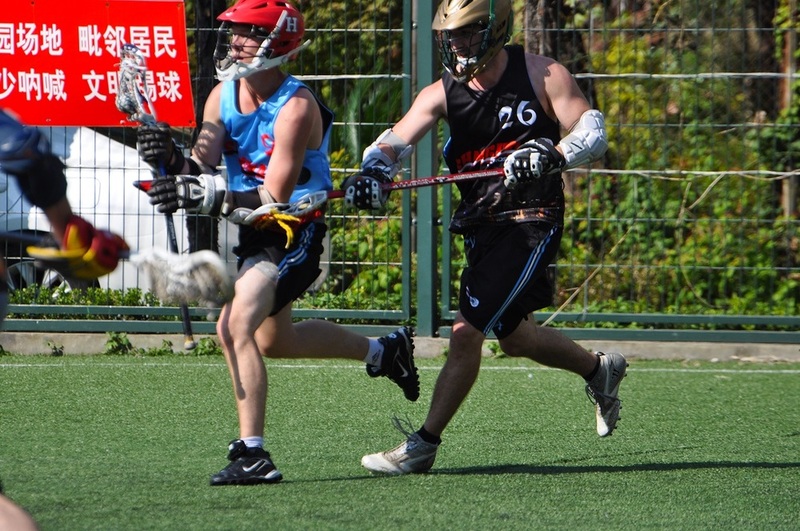 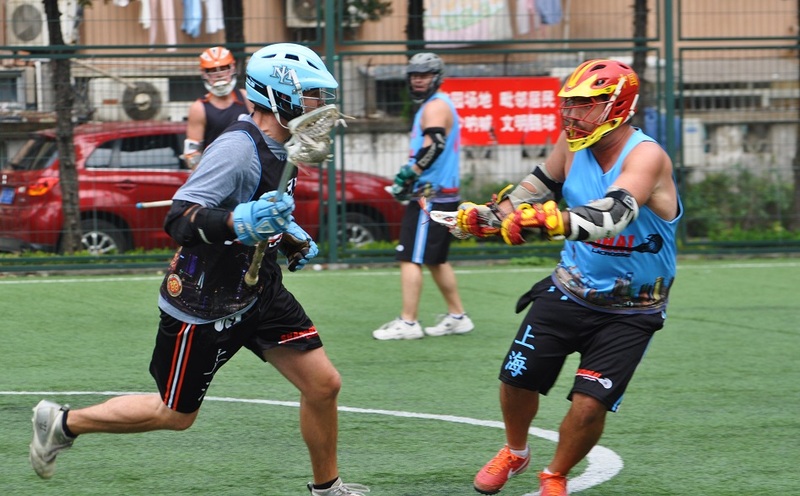 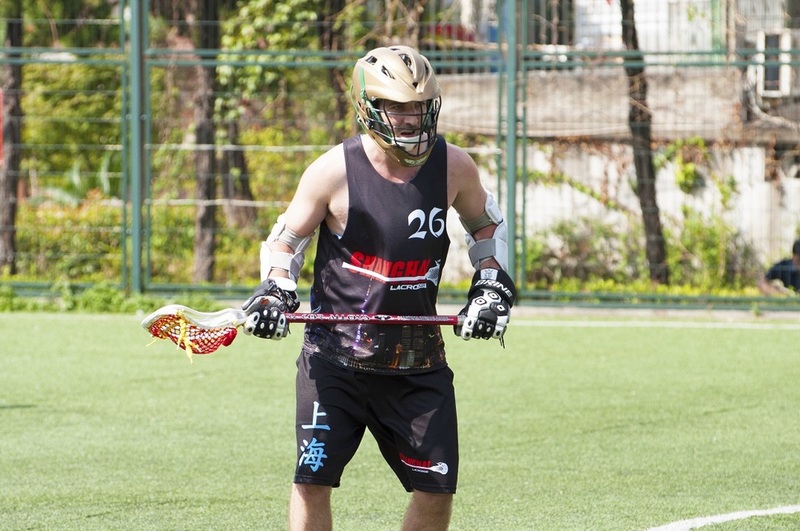 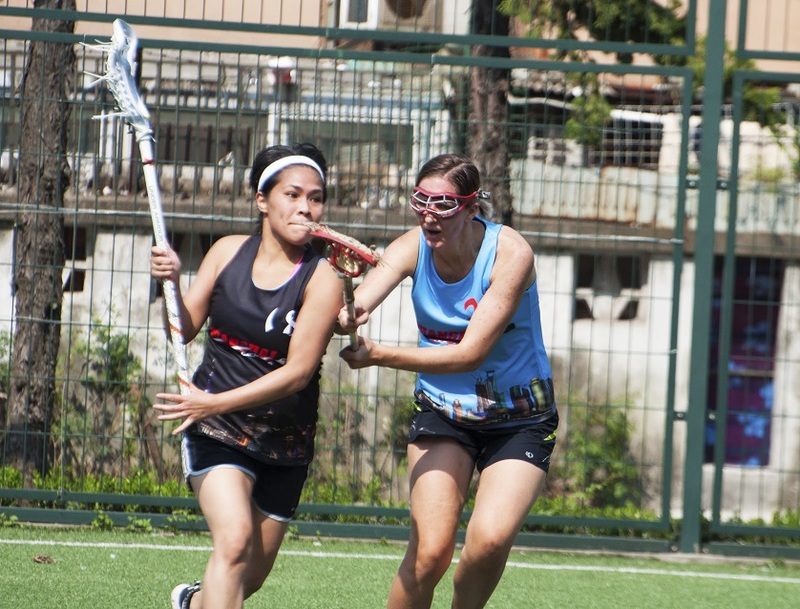 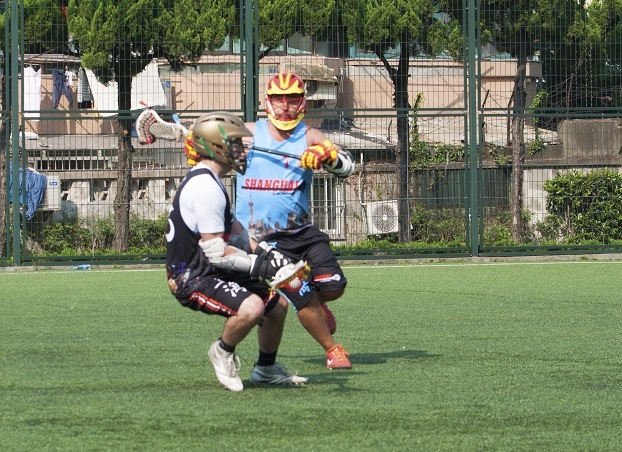 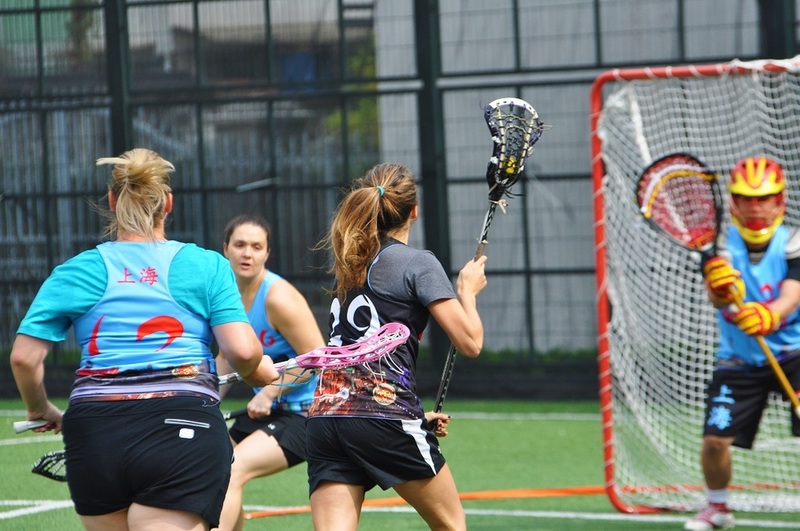 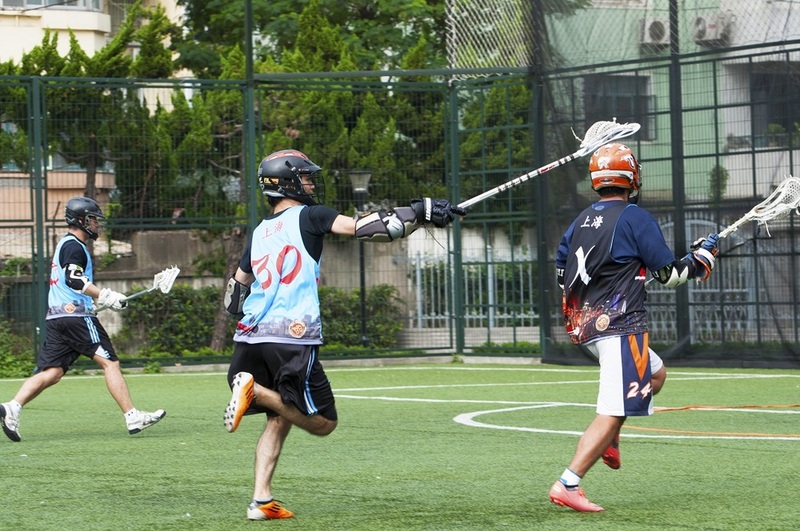 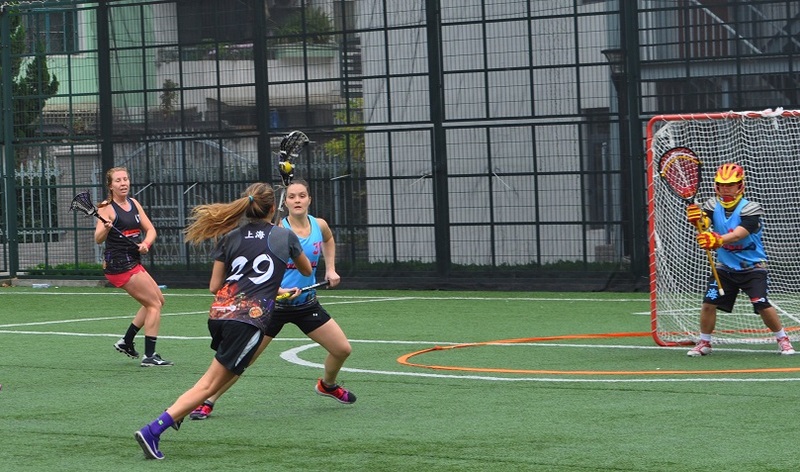 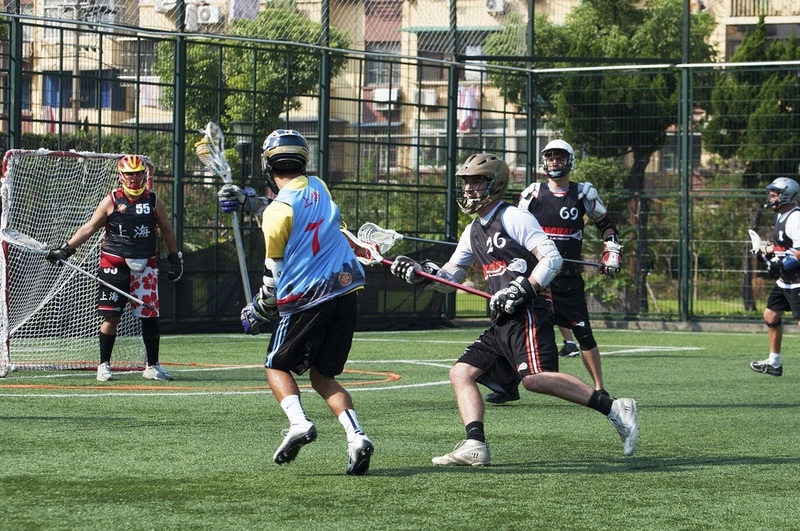 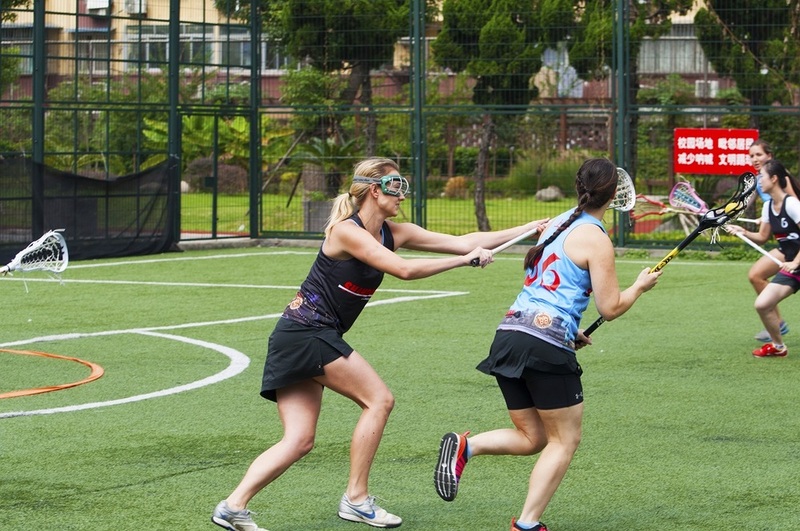 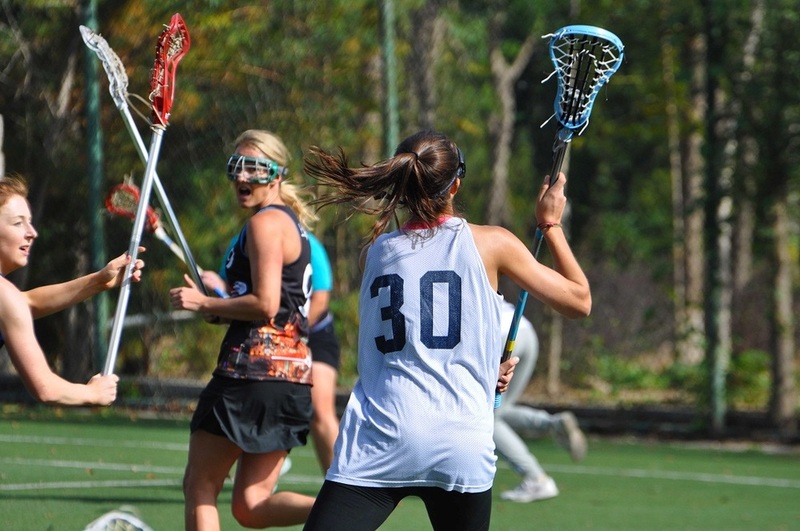 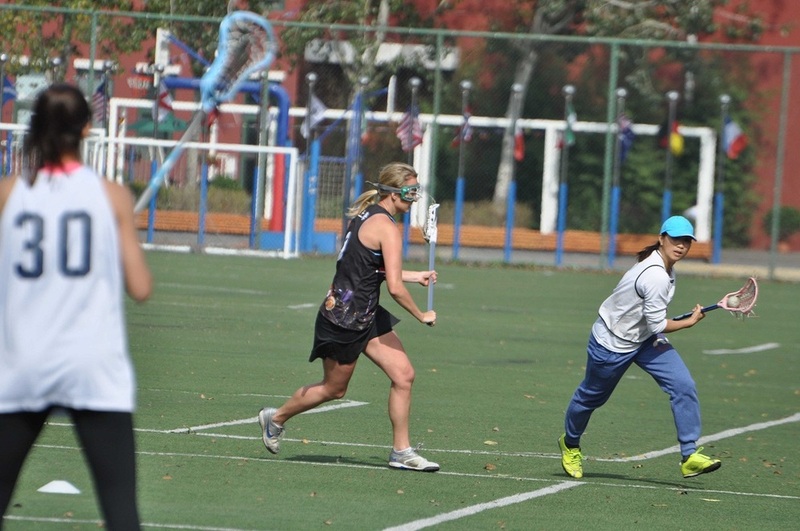 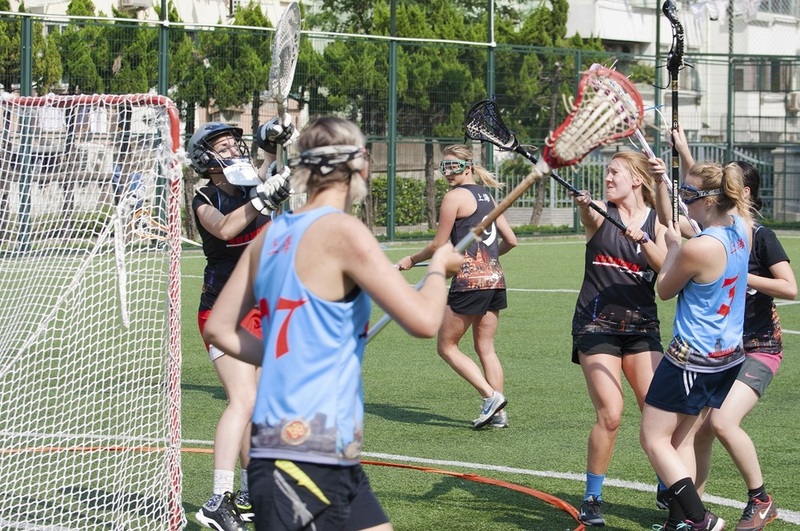 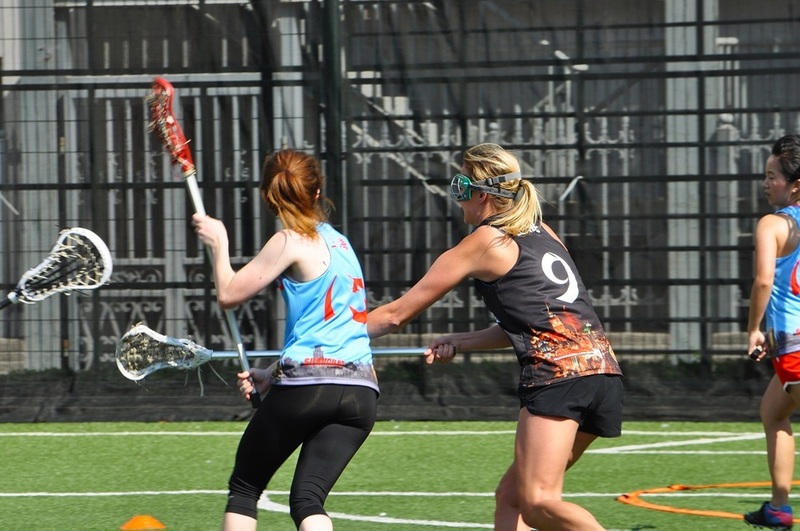 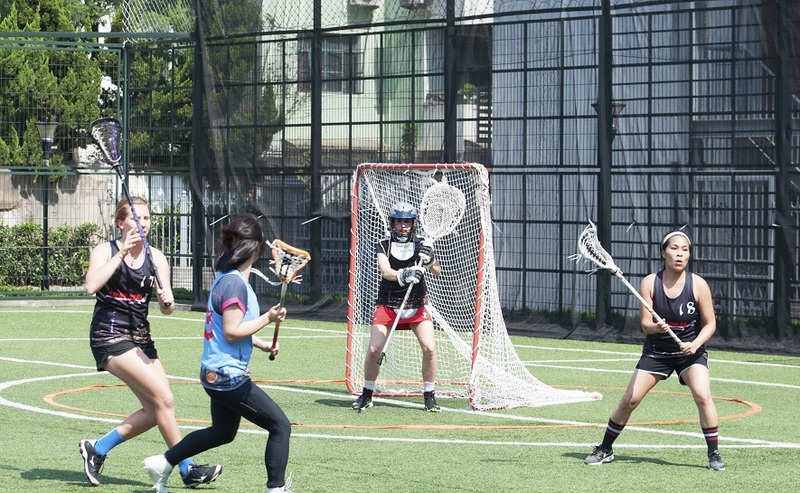 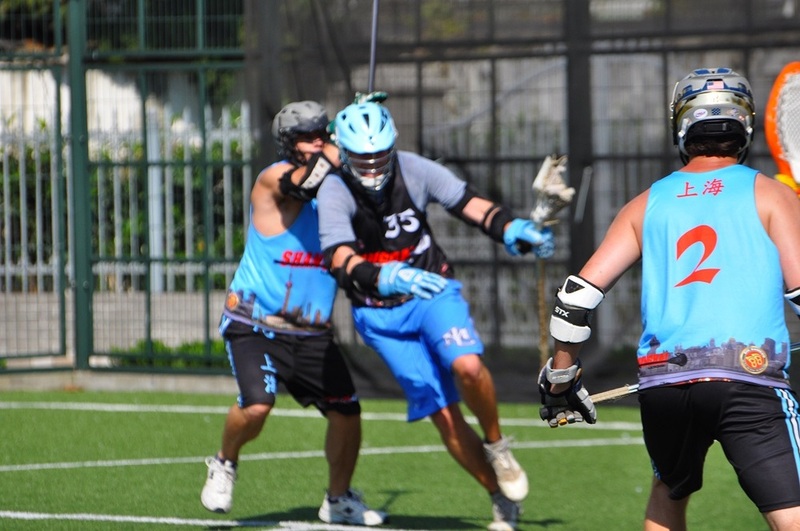 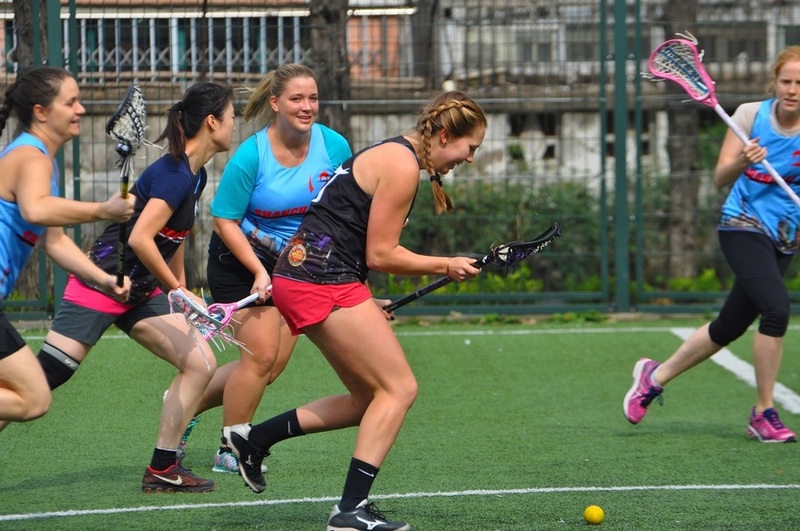 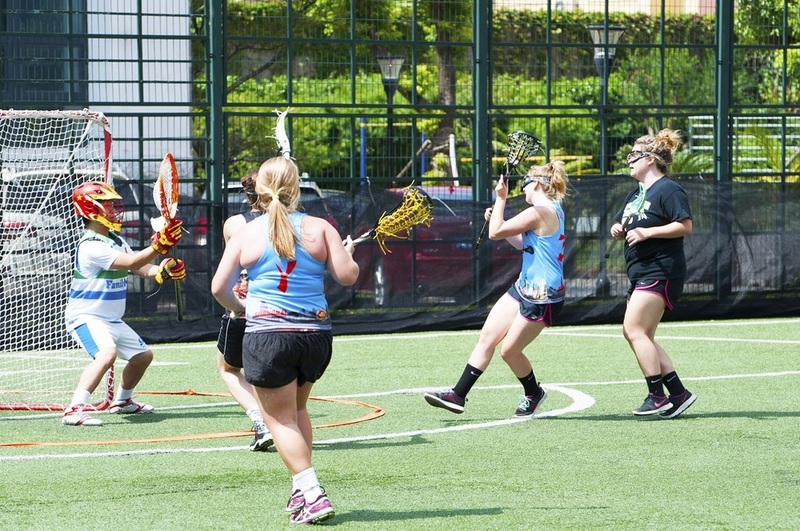 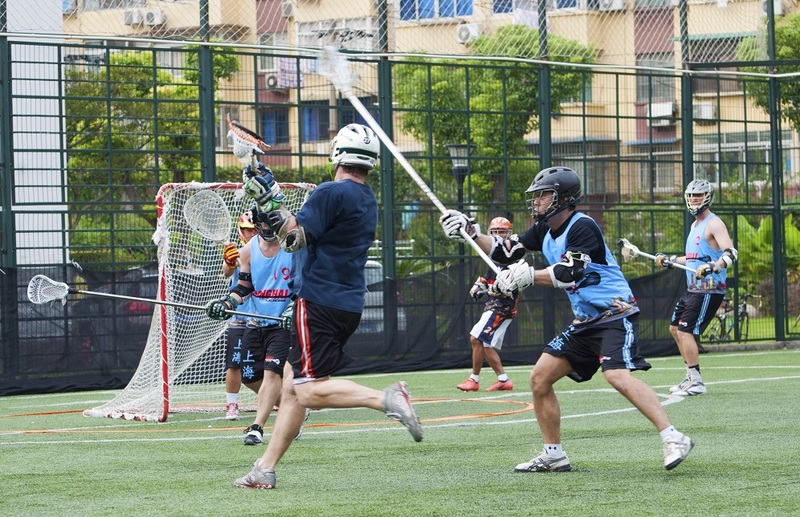 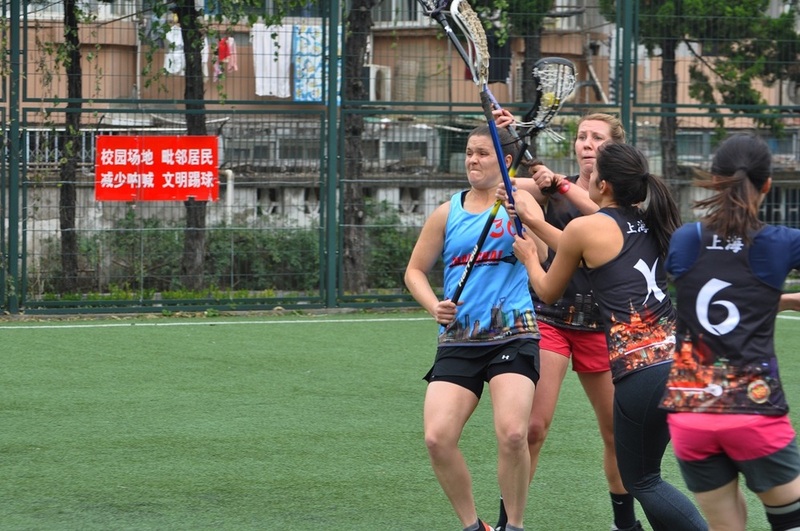 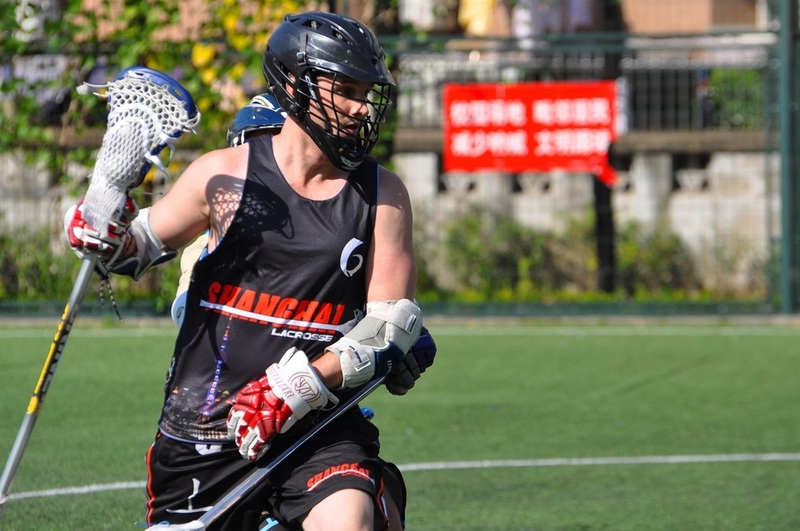 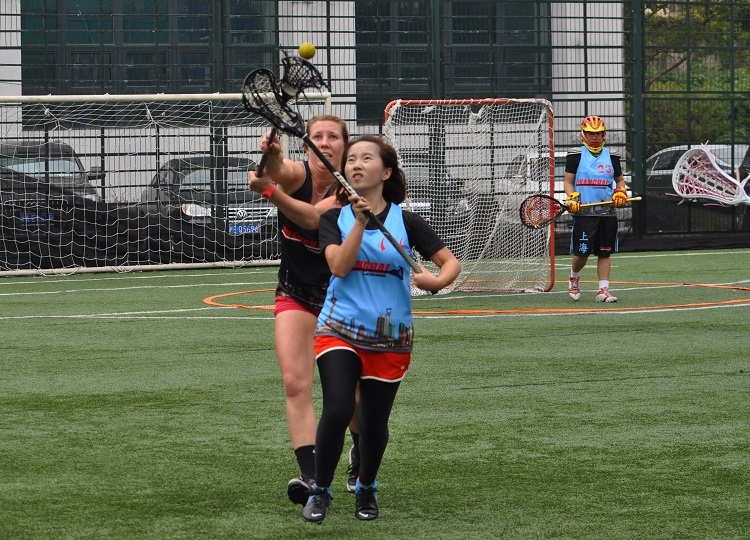 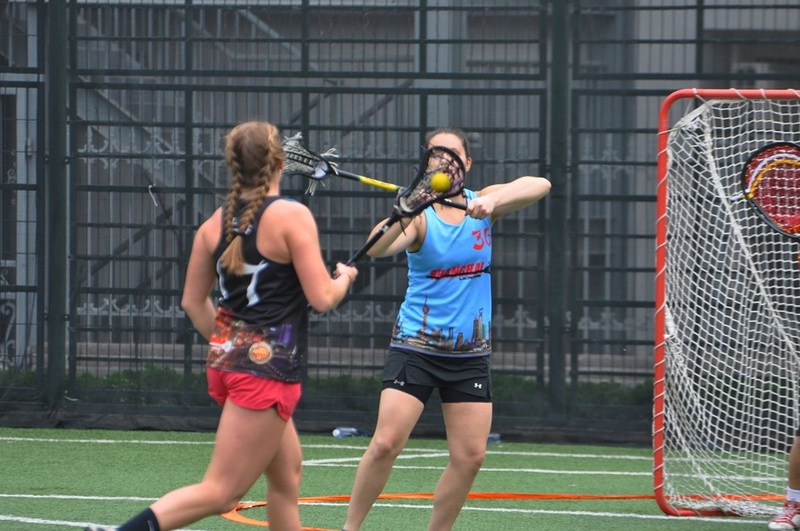 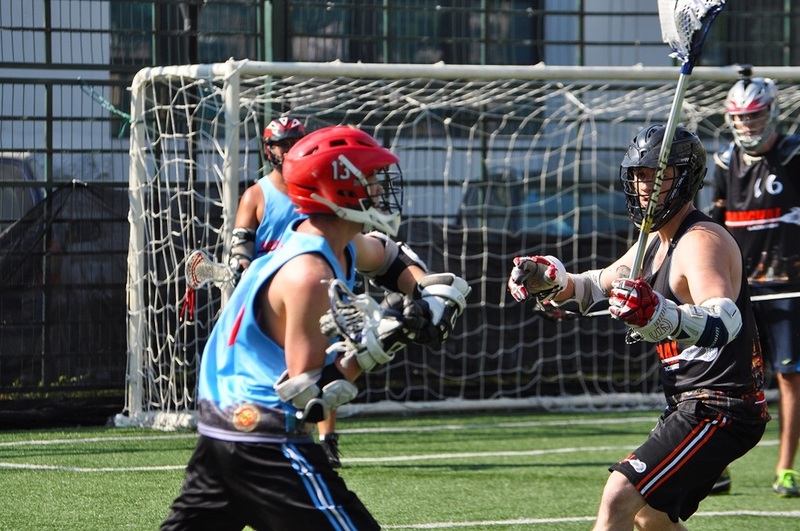 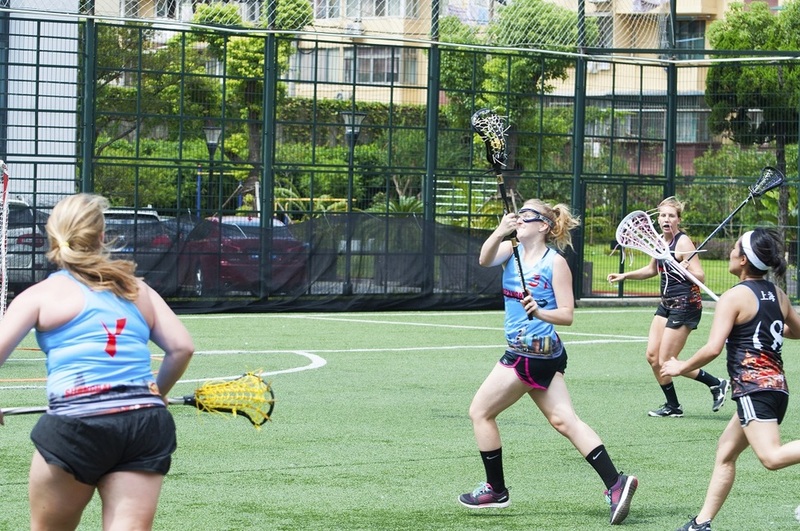 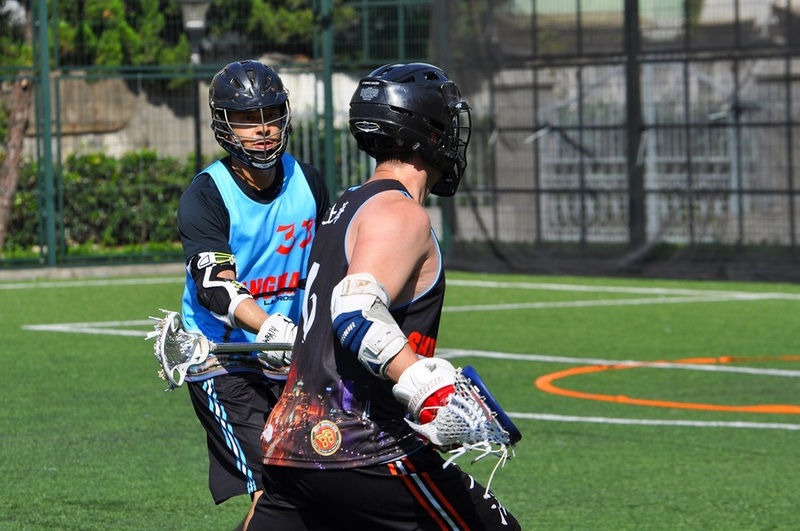 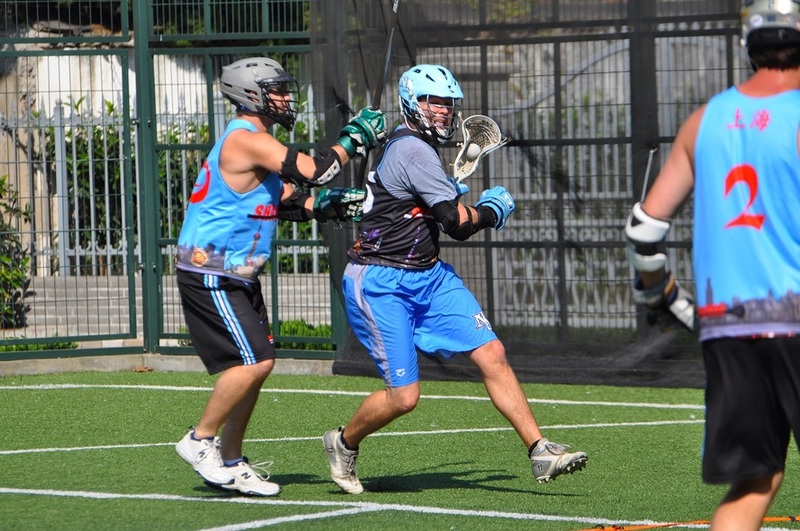 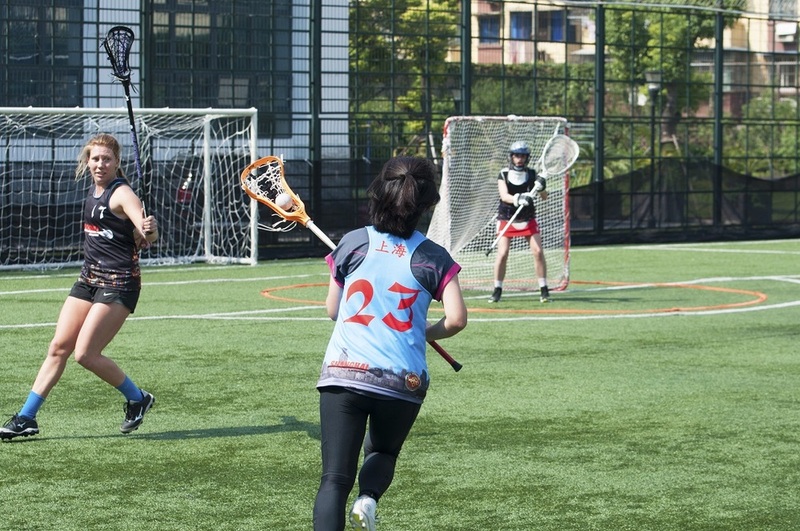 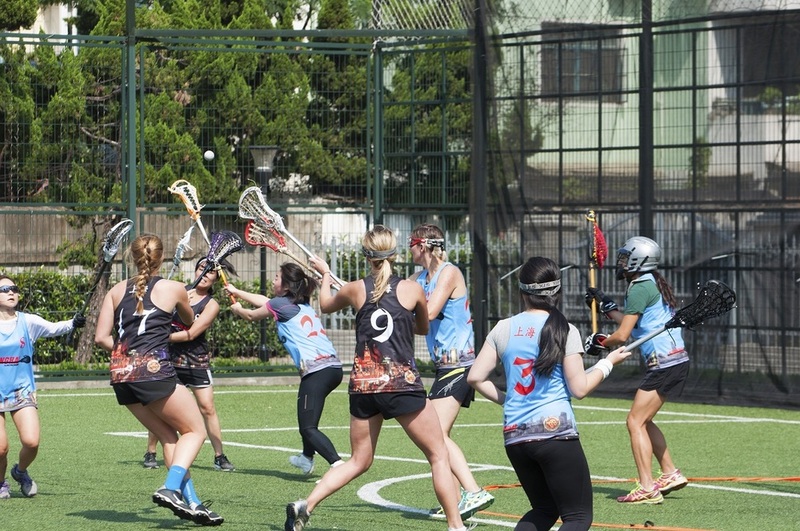 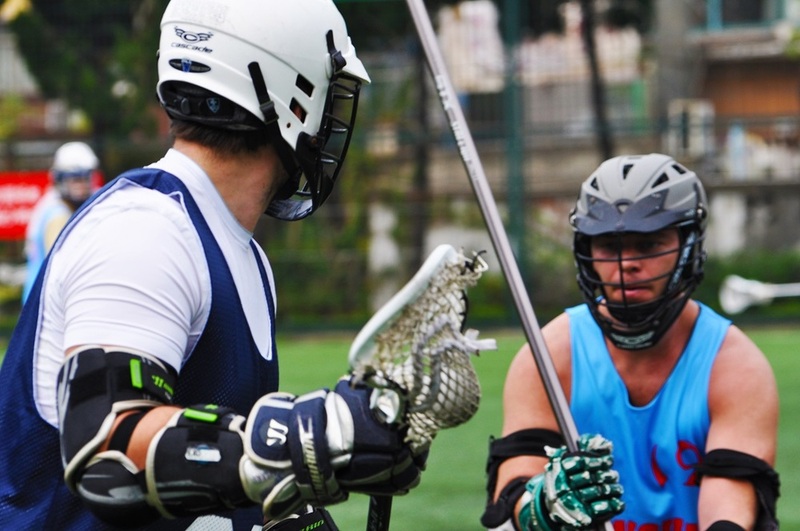 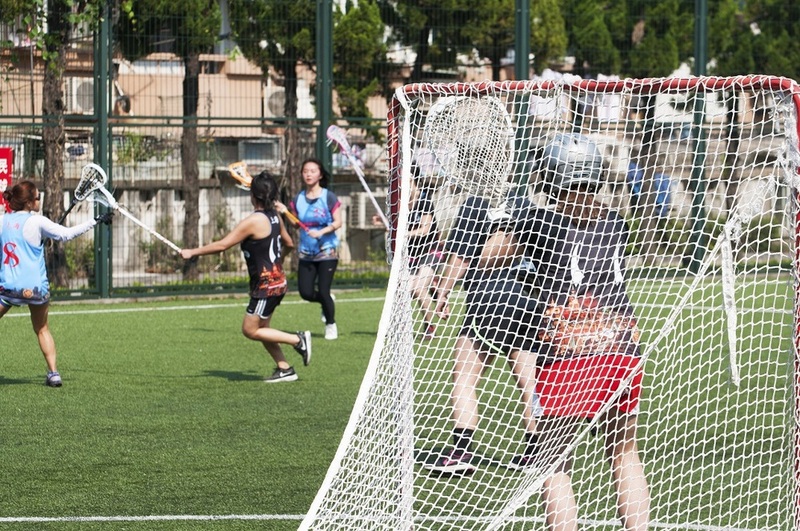 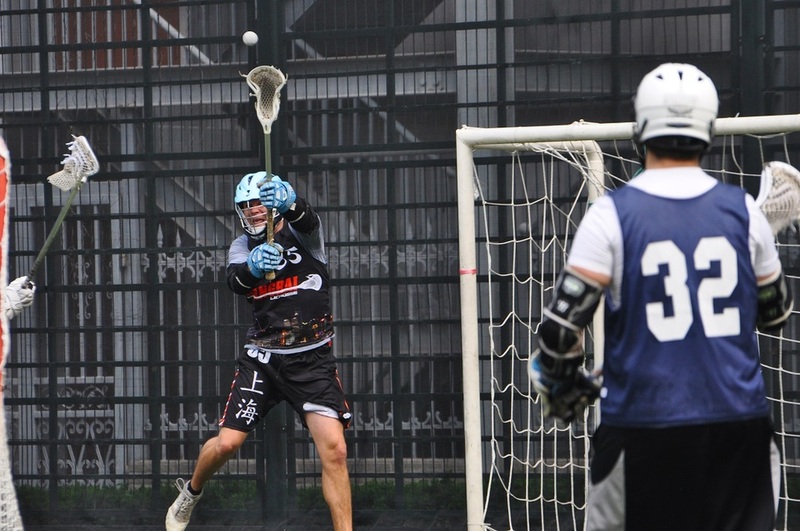 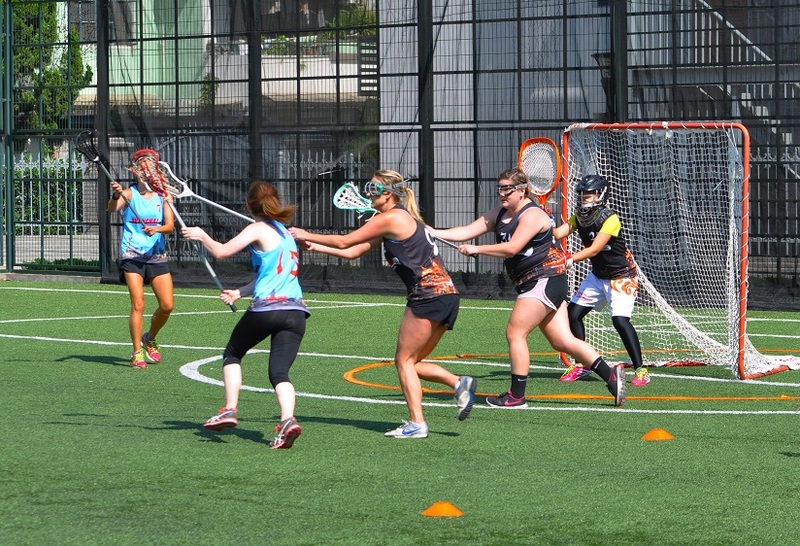 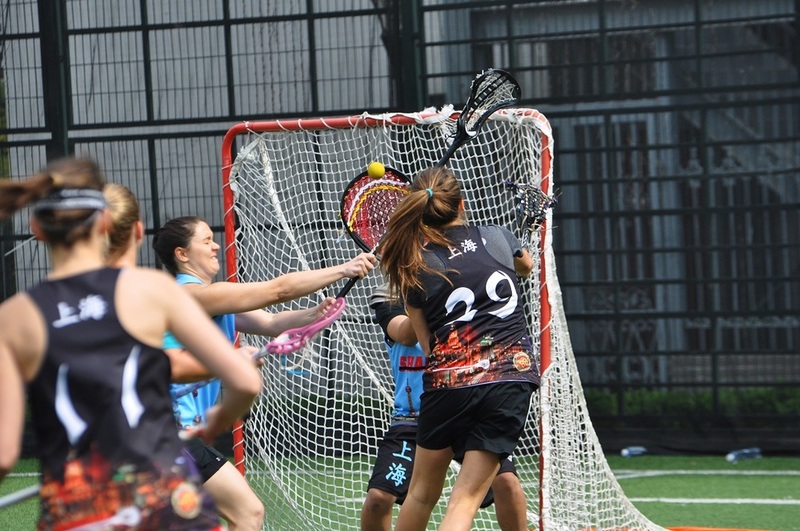 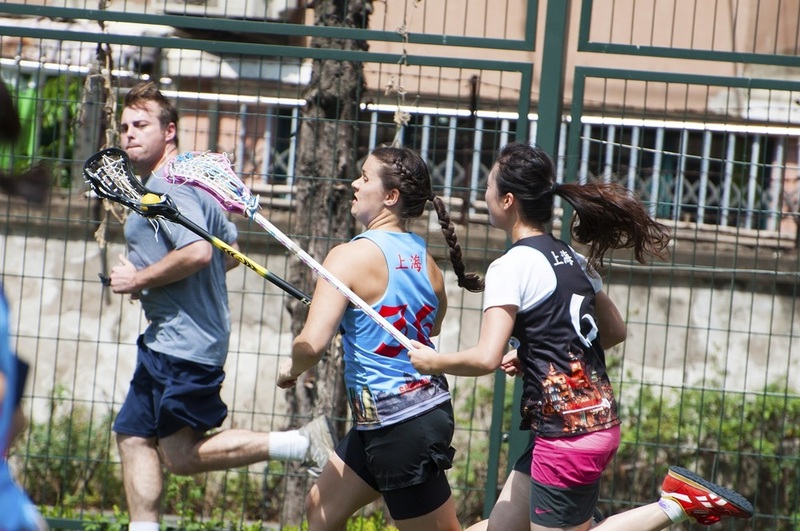 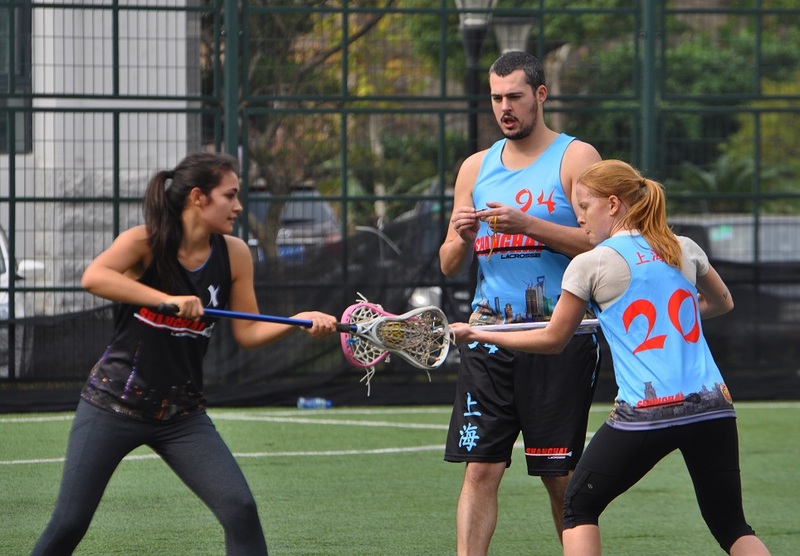 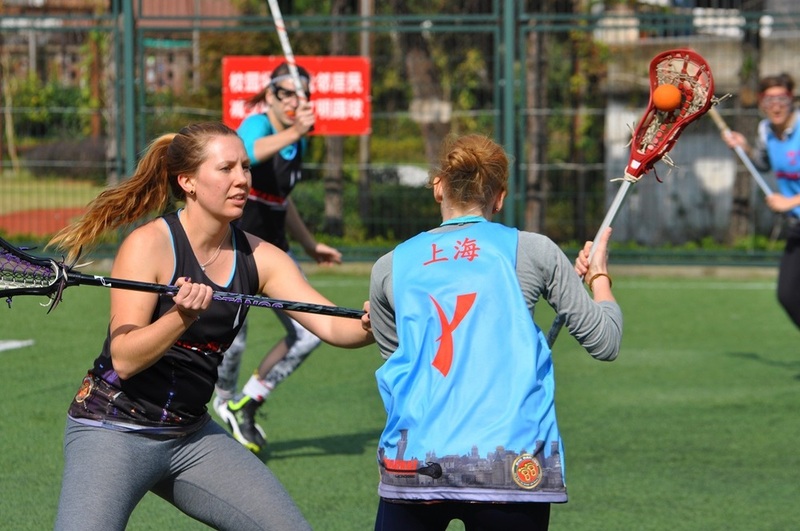 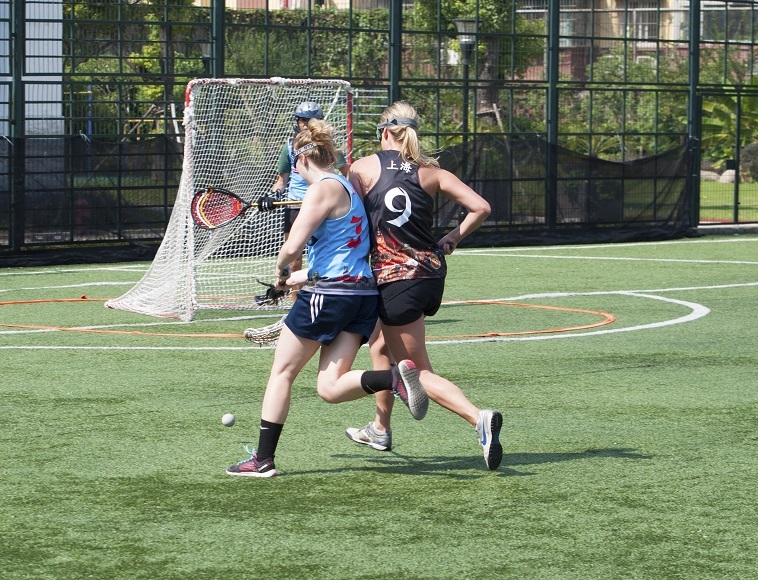 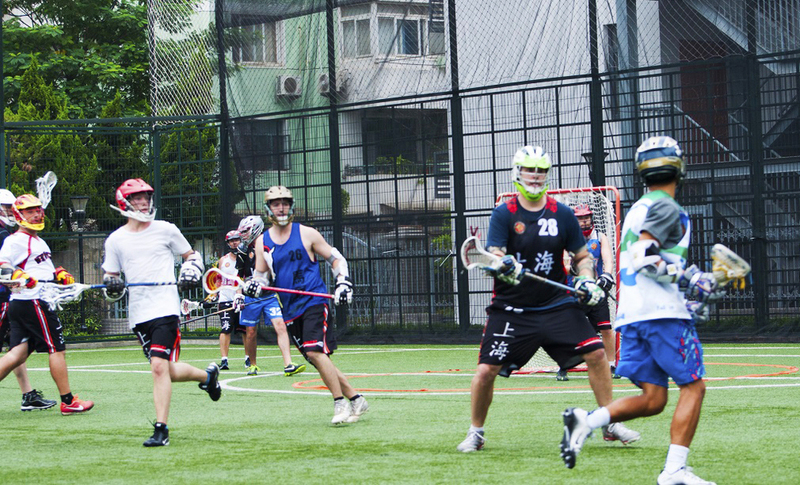 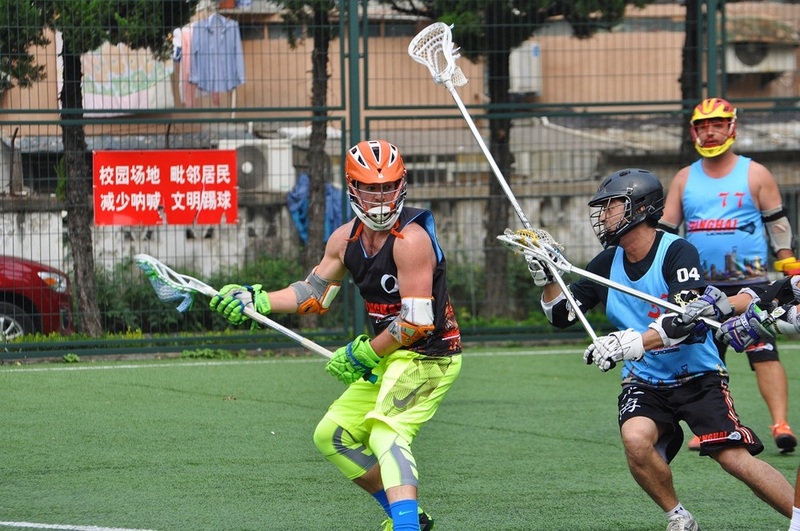 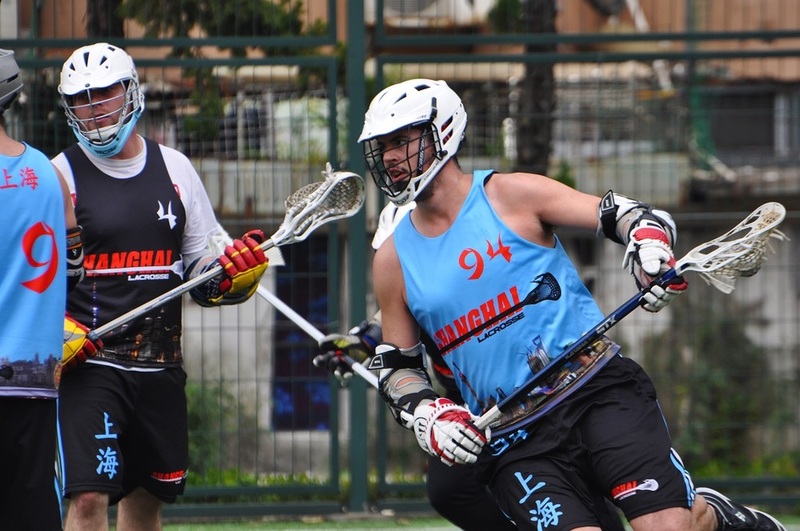 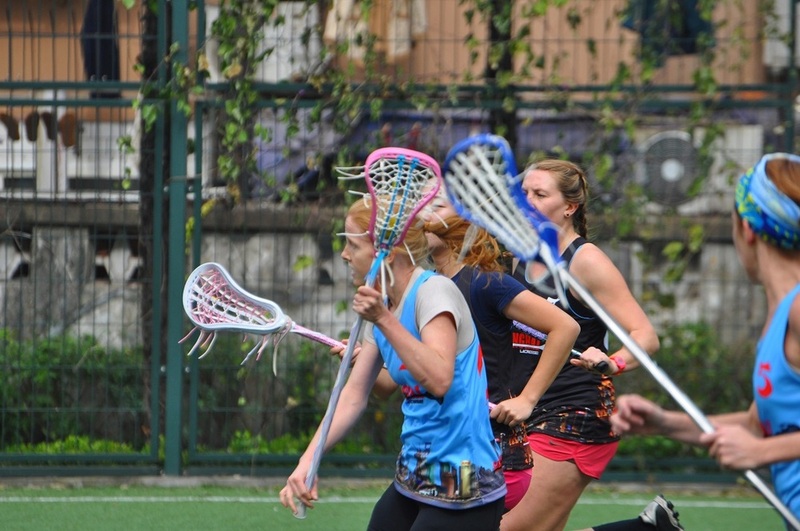 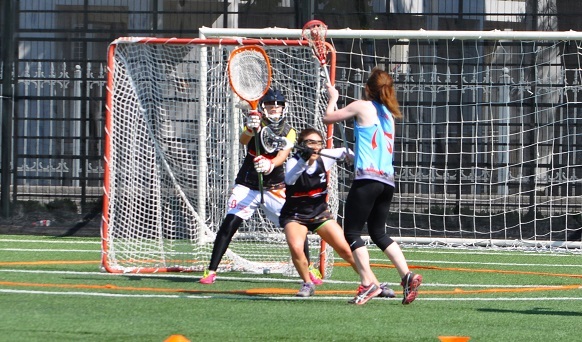 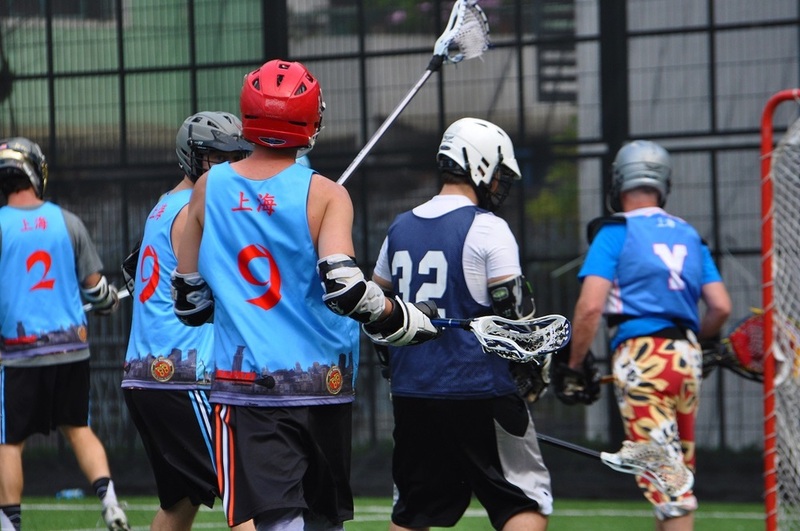 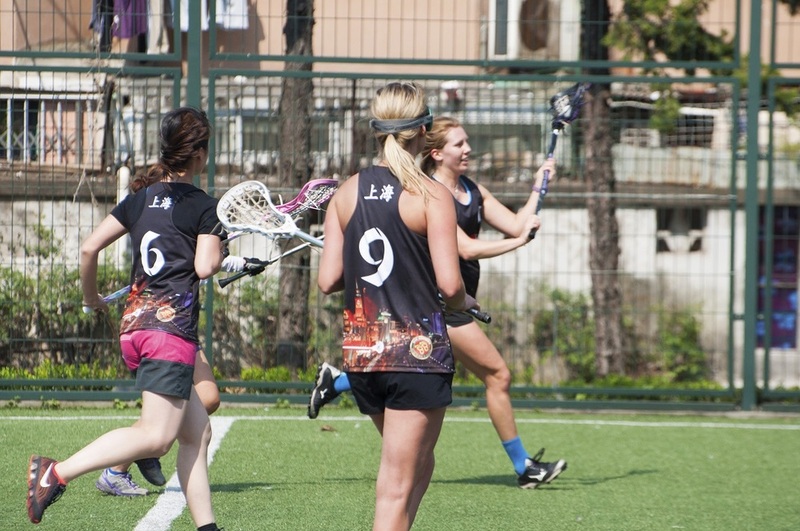 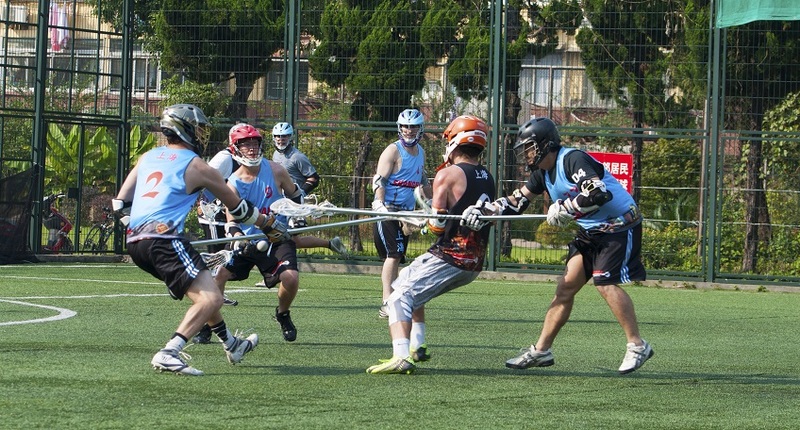 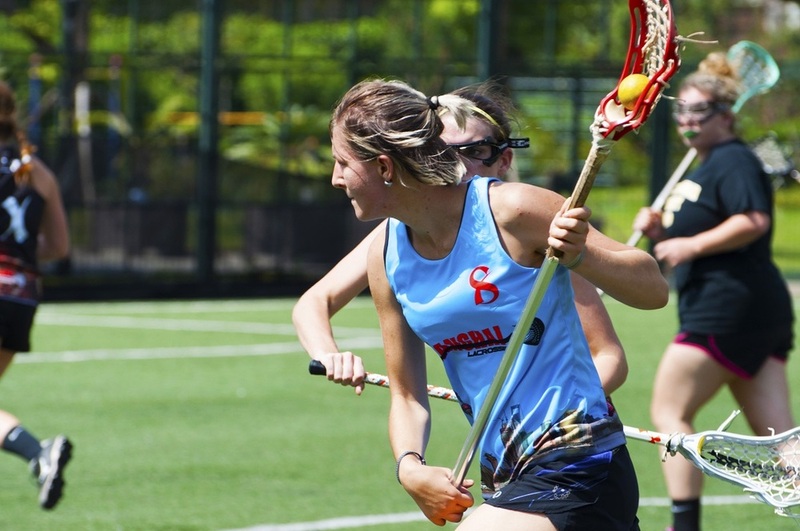 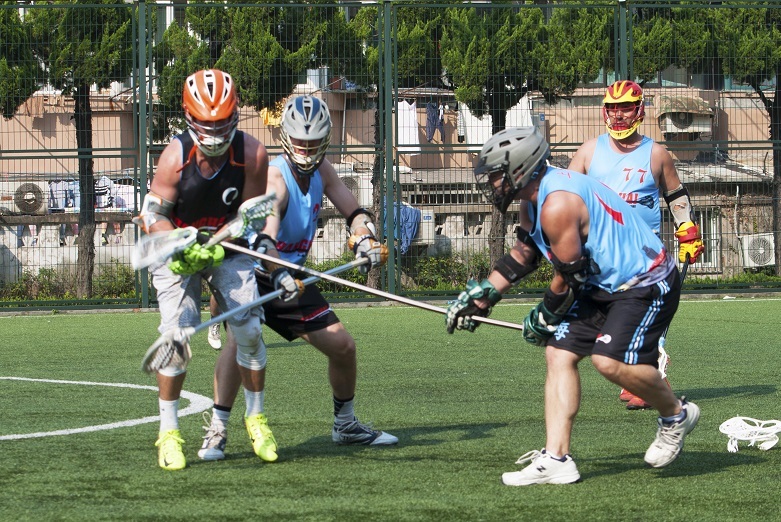 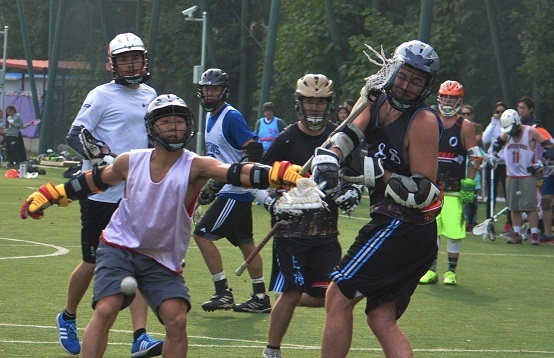 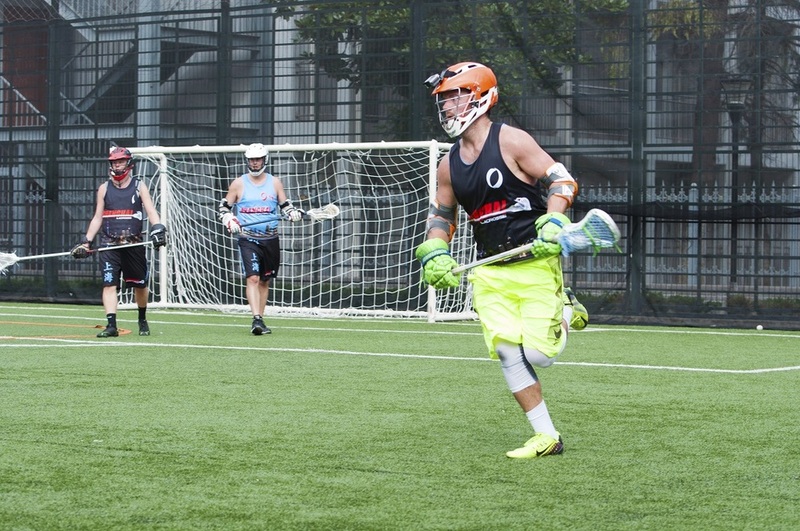 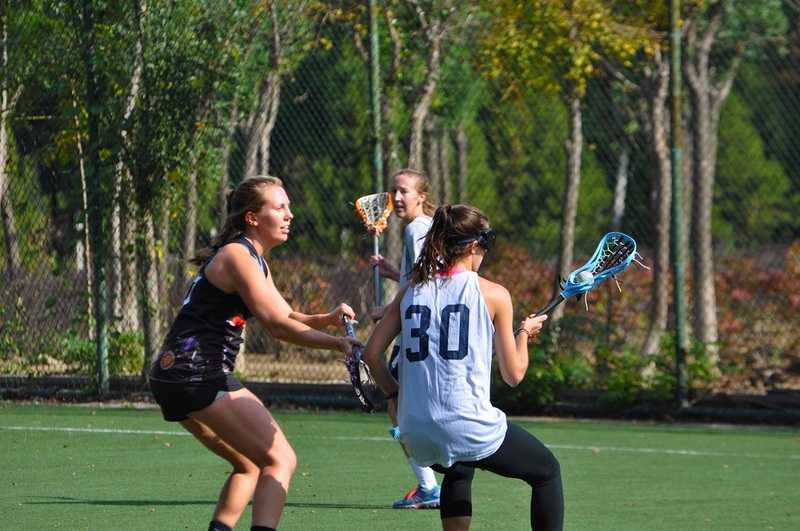 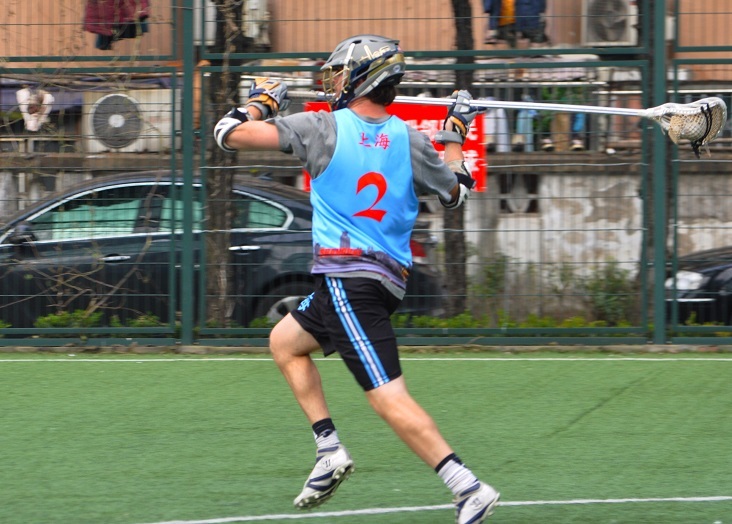 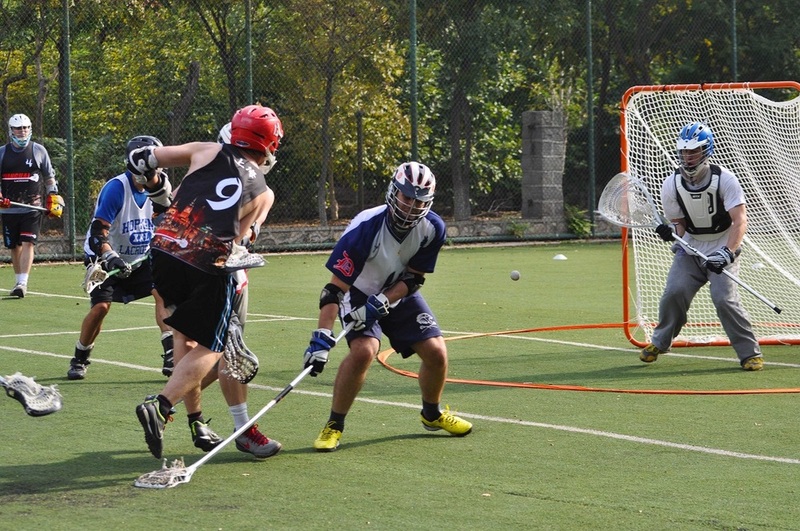 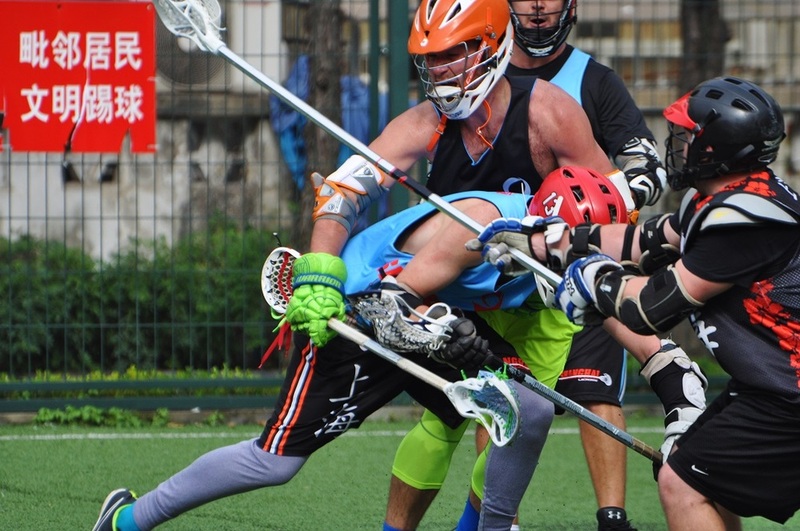 The Shanghai Lacrosse season is back under way and people are thrilled, some even spewing with joy. 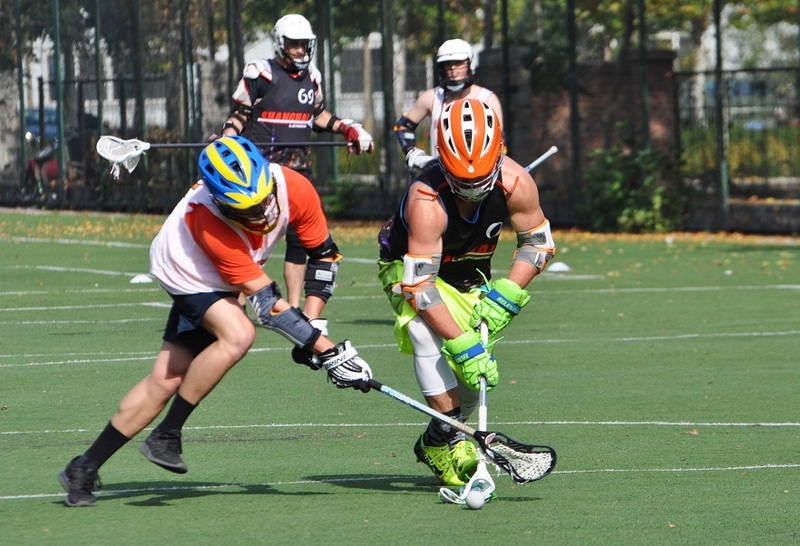 The Fall Season is now underway. 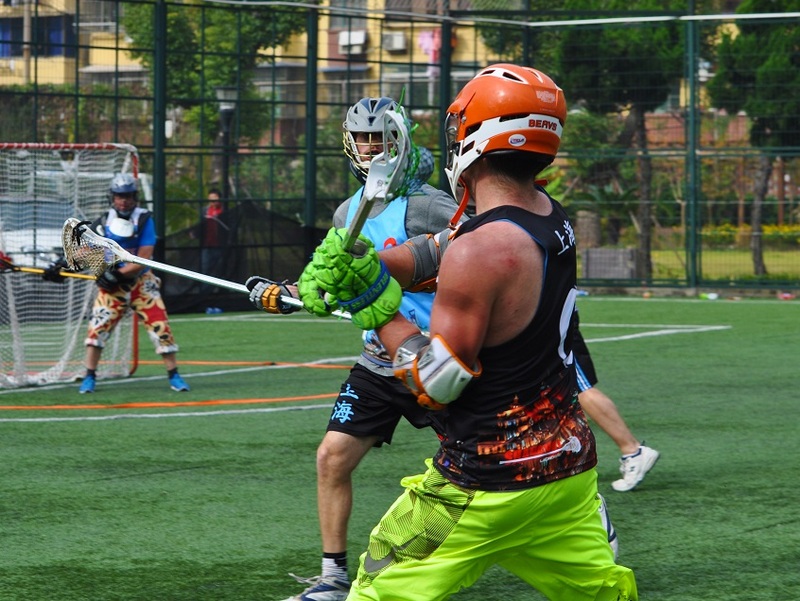 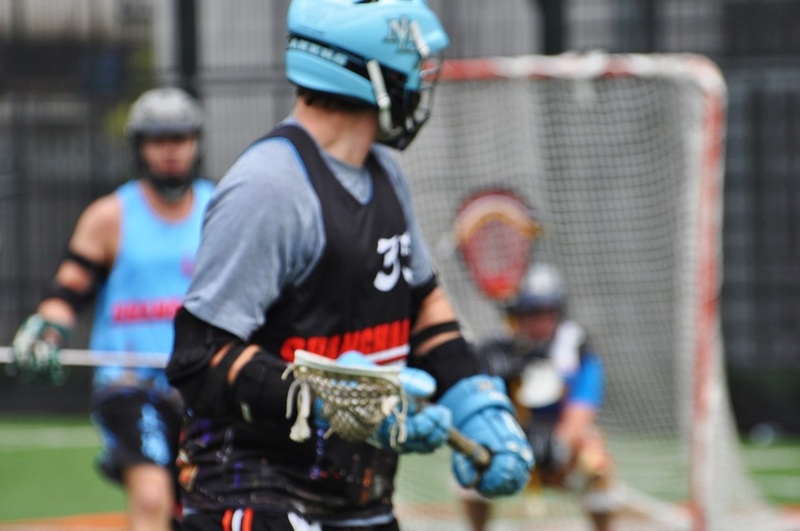 Teams have been split into the Danimals and los Elefantes as tribute to legends Danimal Krassenstein and Señor Mike Elefante, the godfather of Shanghai lacrosse. 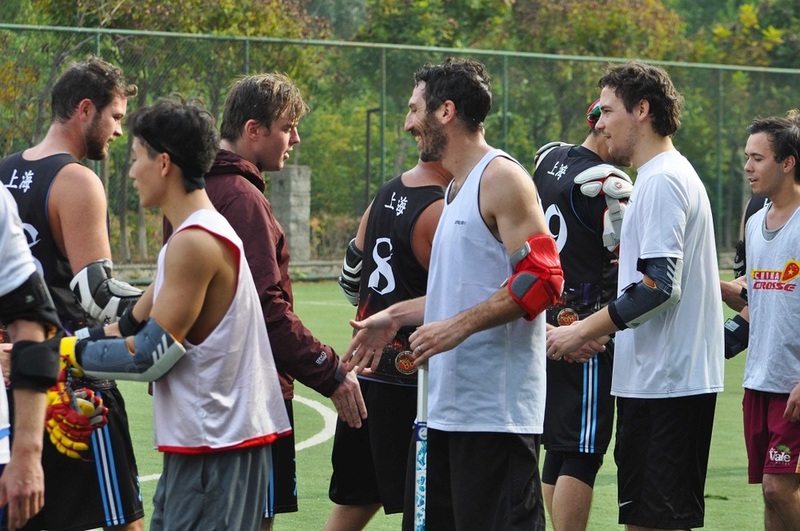 Los Elefantes players walked onto the field looking fresh in their new, all white uniforms – angelic in a way. 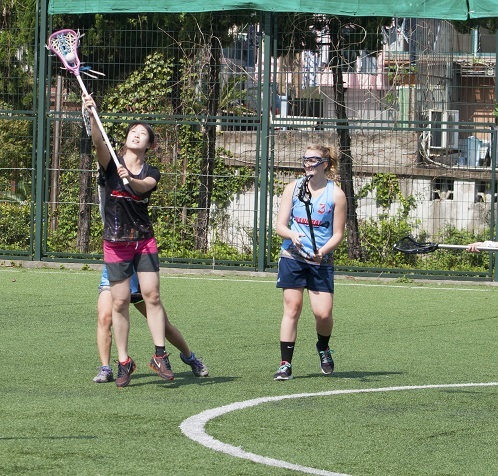 However, rife with maybe too much enthusiasm, these players didn’t realize they were short one defensive long pole. 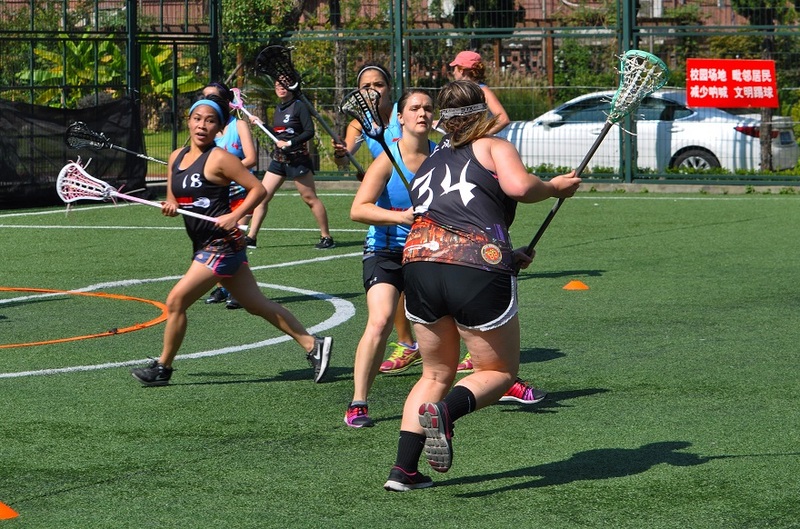 Even after this daunting realization though, which came only moments before the start of the first half, the determination of los Elefantes players did not falter, but as time told, nor did it last. 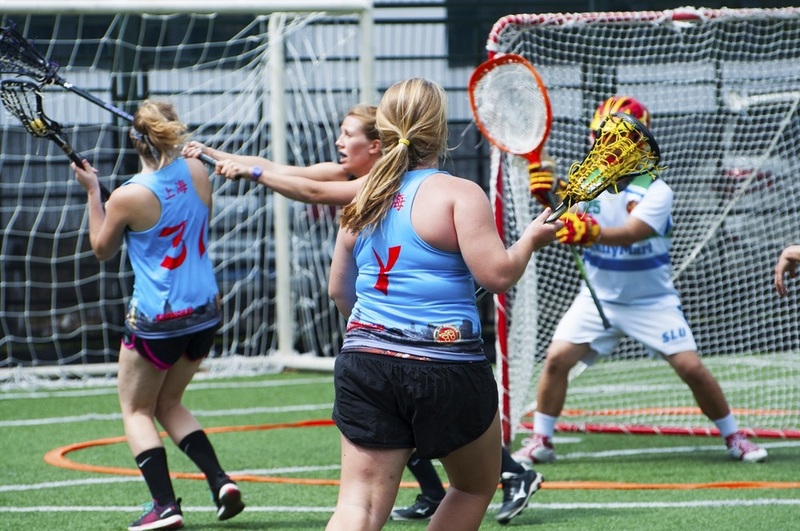 On the opposite side of the field, The Danimals stood tall in their Grateful Dead uniforms, ready to bewilder opponents with abundant amounts of color. 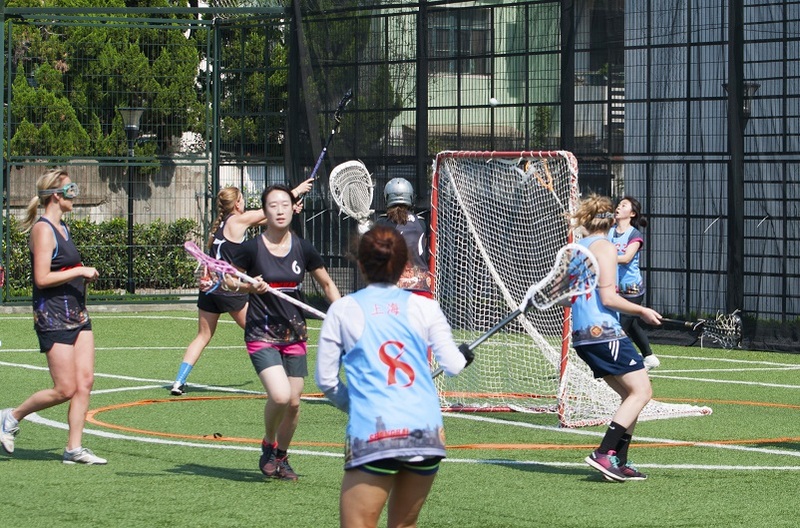 On this particular day though, no bewilderment was necessary. 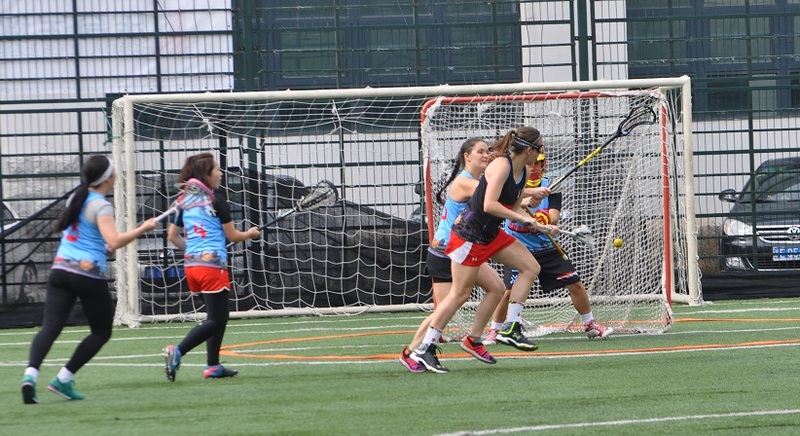 The Danimals were quick to take the lead, not letting up for a second. 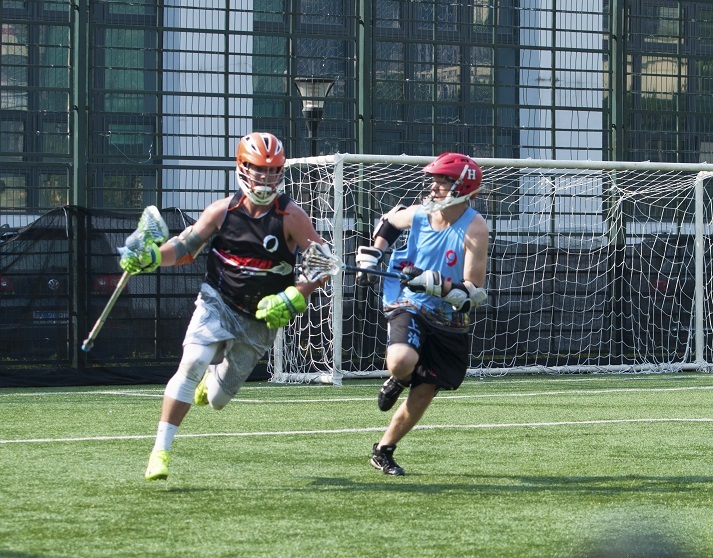 Midfielder Mark Collins of the Danimals was the game’s top scorer with 13 goals; he was dancing around the defense and throwing hits on the offense. 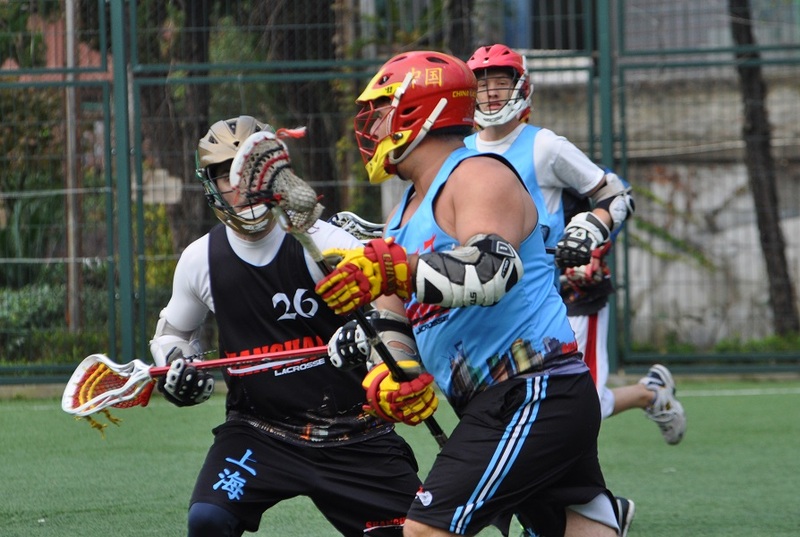 The Danimals Goalie Don Gu and his defenders did an excellent job of shutting out los Elefantes offense. 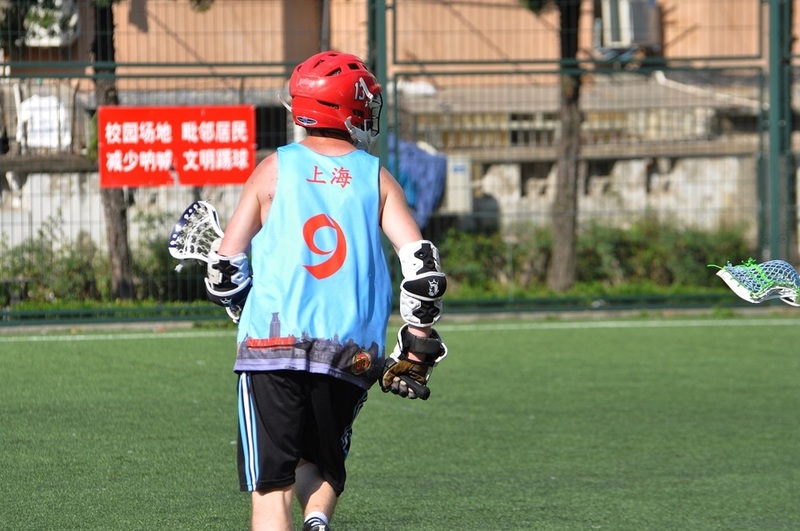 Unfortunately, Don went down from an injury early into the second half. 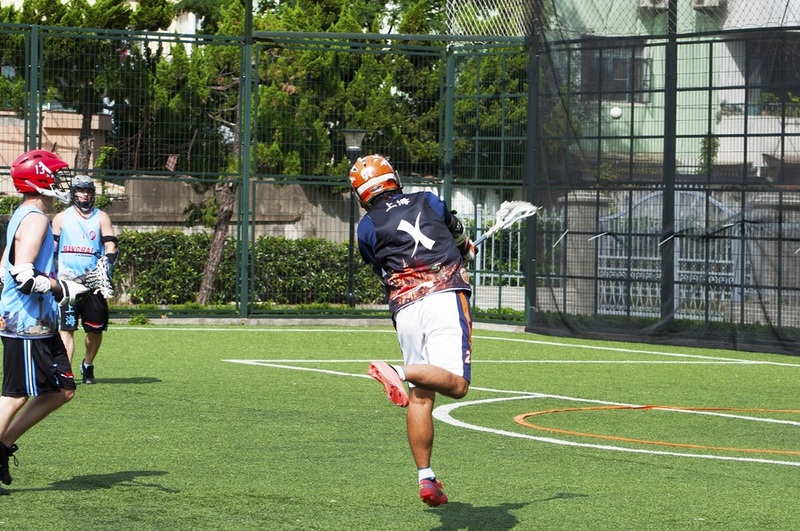 The injury isn’t too serious, so he is expected back for the next game. 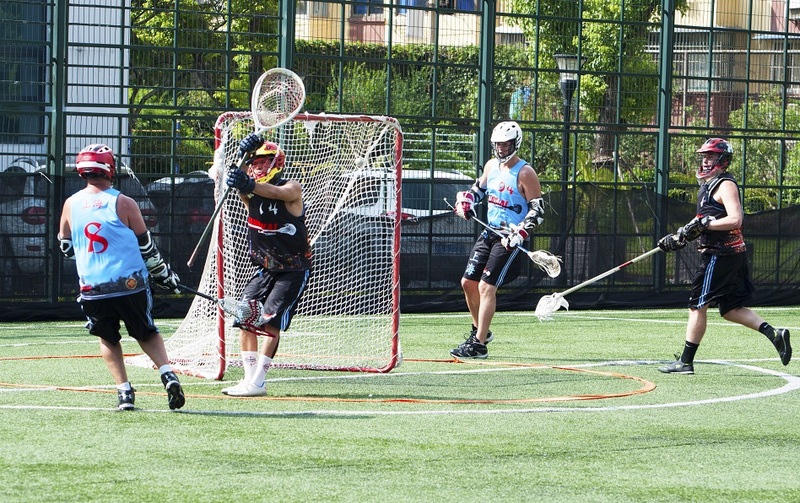 Don’s replacement was Mike Wert, a jovial Goalie who felt so confident, he decided not to warm up before jumping in the cage. 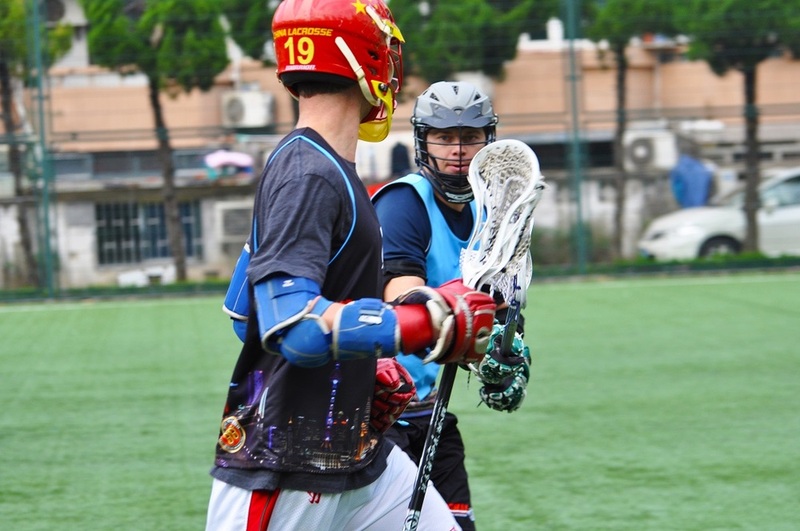 Mike finished the game strong with many saves and an attempt or two on los Elefantes goal. 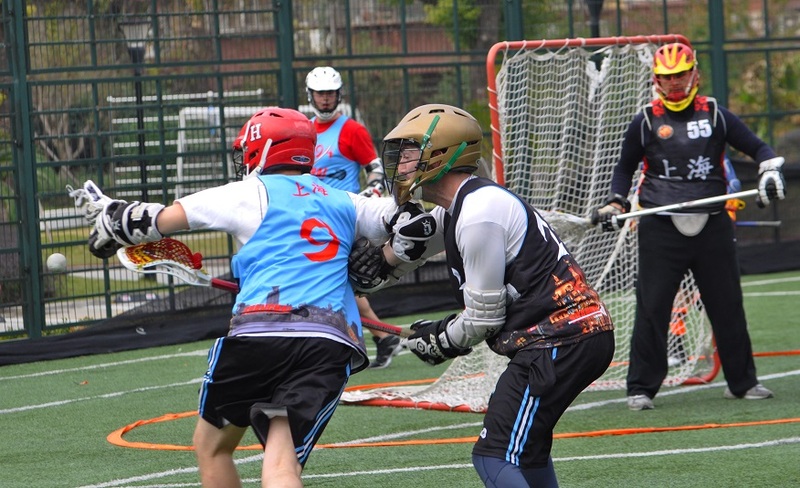 In addition to the strong defense, the combination of Mark with the Danimals Attackmen Sean Pearce, 7 goals, and Doug Delange, 6 goals, along with Midfielder Max Cassidy, 5 goals, proved to be too much for los Elefantes. 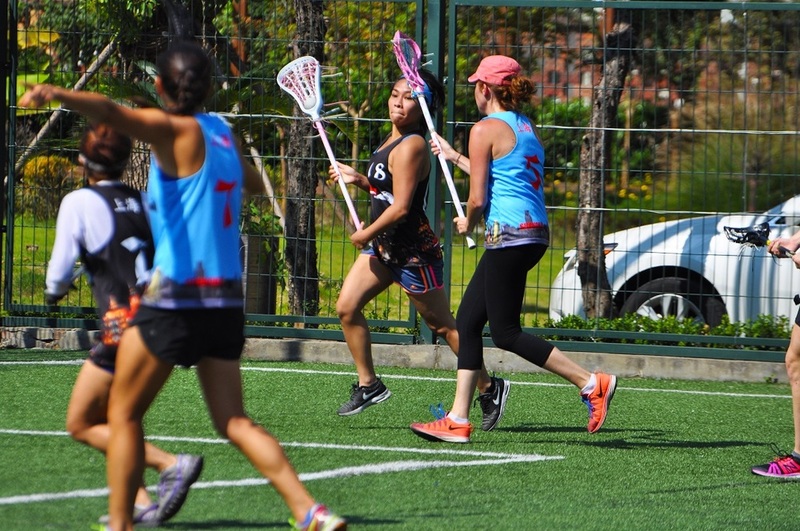 There is no denying the struggle of a season’s first game, but for los Elefantes, they did more than struggle; they were driving the struggle bus, full of strugglers, on the way to Strugglevile. 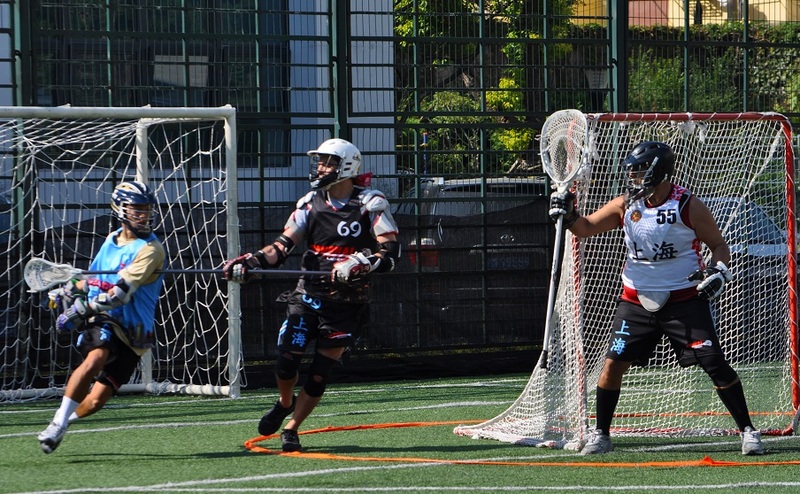 Los Elefantes Goalie Amir Alamdari took a nasty fall at the end of the first half and was in medical bay for the remainder of the game. 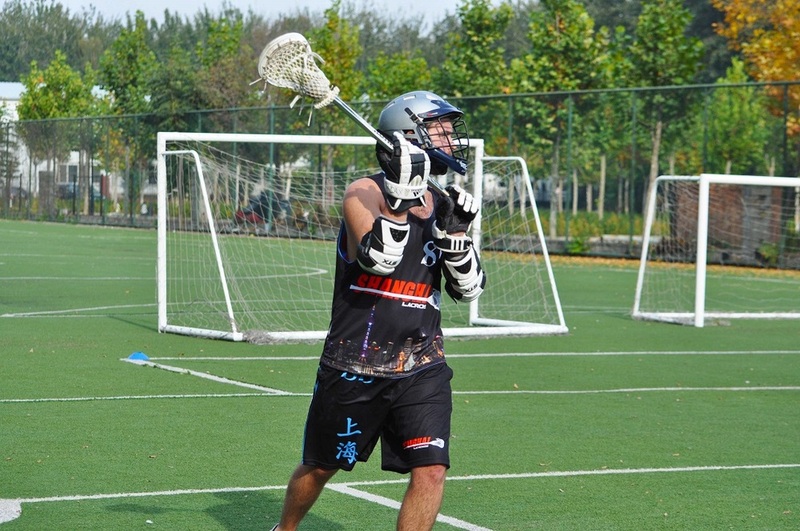 Midfielder Zanner Michael replaced Amir as Goalie going into the second half. 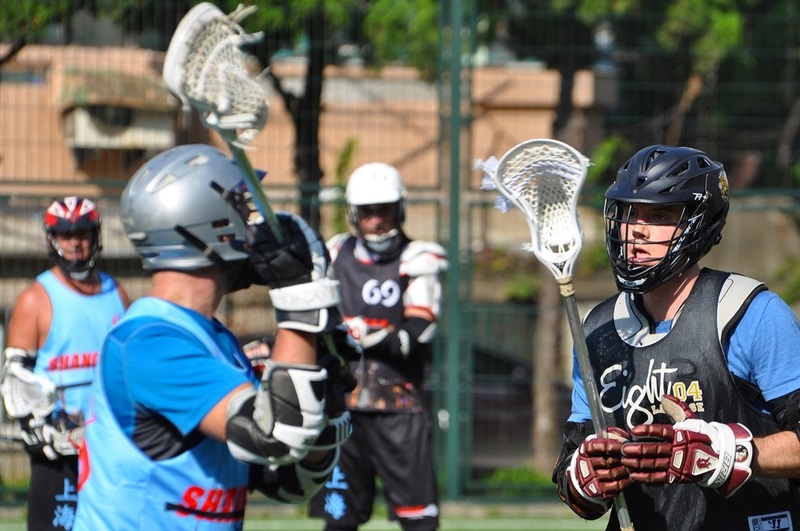 Attackman Matt Dixson, 4 goals, and Midfielder Jake Goodwin, 4 goals, were leading los Elefantes charge, but it almost seemed hopeless as the Danimals score kept climbing. 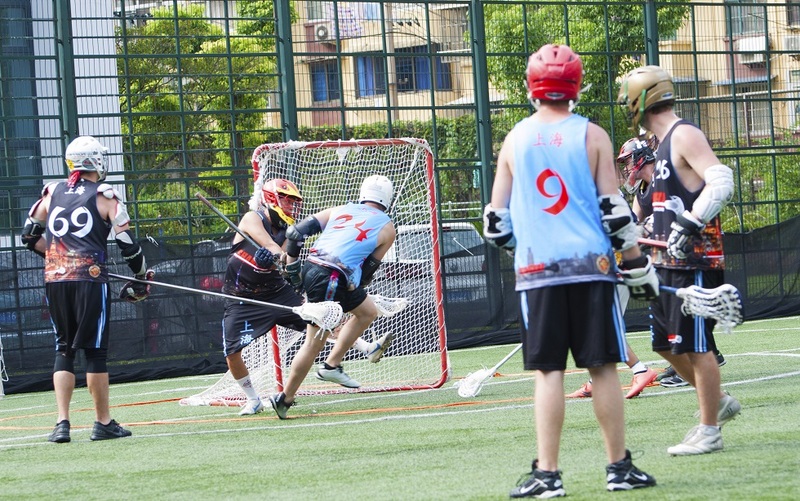 Luckily, players like Zanner Michael don’t give up easily, and so, in the final second’s countdown, he took a shot on the Danimals goal from the Goalie position, scoring the final goal of the game and allowing los Elefantes to end on a less sour note. 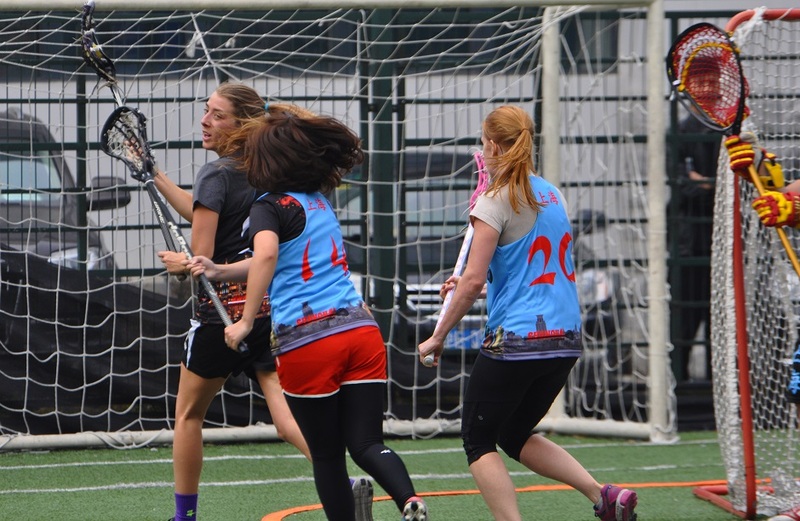 As pleasant of a silver lining as the last goal was for los Elefantes, it is important to remember Grateful Dead song quote, “Every silver lining’s got a touch of grey.” In the case of this game, that touch of grey was a 19 point score difference. 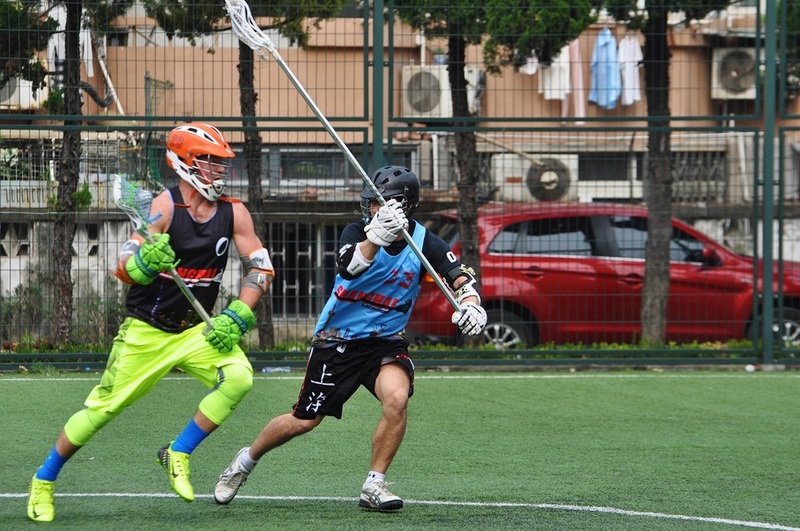 The teams are back in Action Saturday Sept 3rd, 11am at Gubei field, where the Elefantes will lean on last season's leading scorer Alex Spang to pull even in the Season Series.